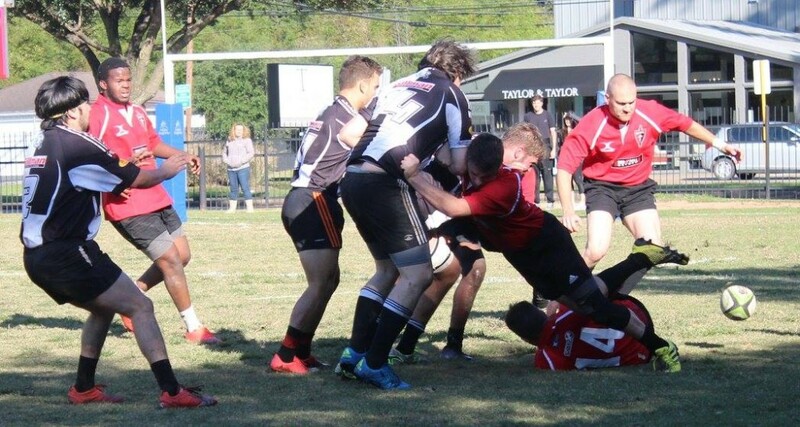 HURT Henchmen Lock, Nathan Stiers, climbs high with the assistance of Tomasz Perski & Ricardo Buritica as they work toward a 66-0 victory over Kingwood at the Regis School on Saturday. 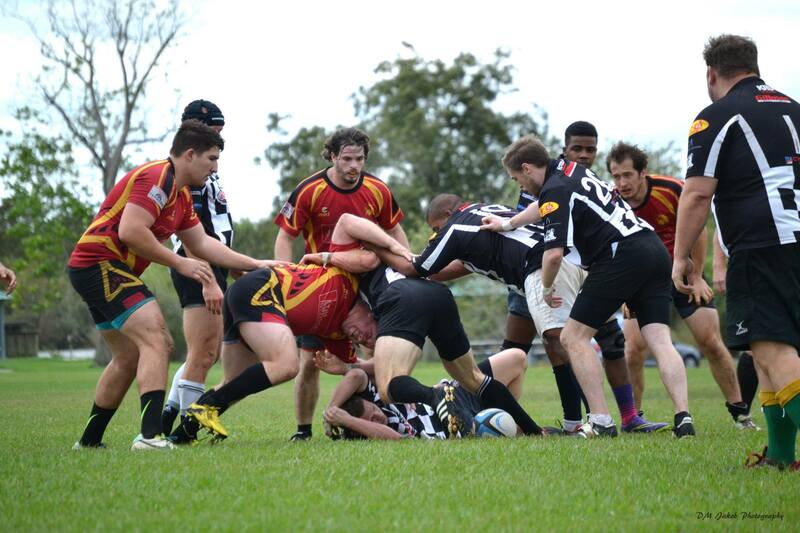 Photos are courtesy of DM Jakob Photography. 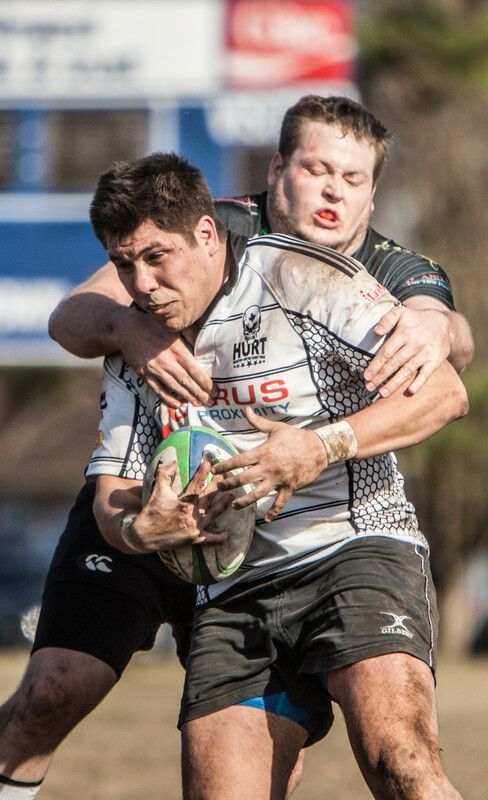 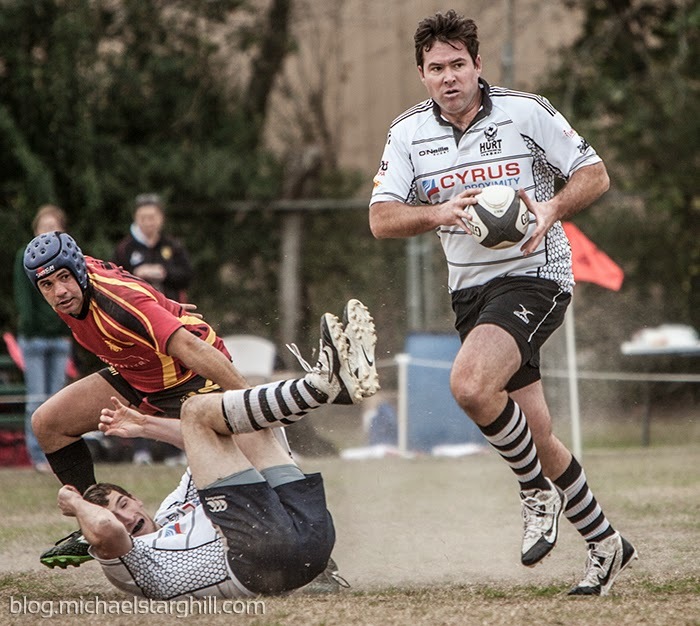 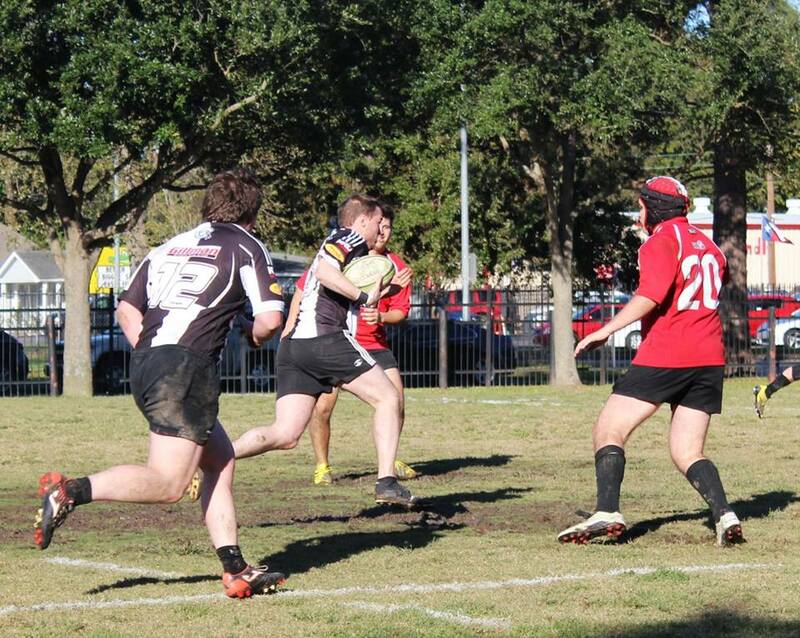 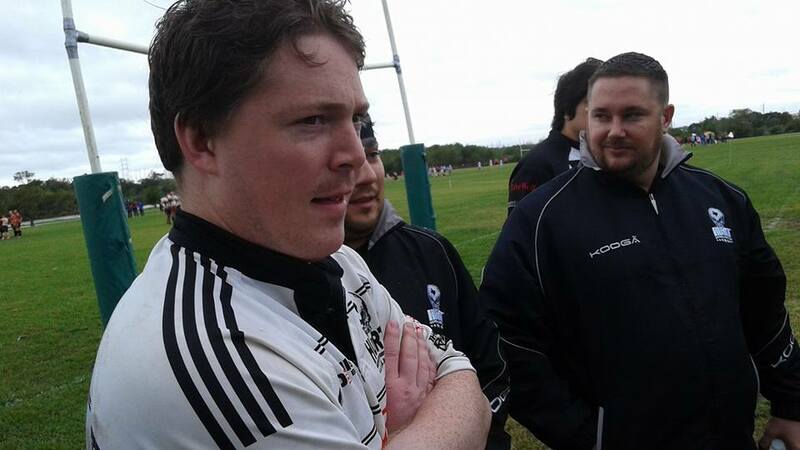 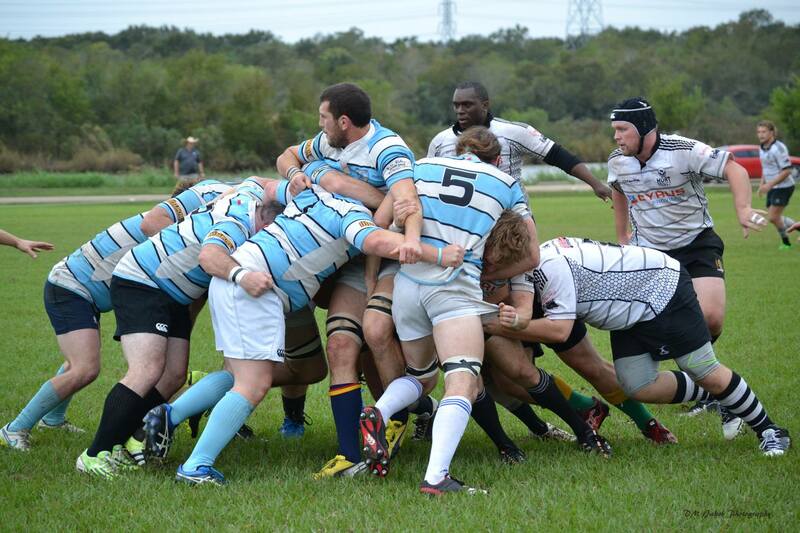 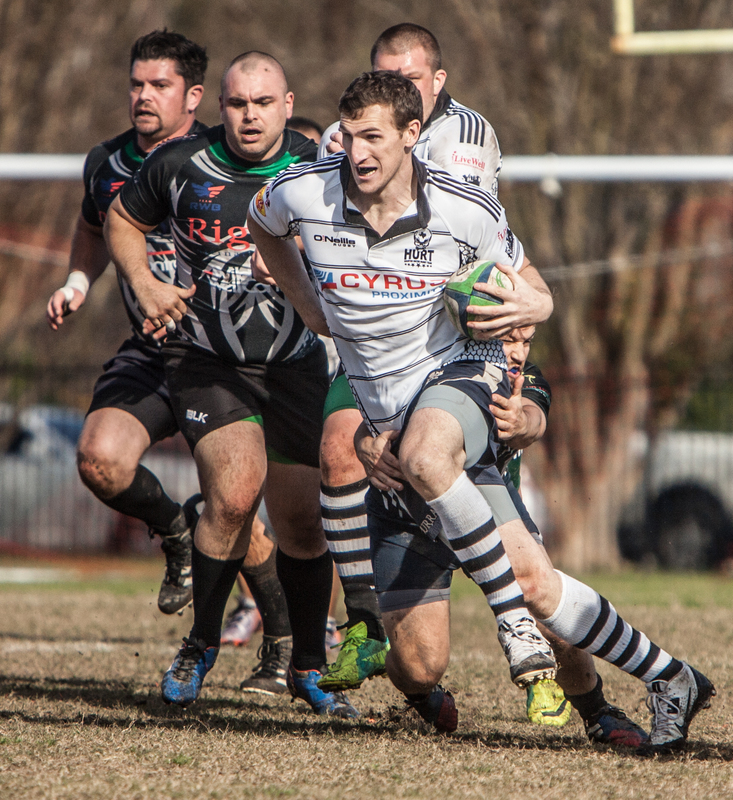 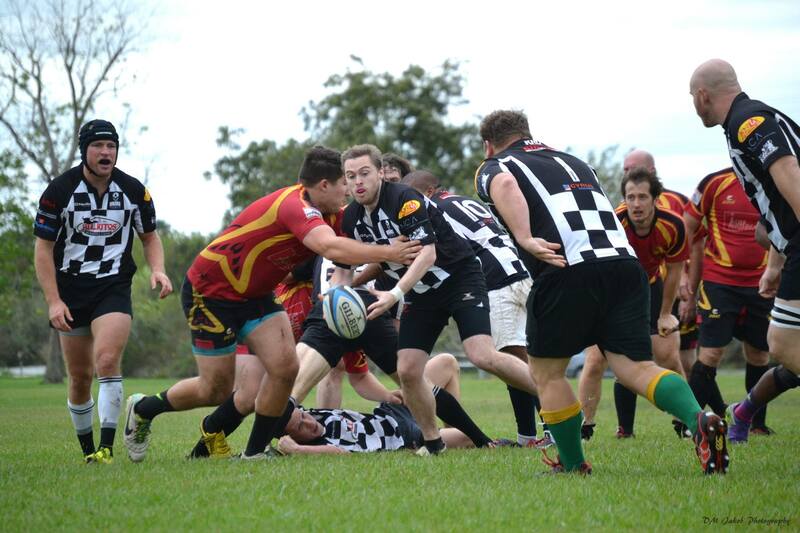 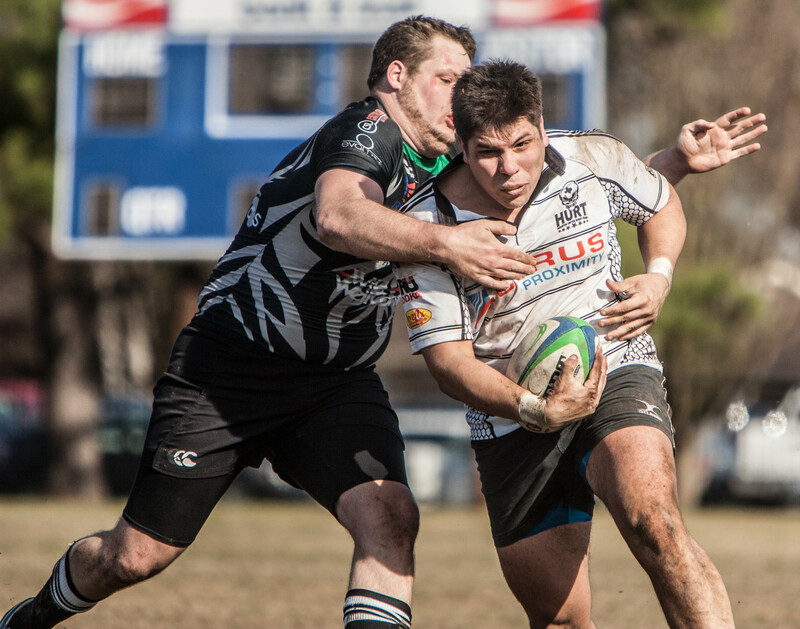 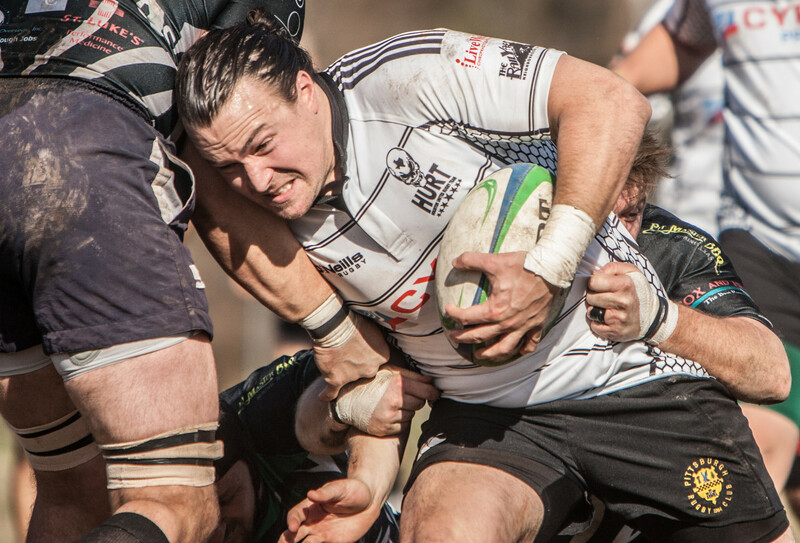 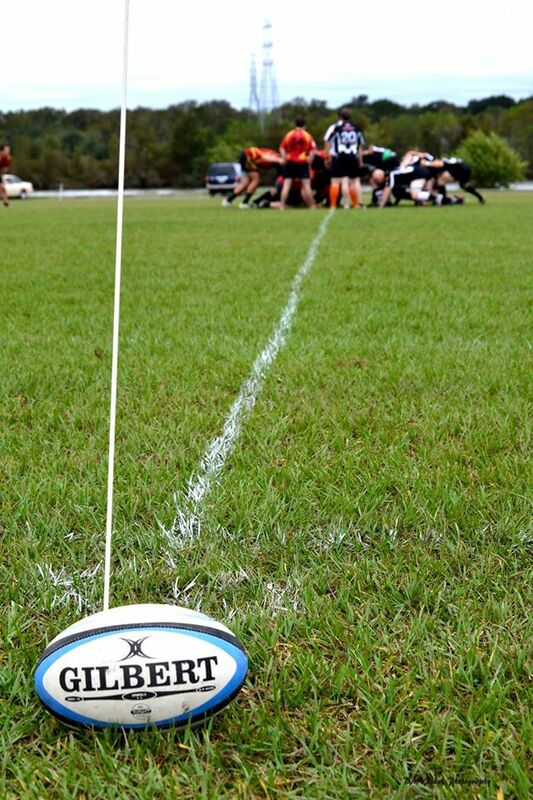 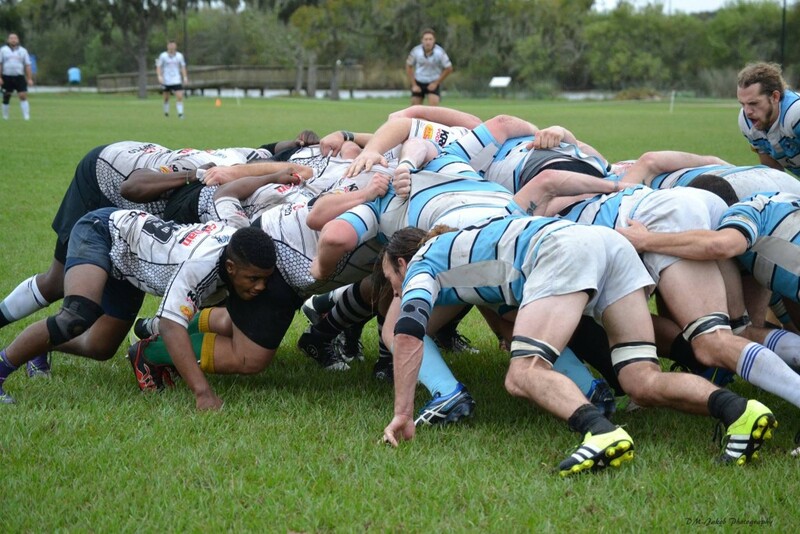 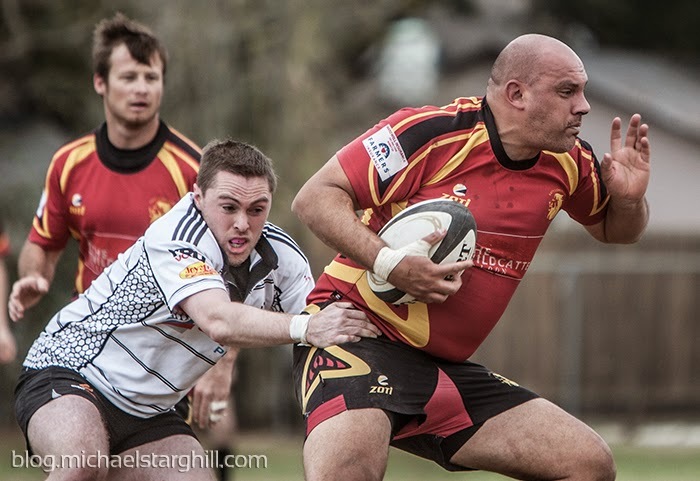 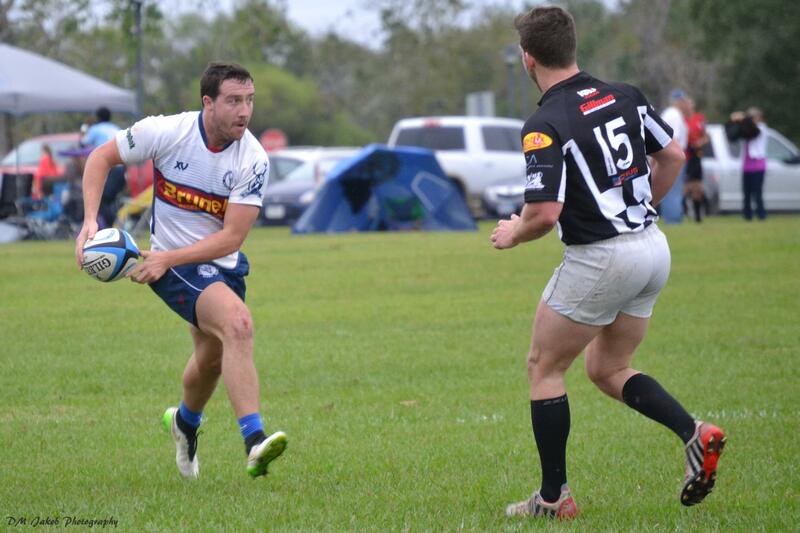 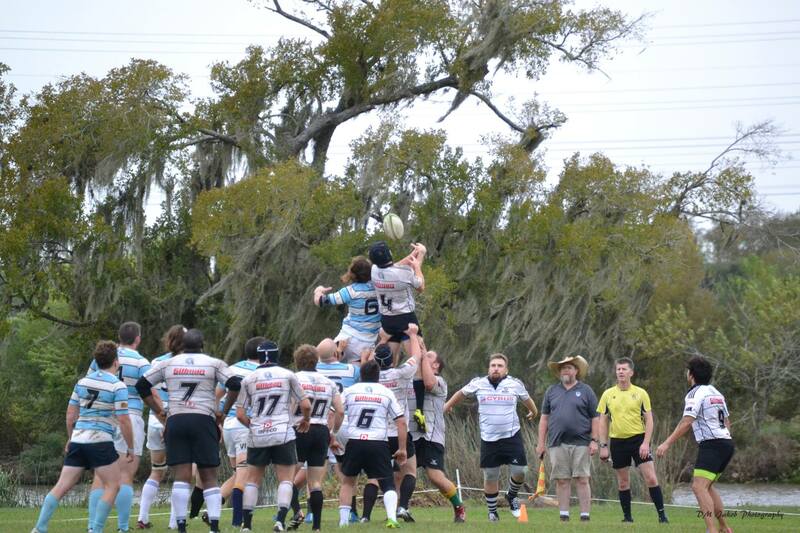 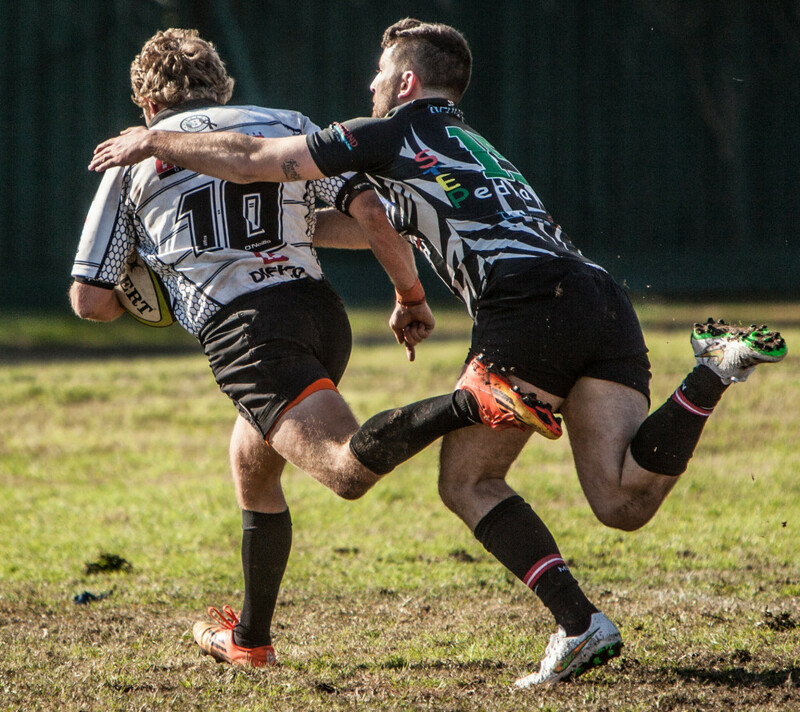 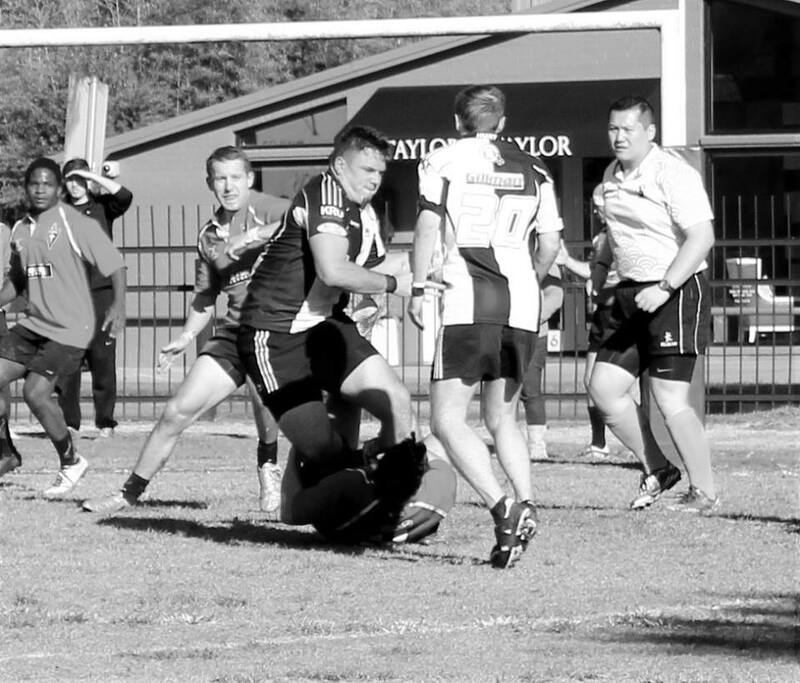 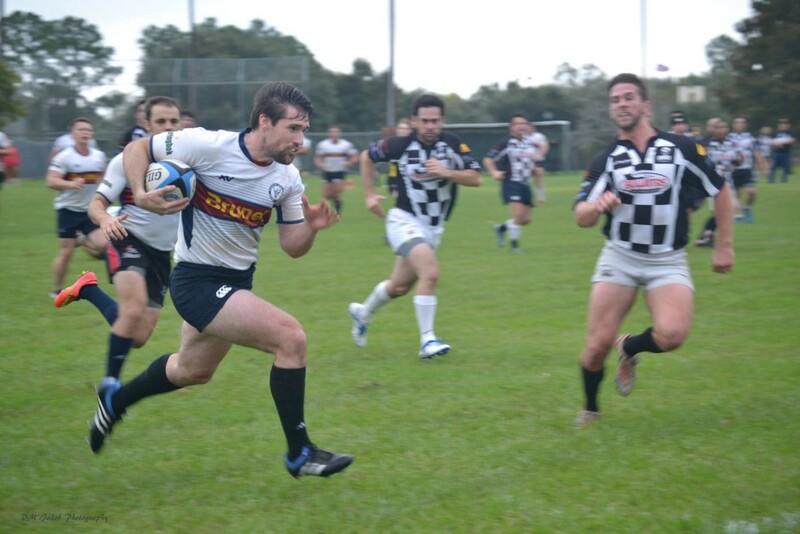 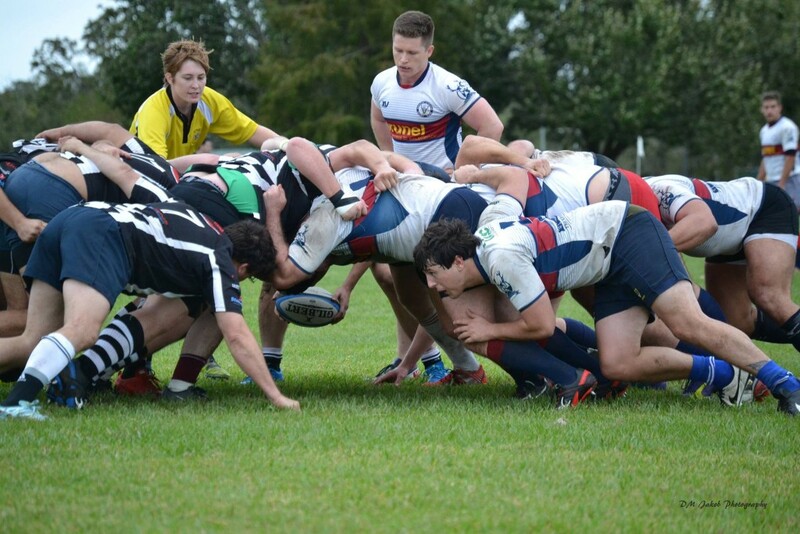 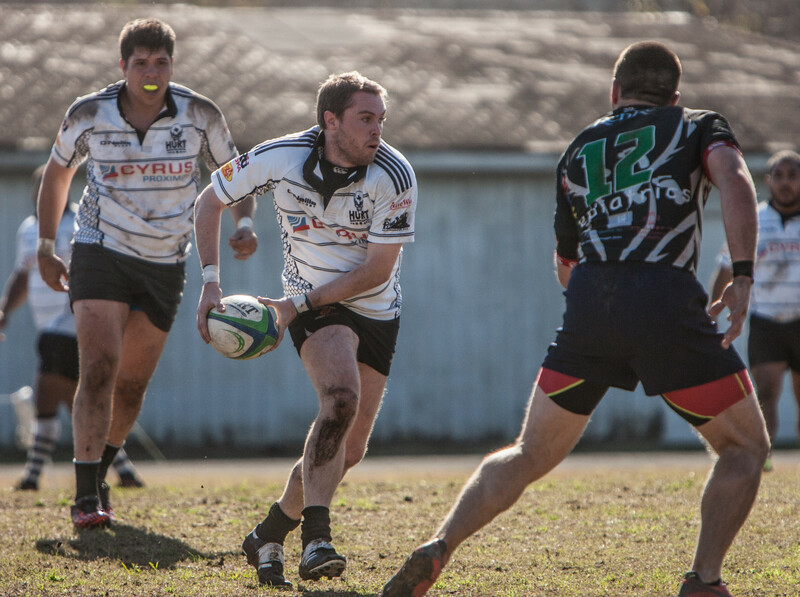 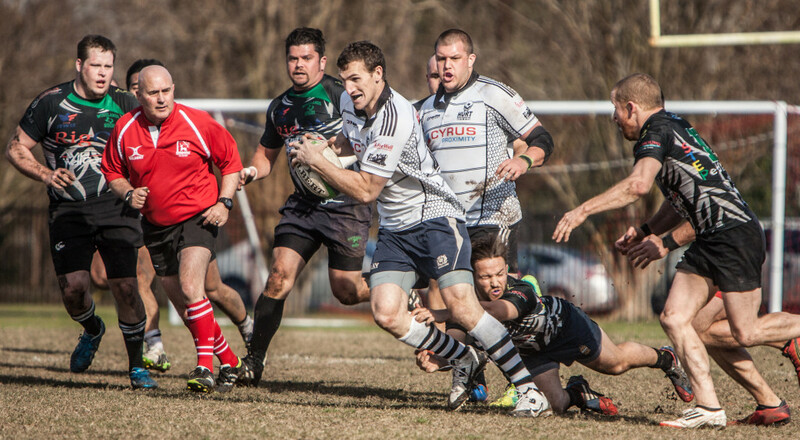 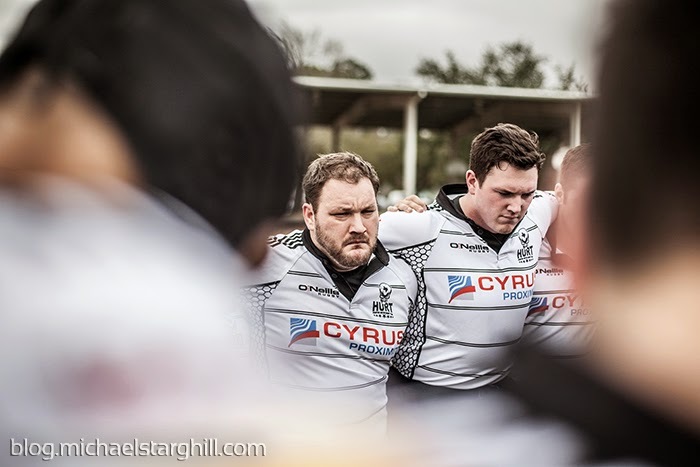 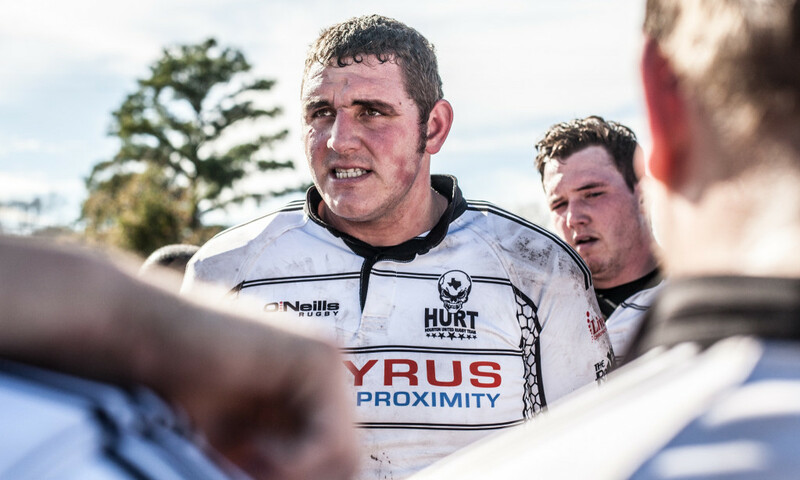 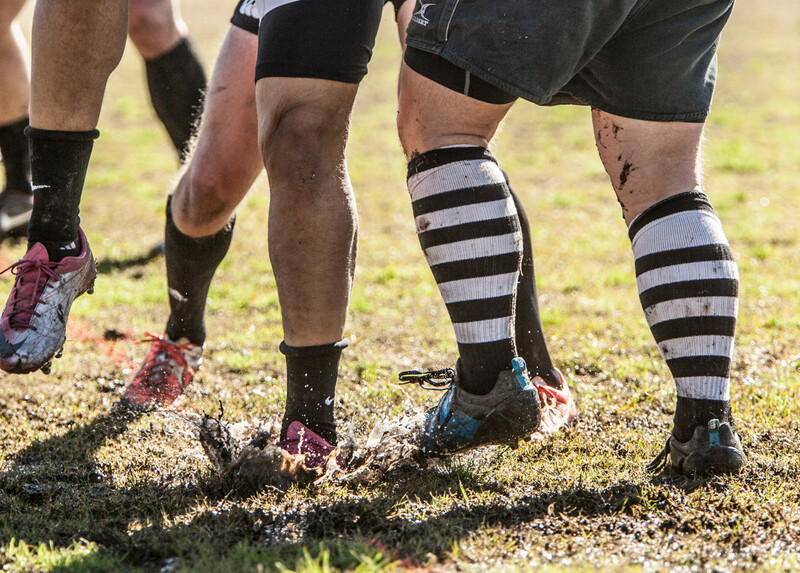 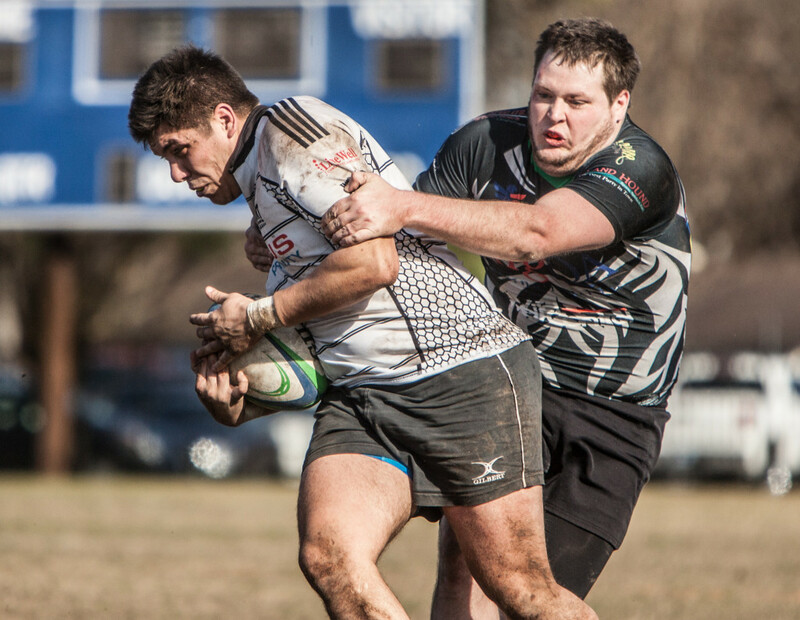 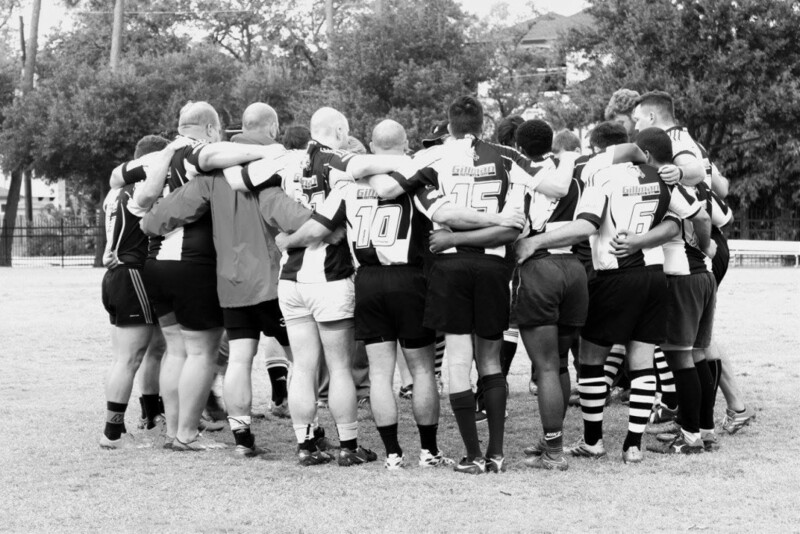 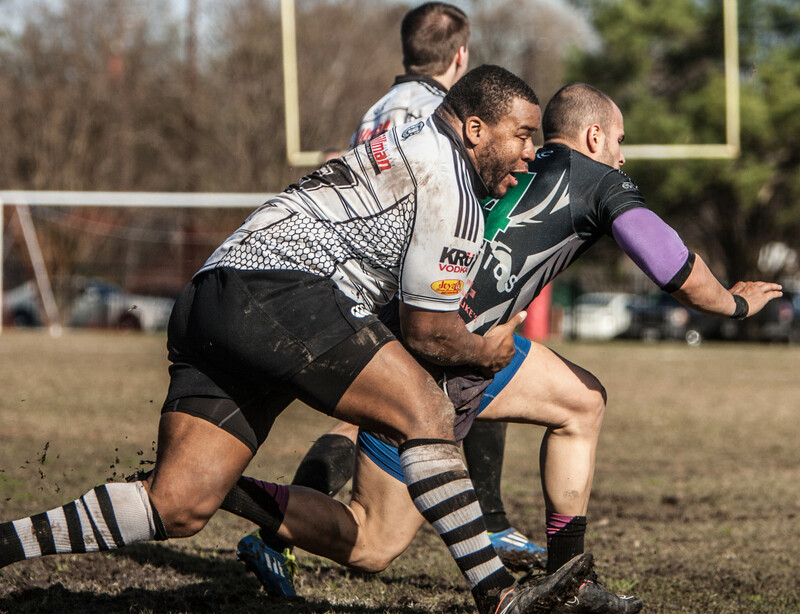 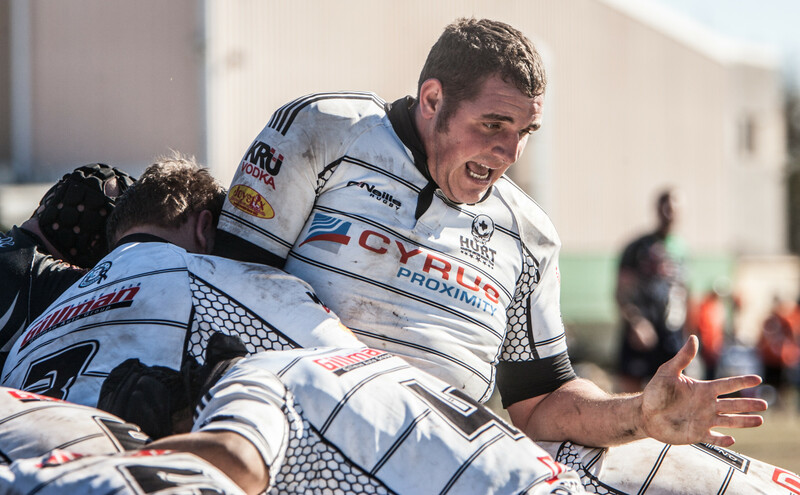 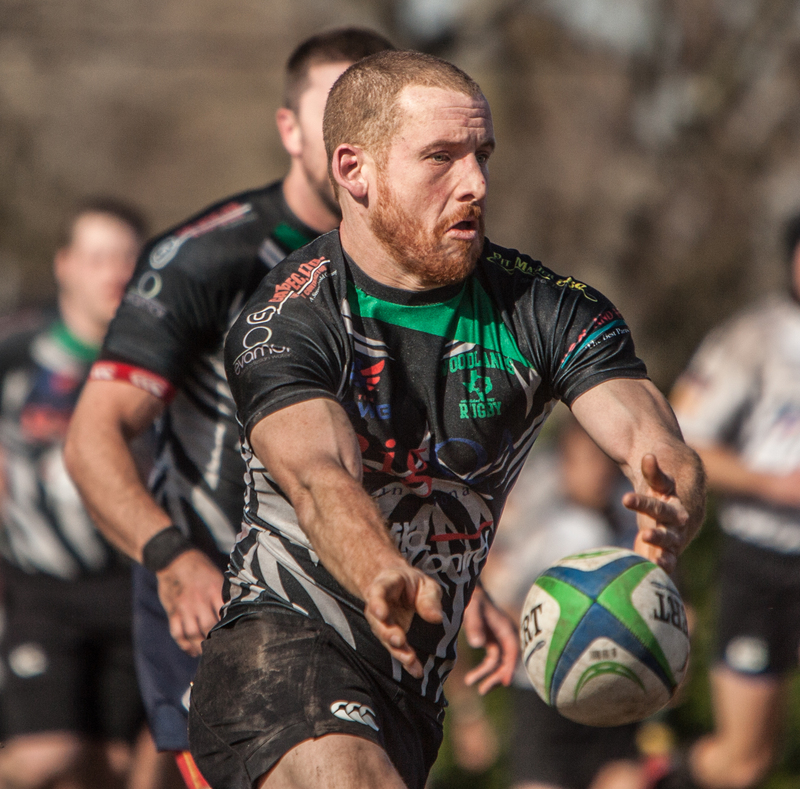 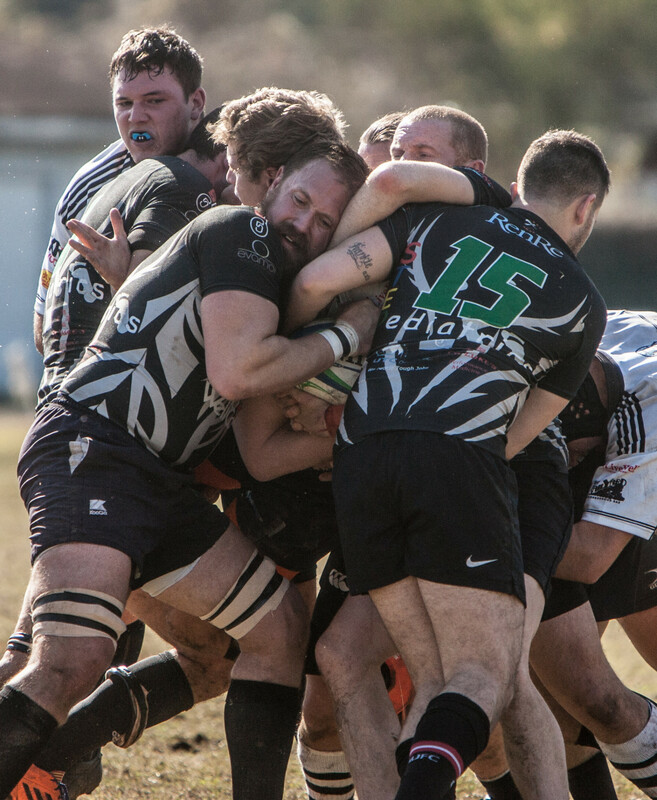 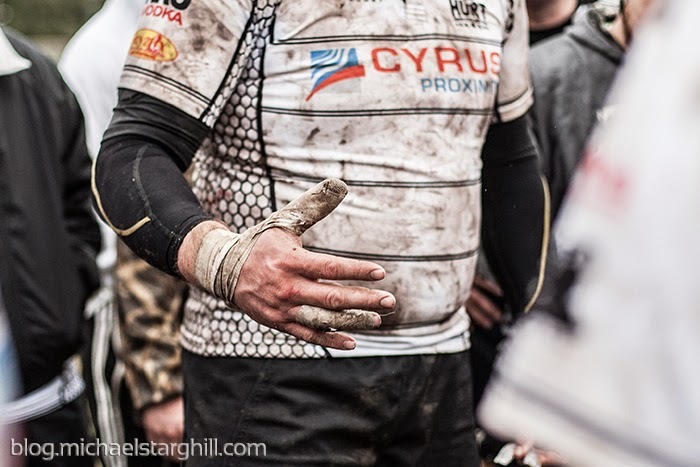 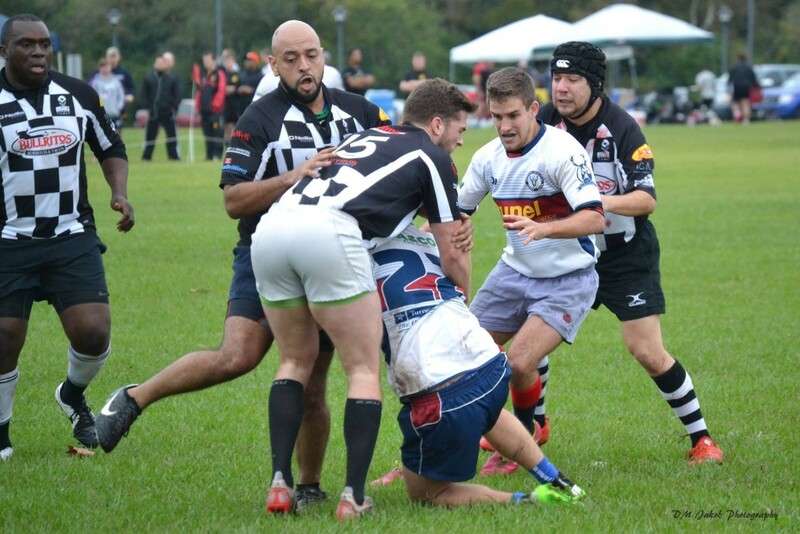 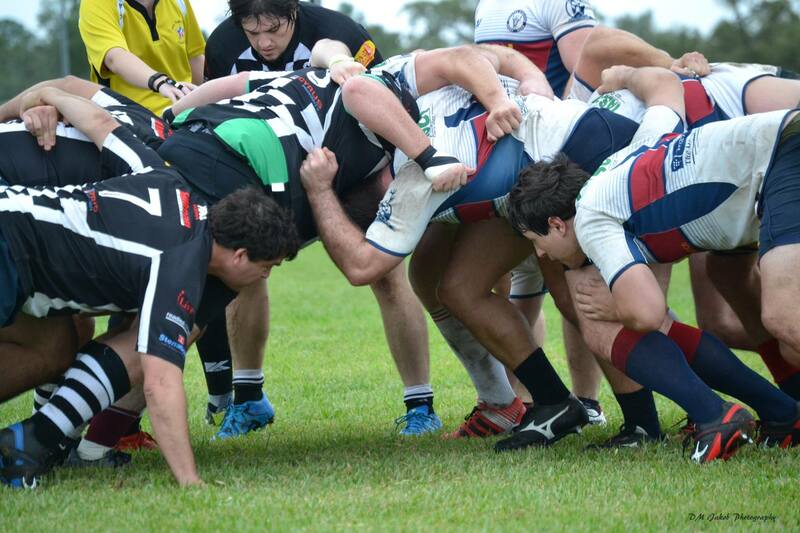 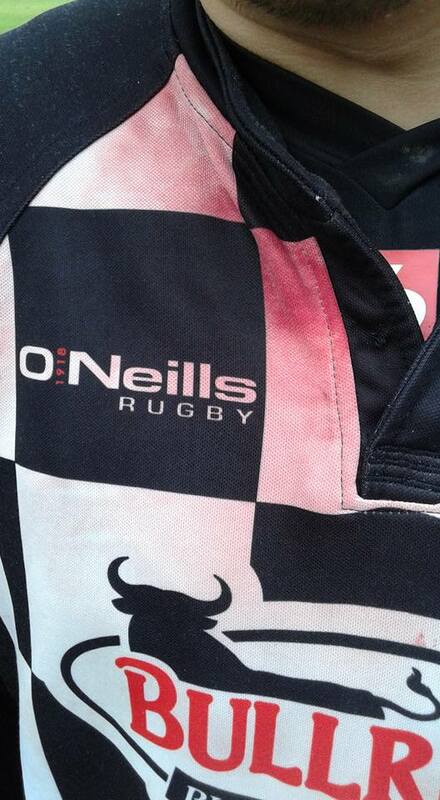 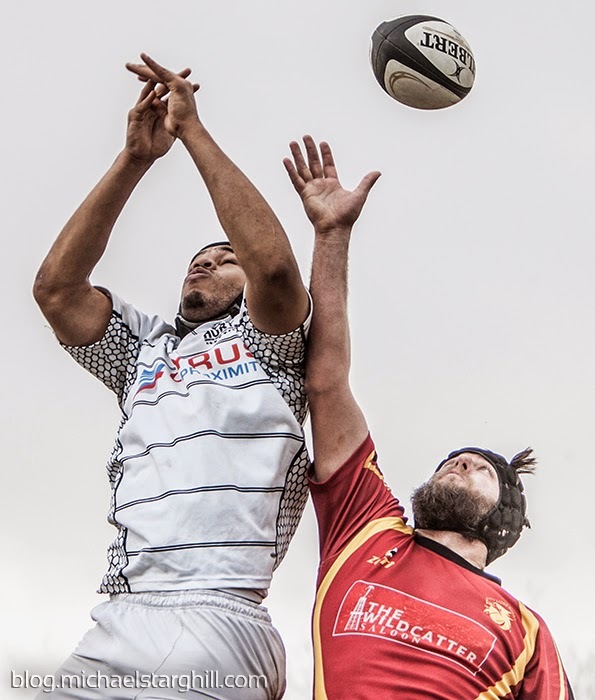 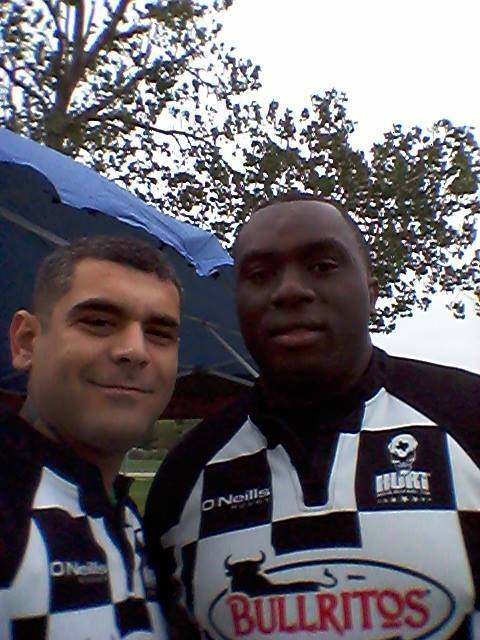 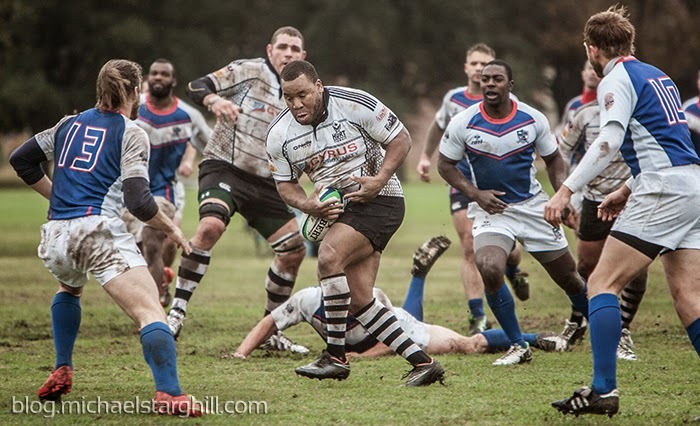 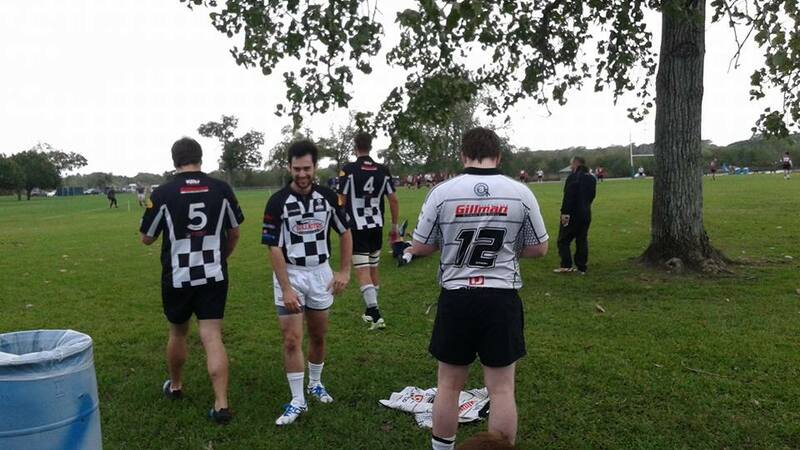 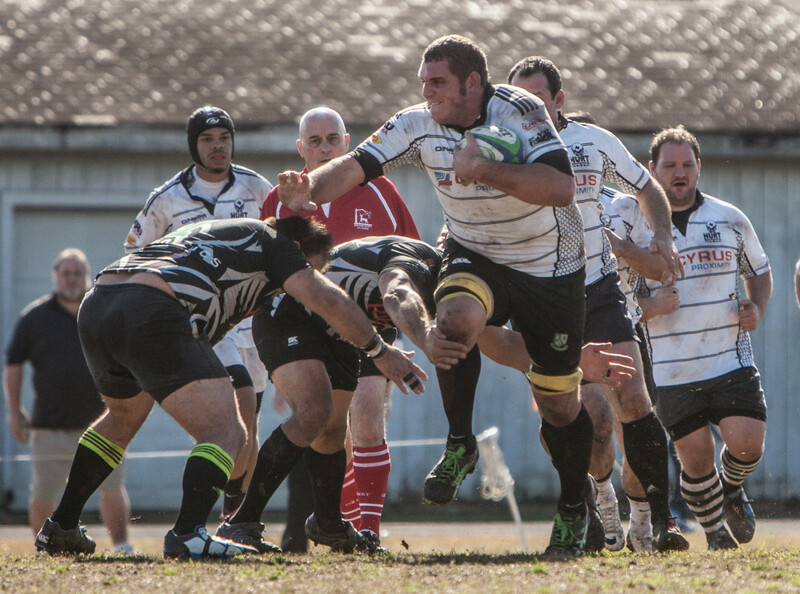 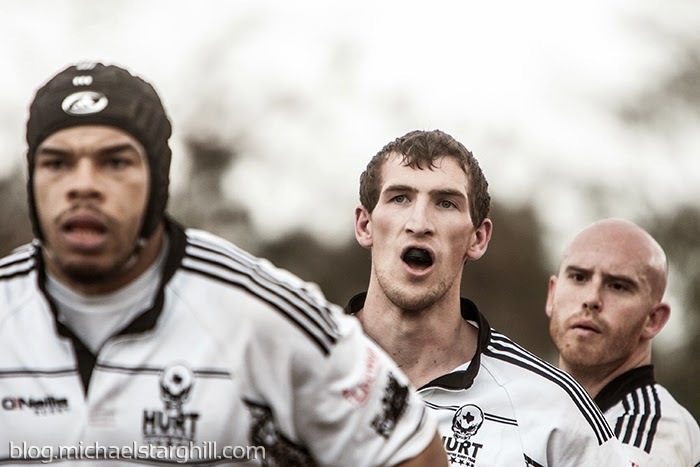 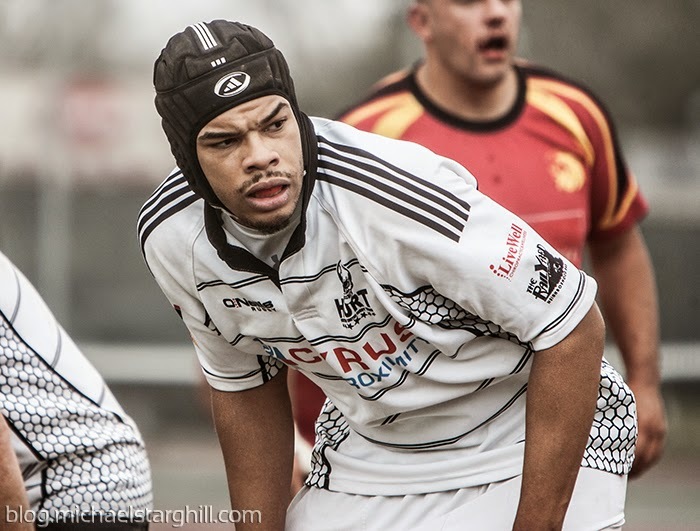 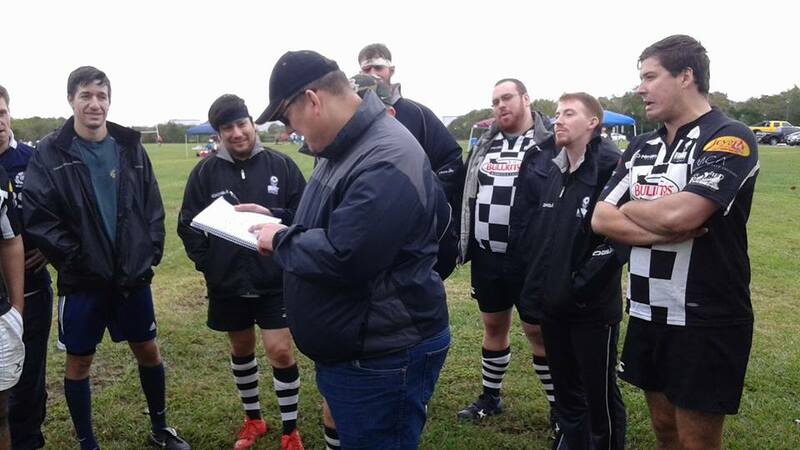 The conditions were cold and rainy as the HURT and Henchman squads played a combined 280 minutes of rugby. 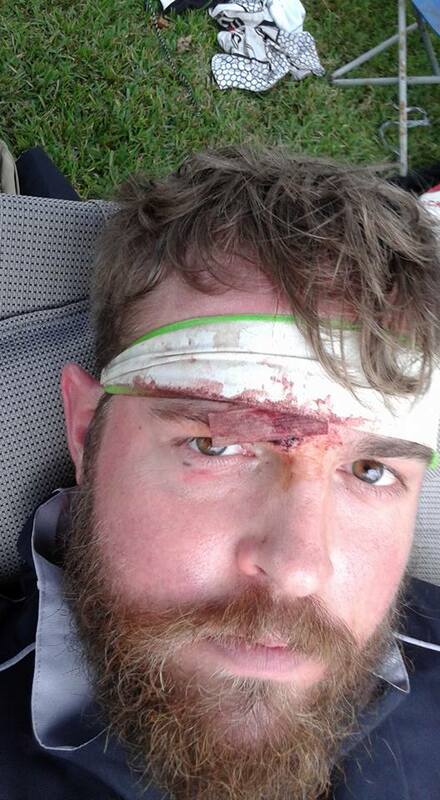 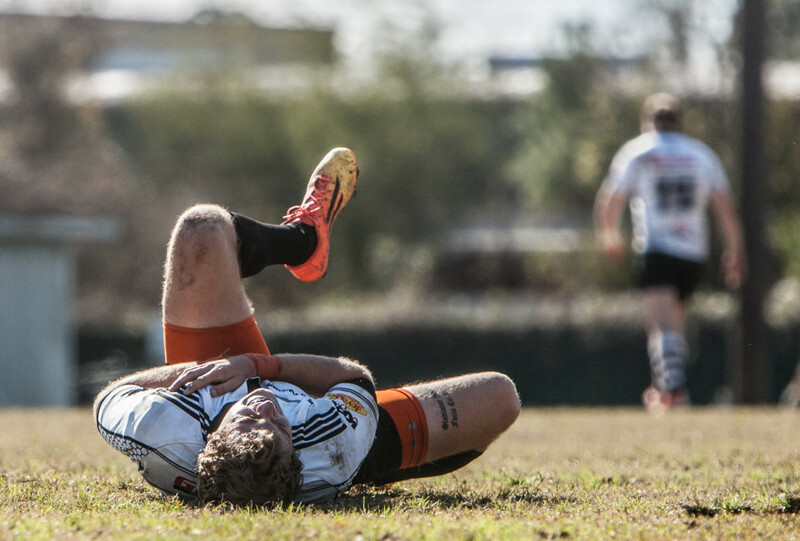 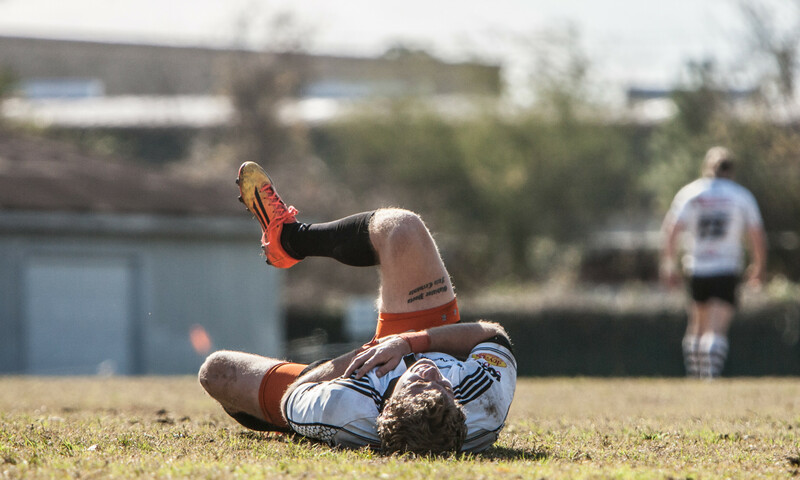 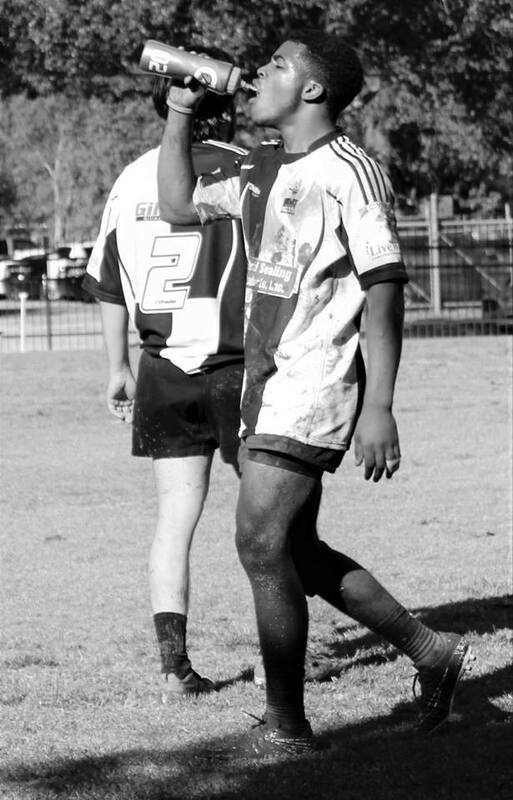 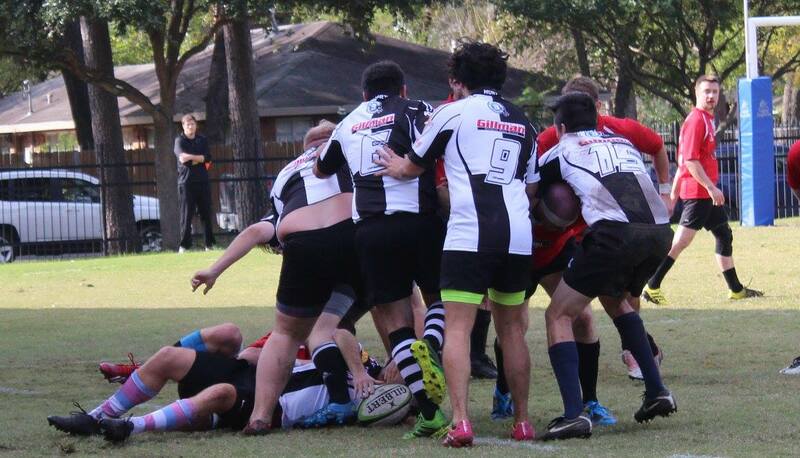 HURT qualified into the Cup Division but fell to the Allen Griffins in the semi-finals. 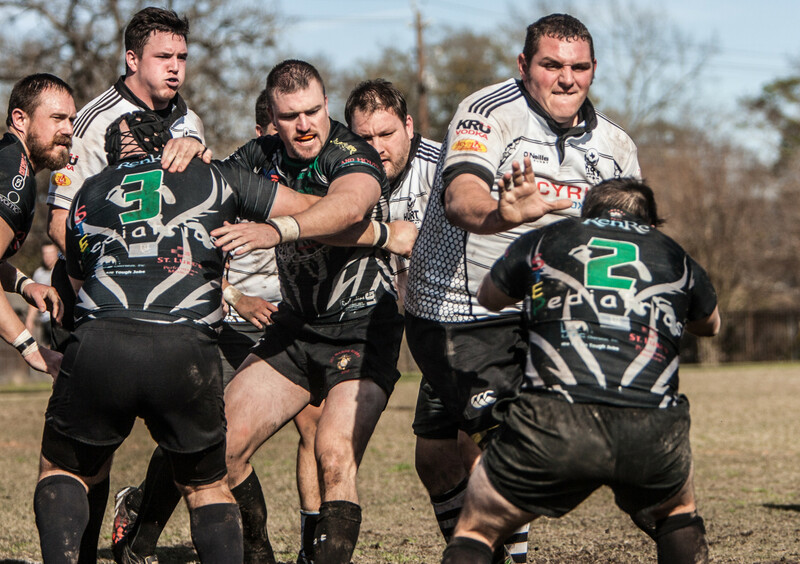 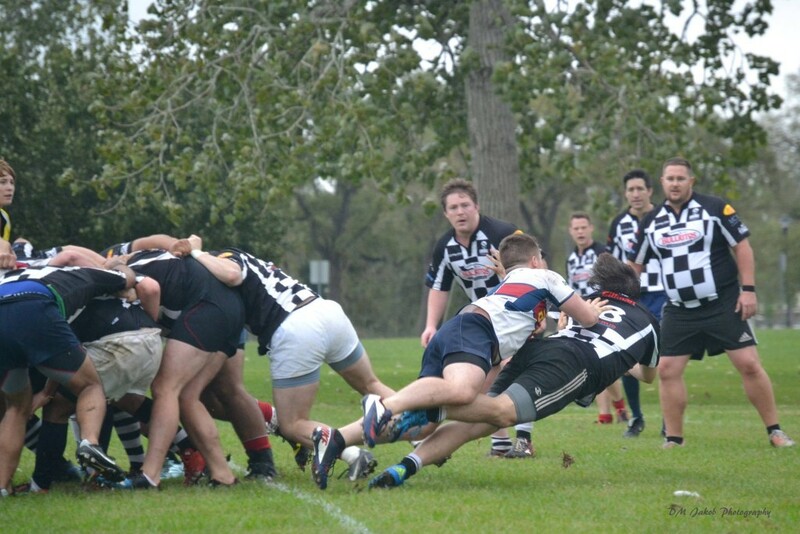 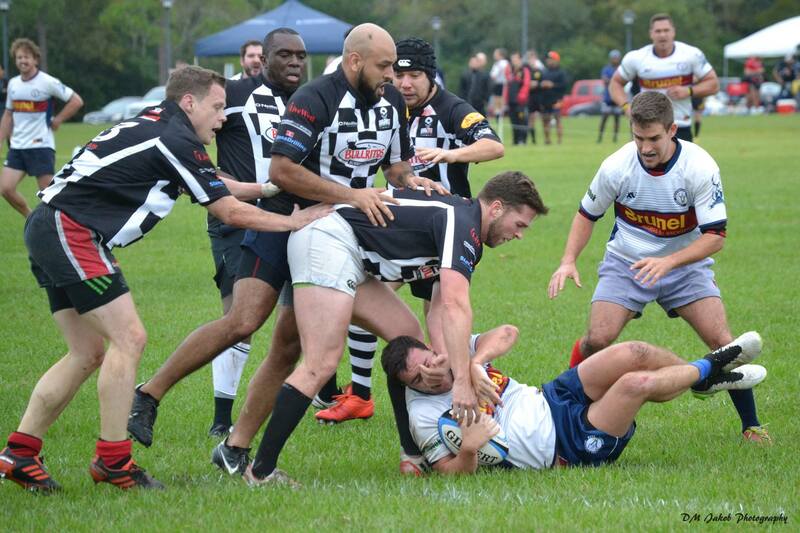 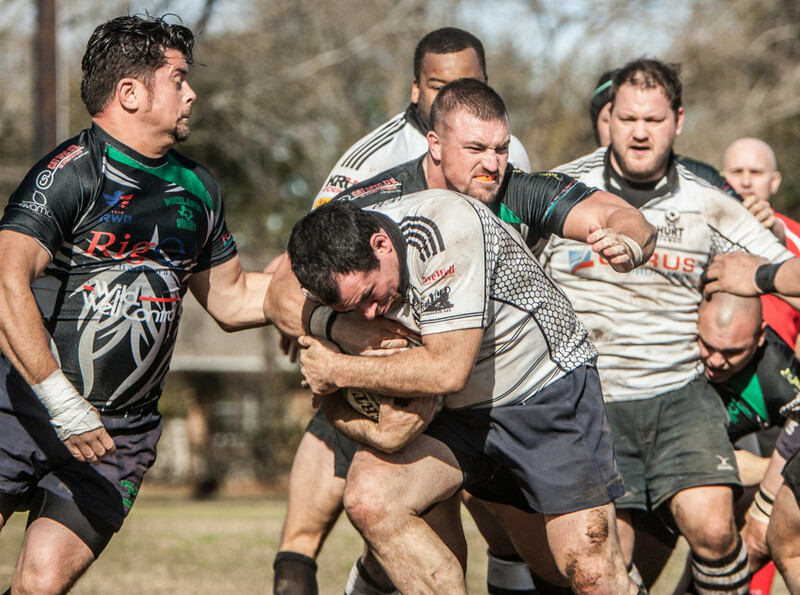 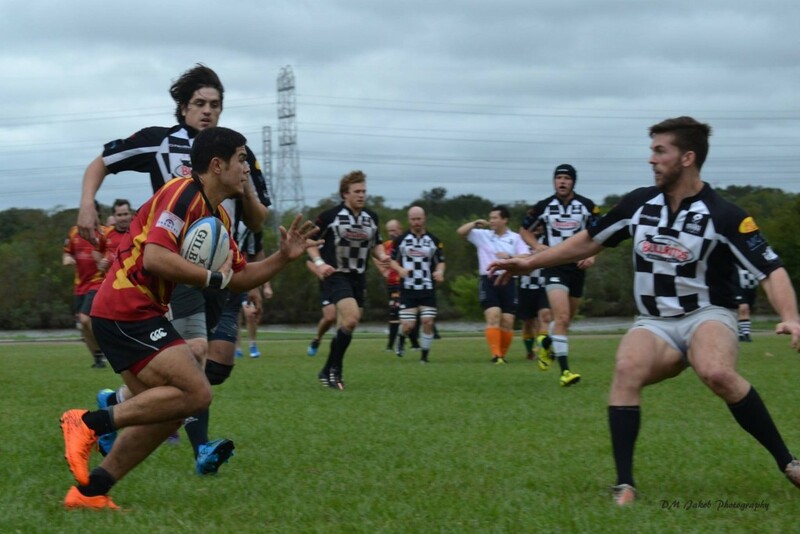 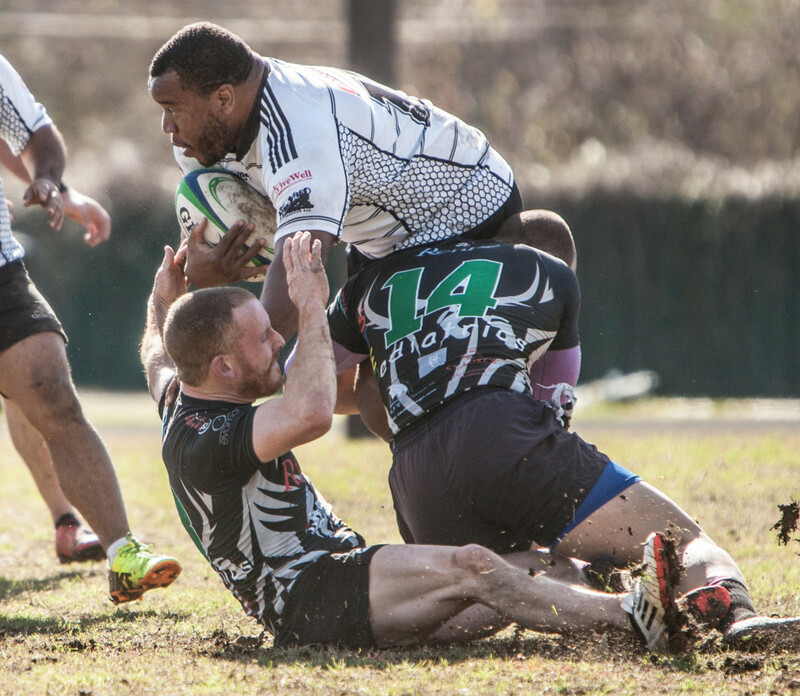 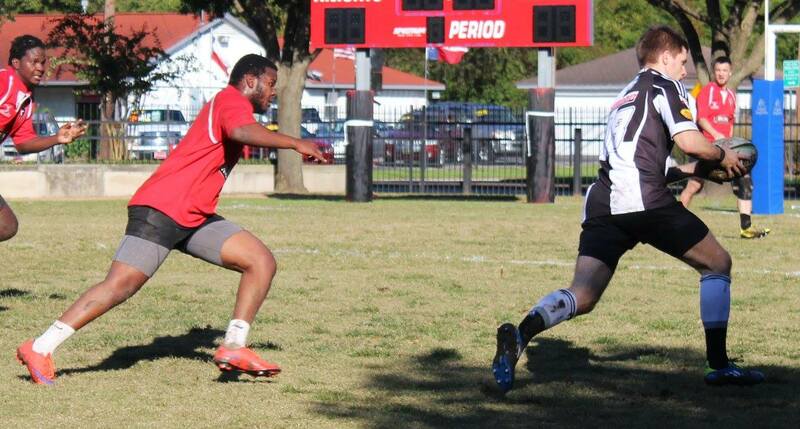 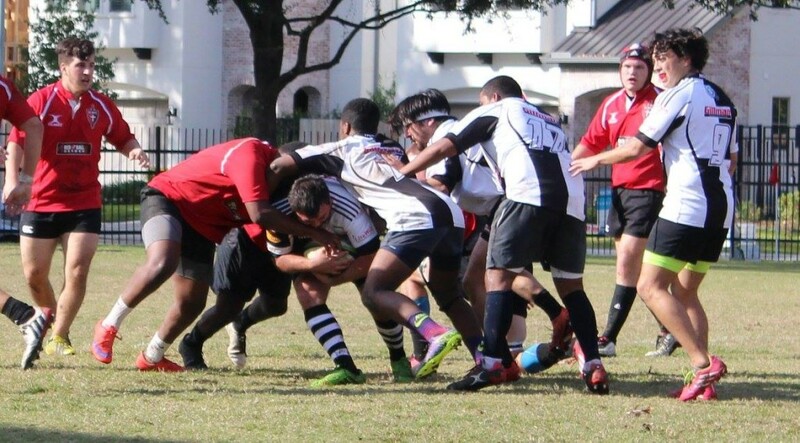 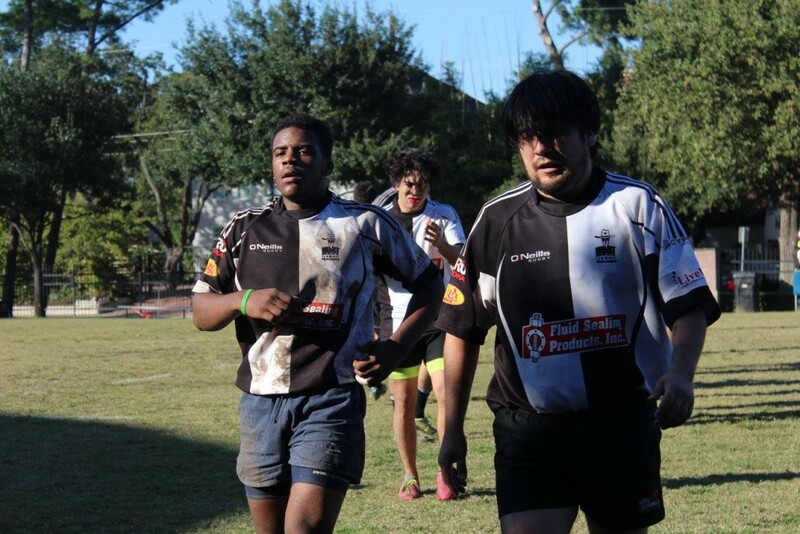 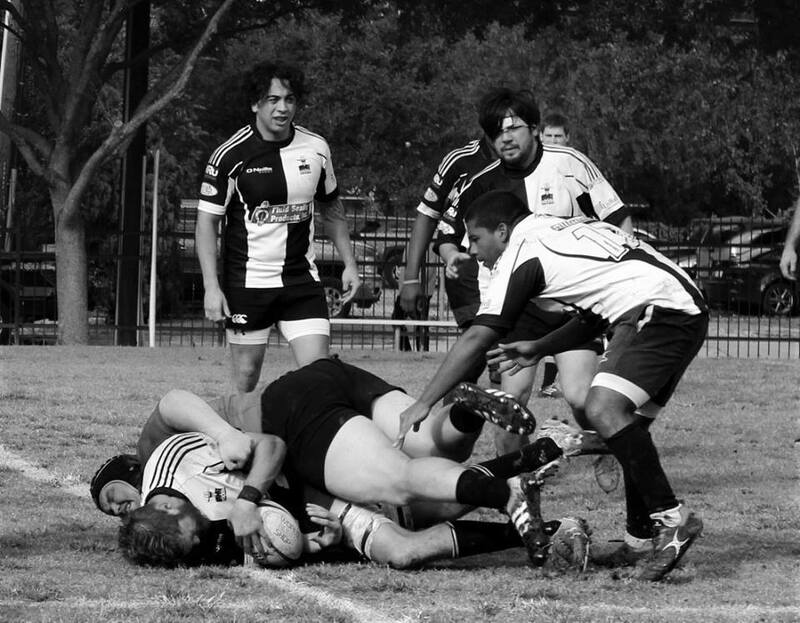 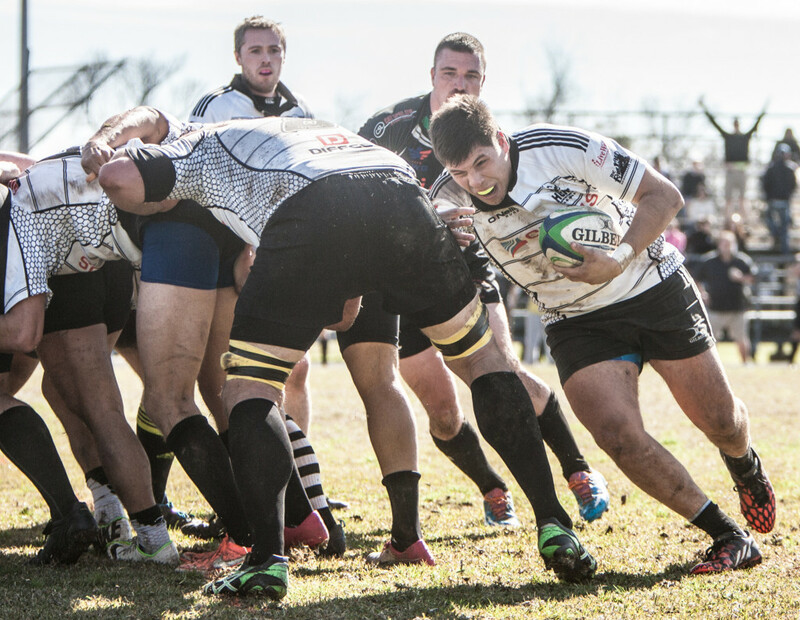 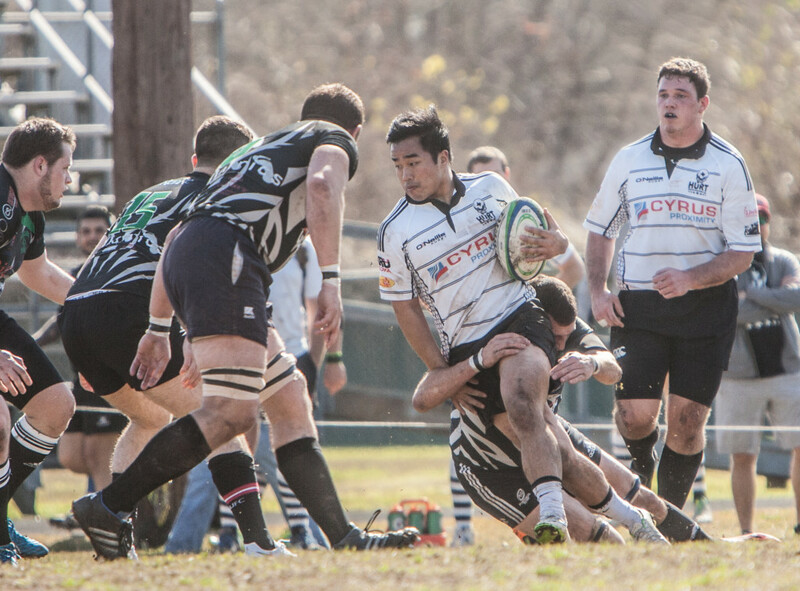 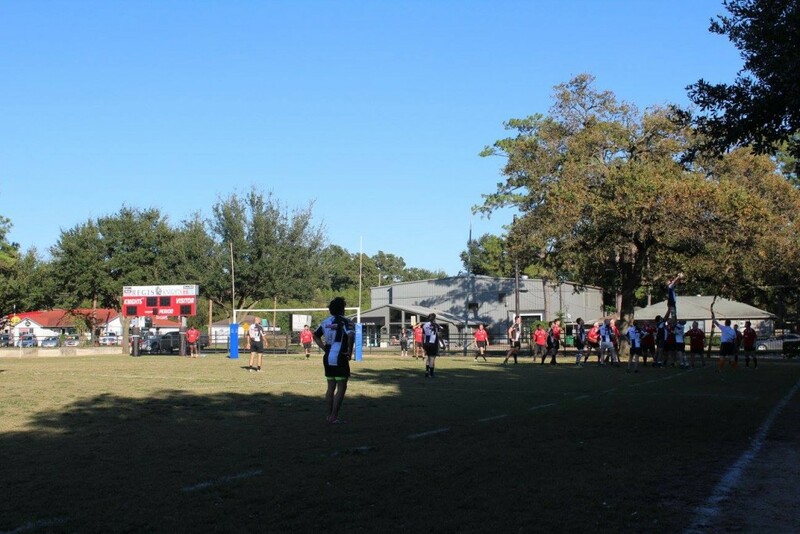 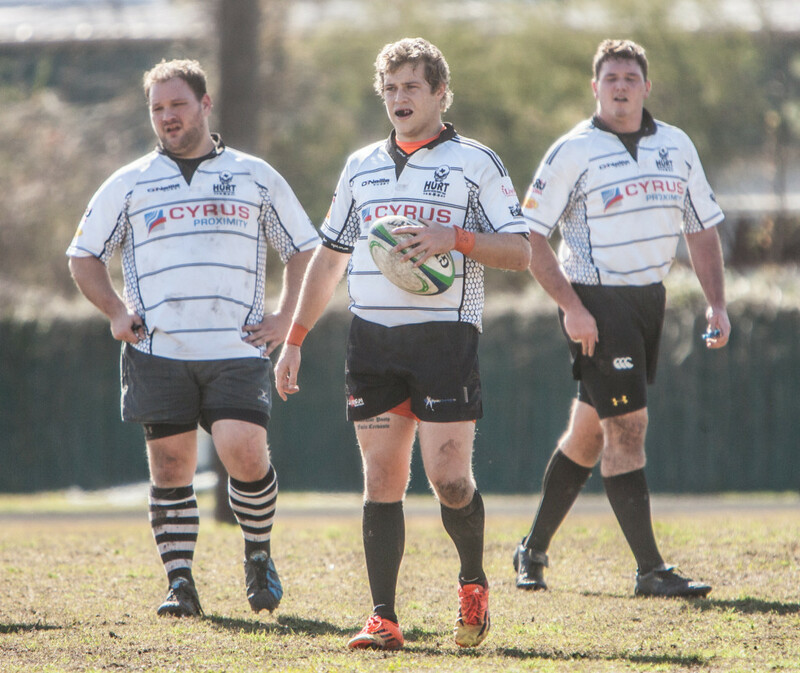 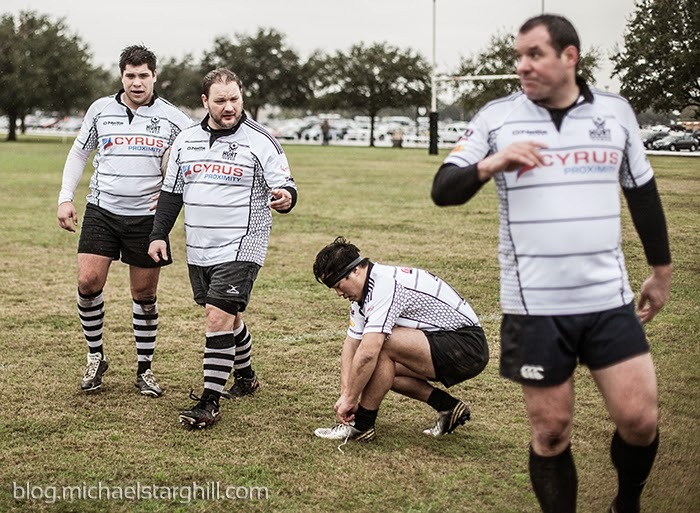 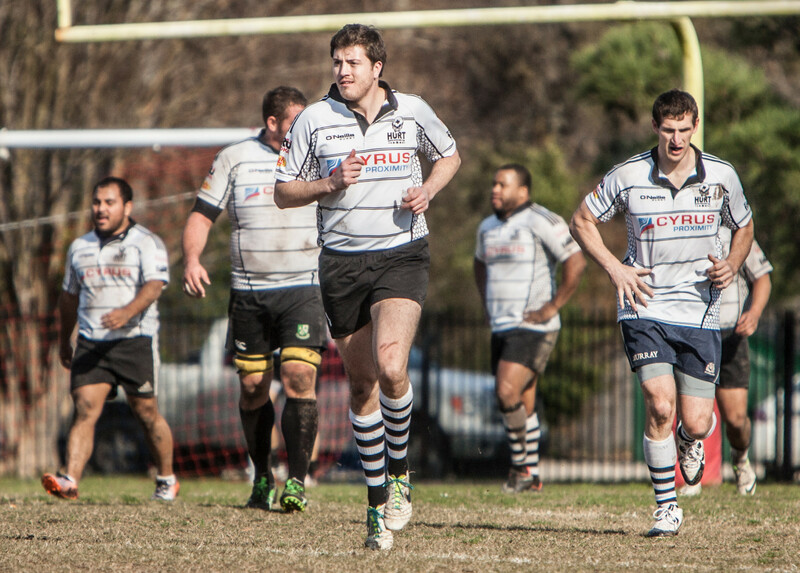 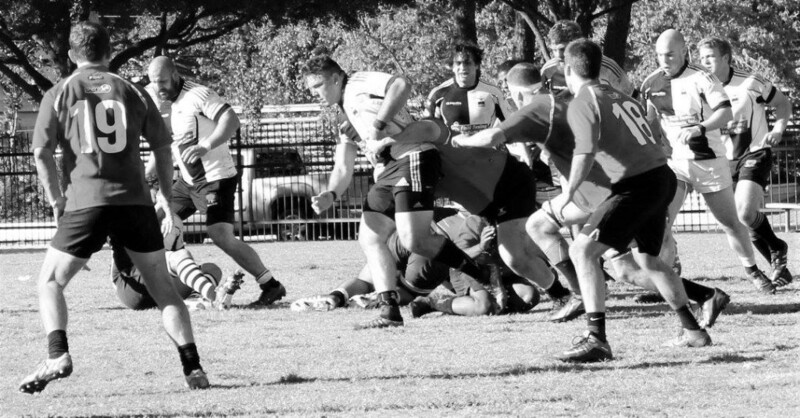 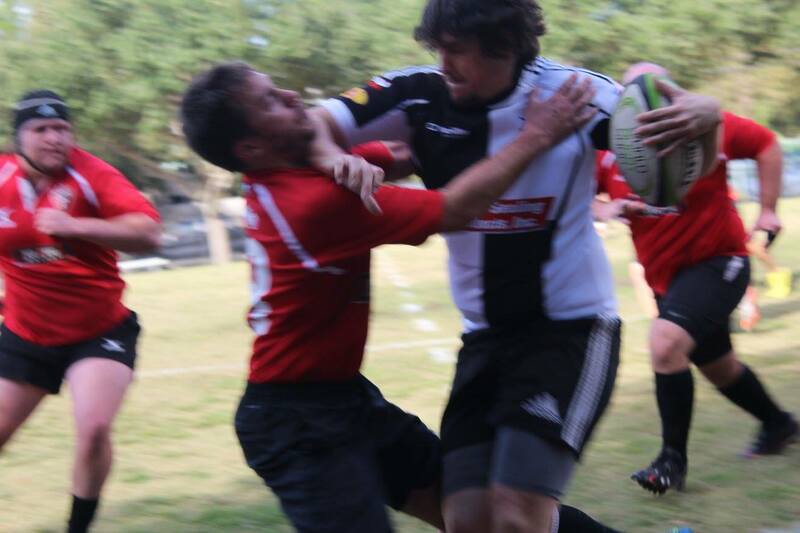 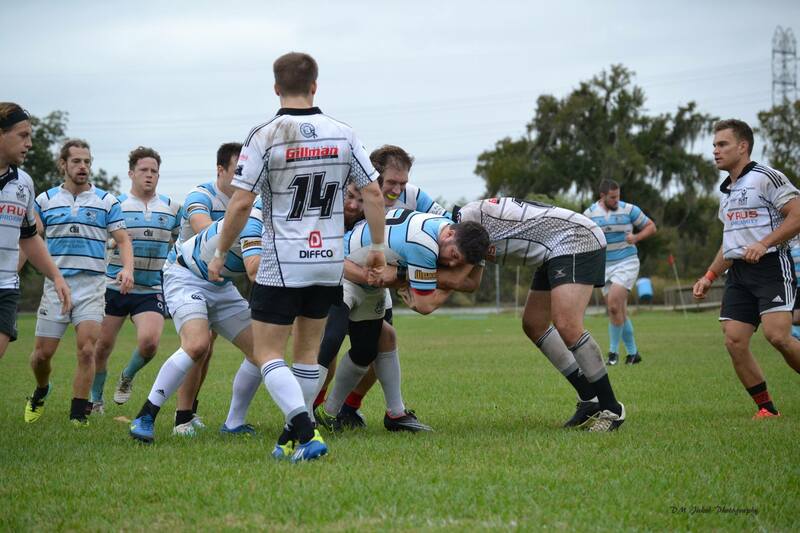 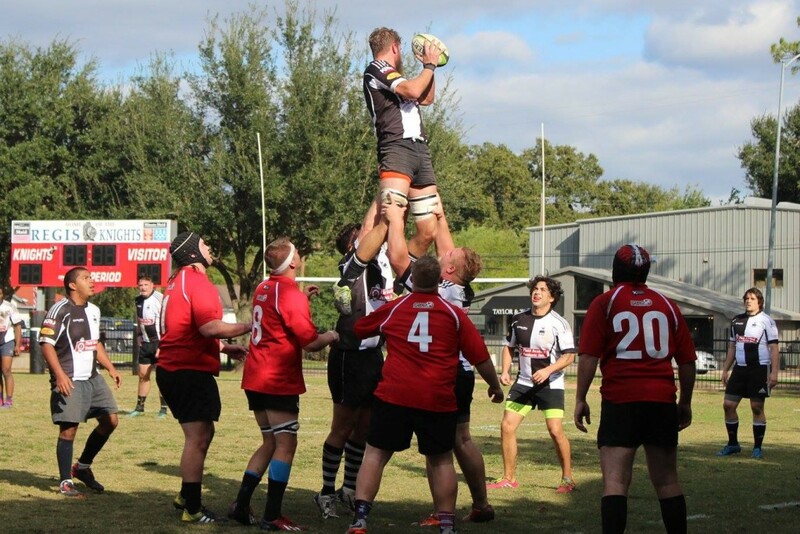 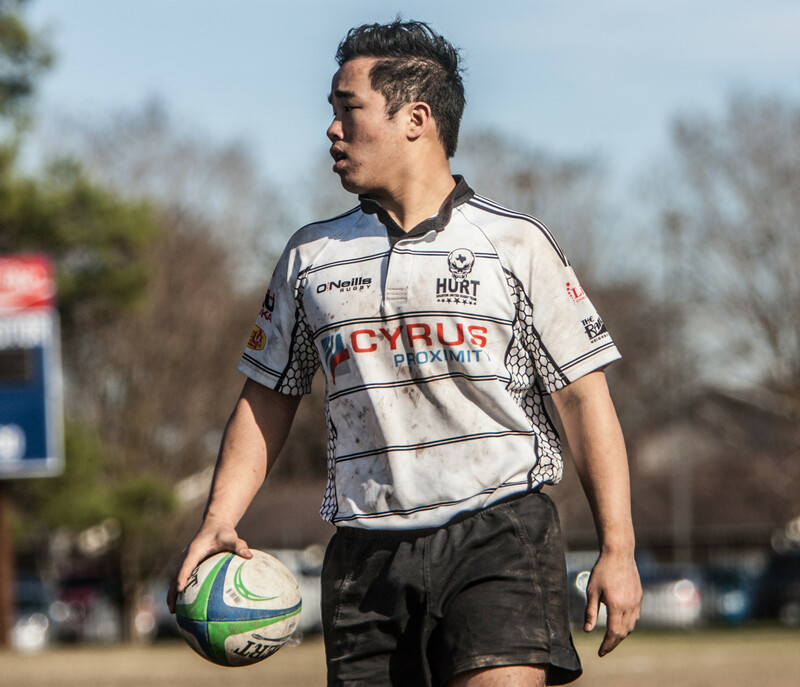 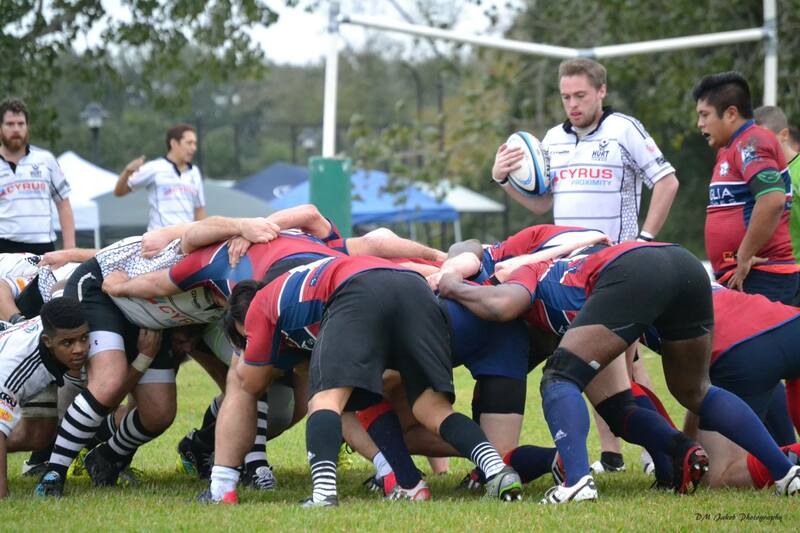 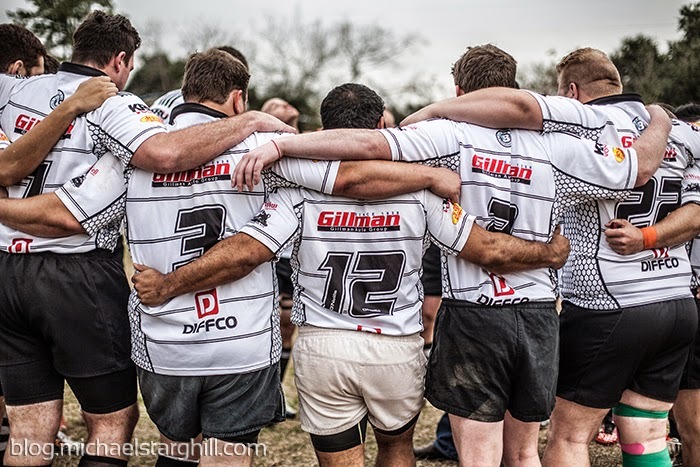 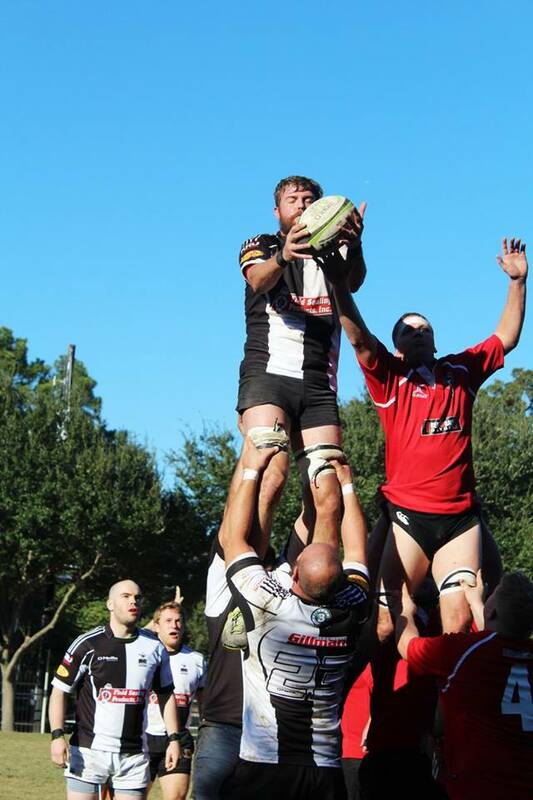 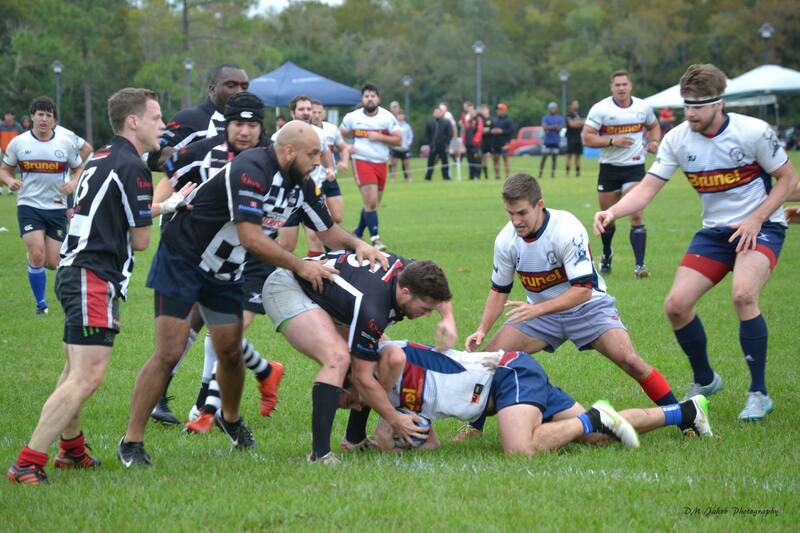 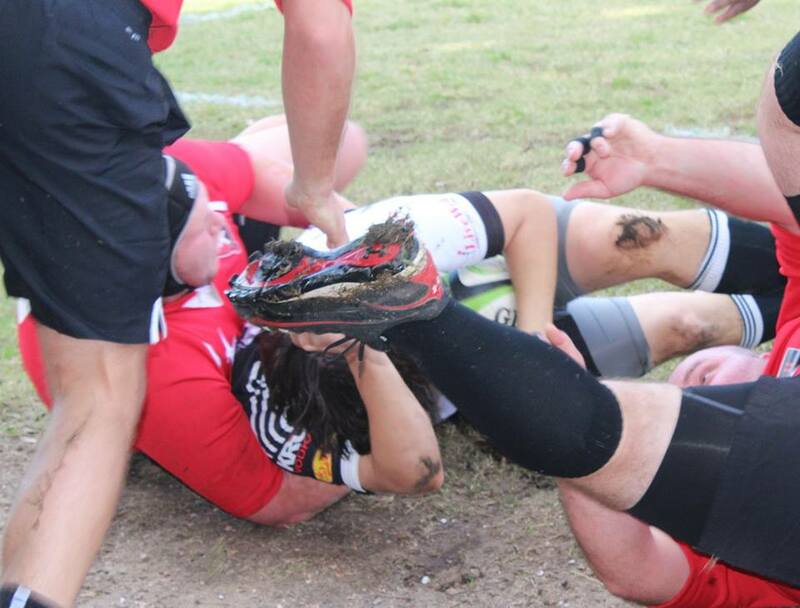 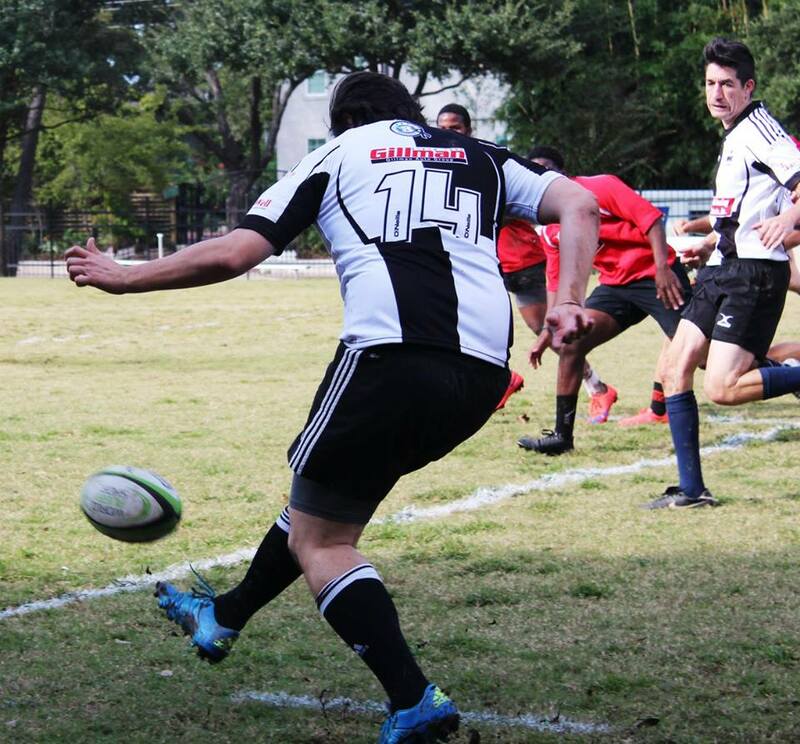 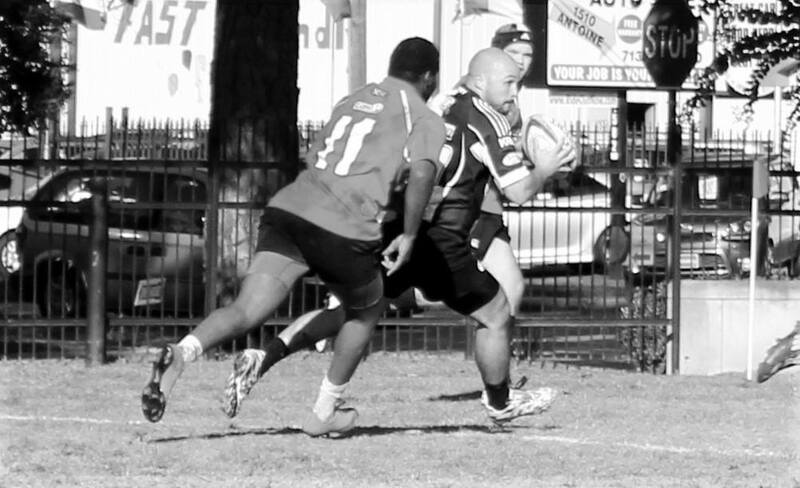 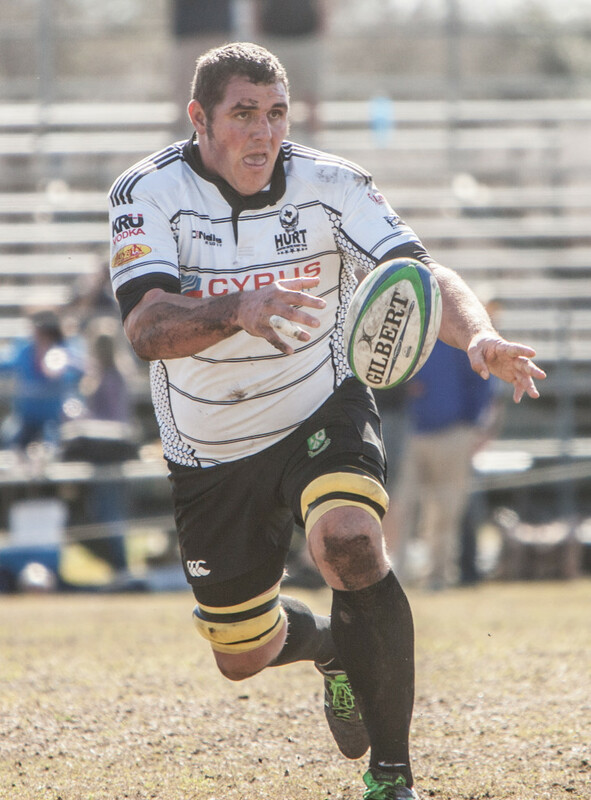 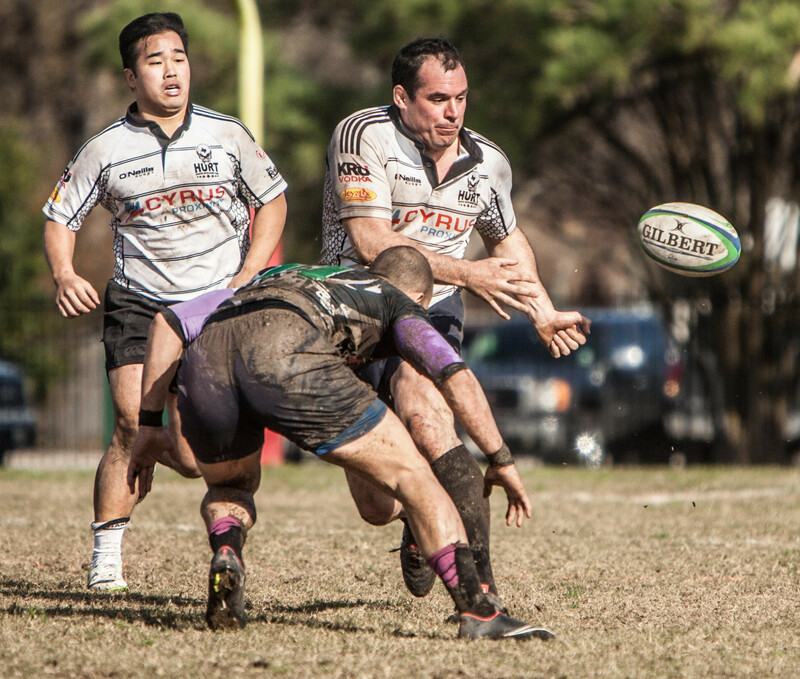 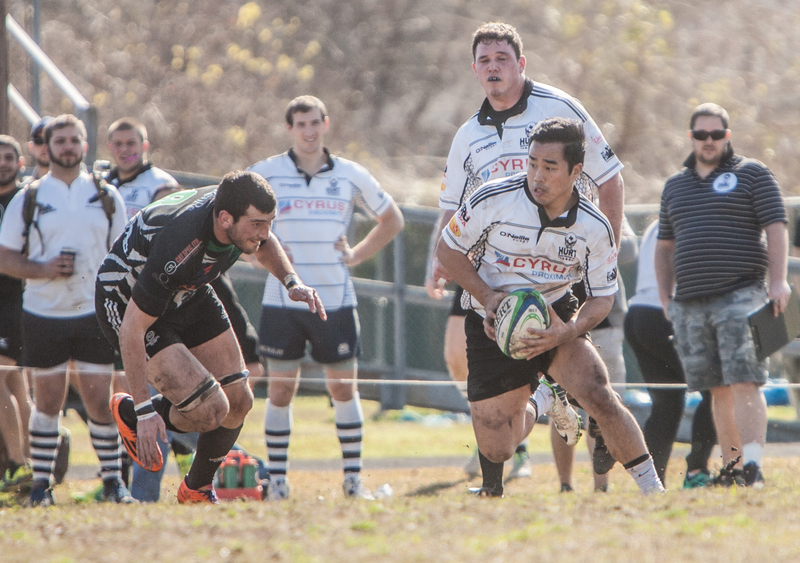 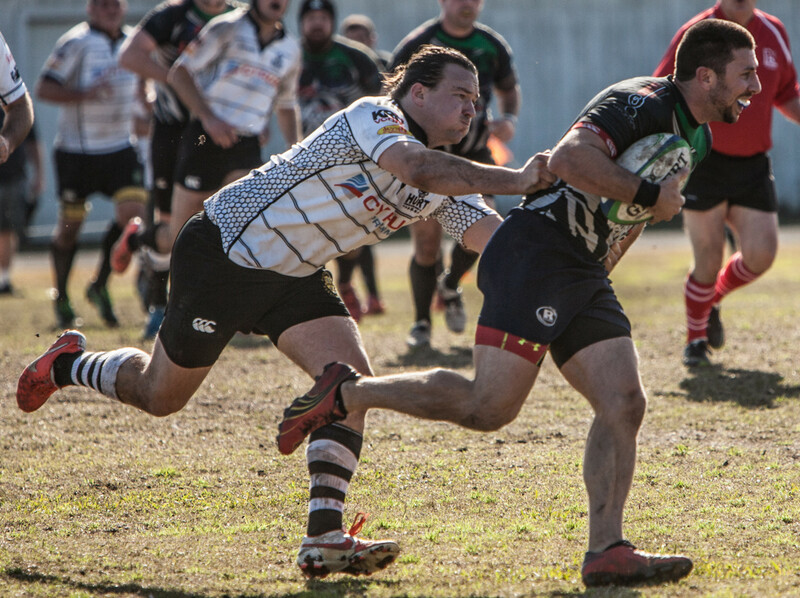 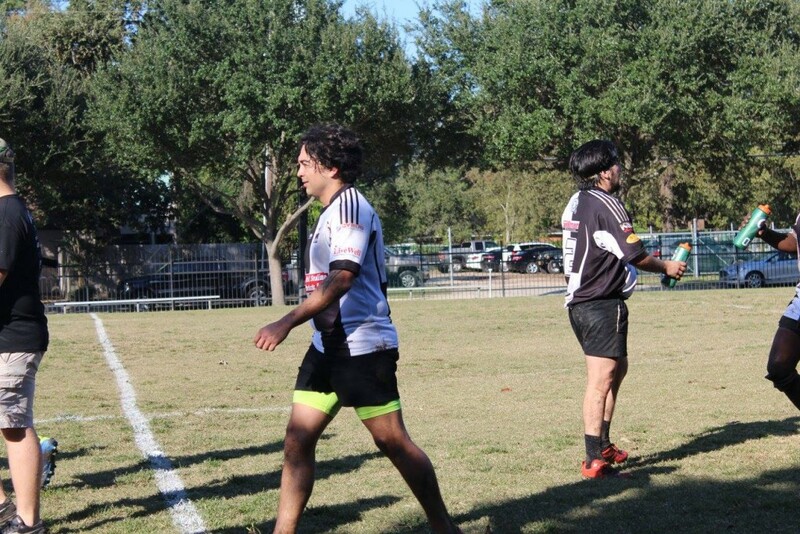 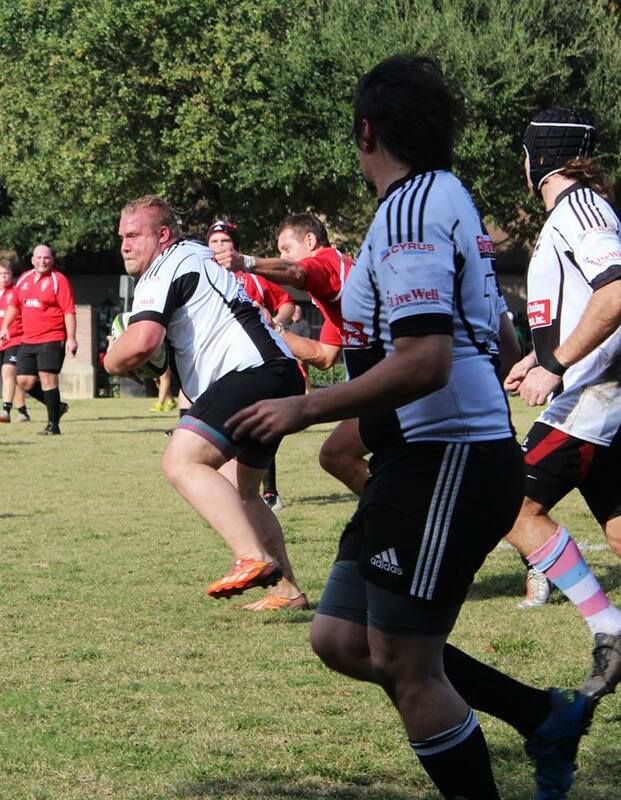 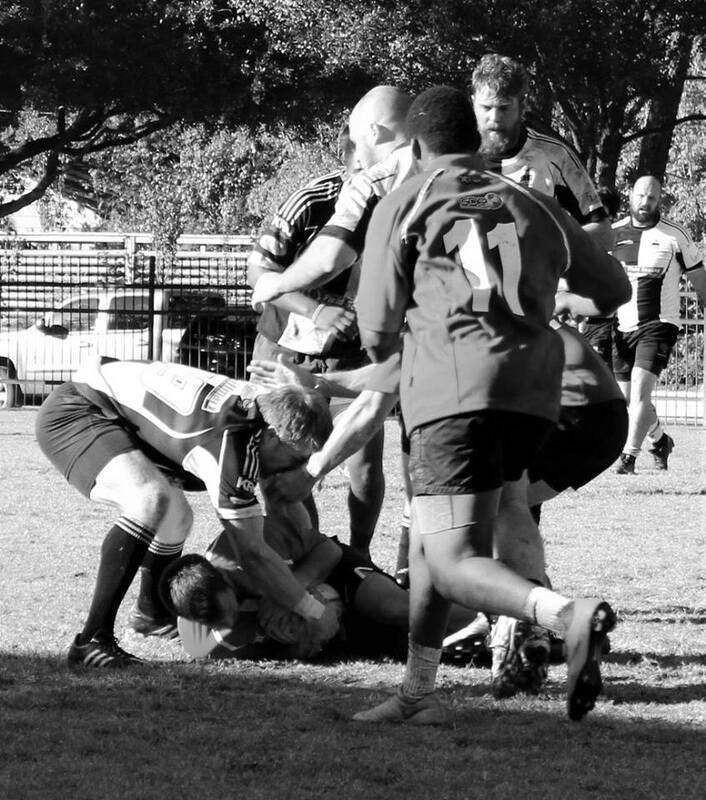 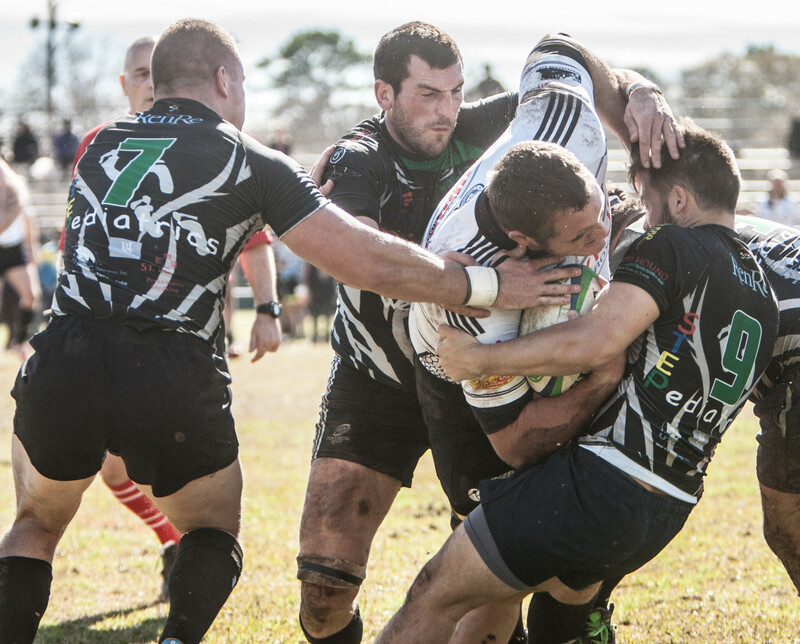 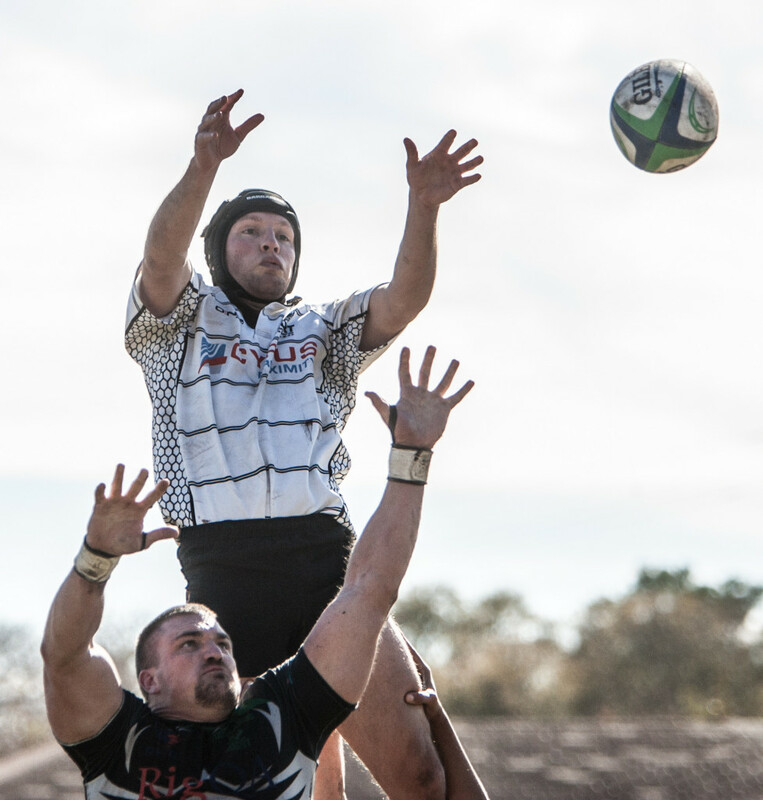 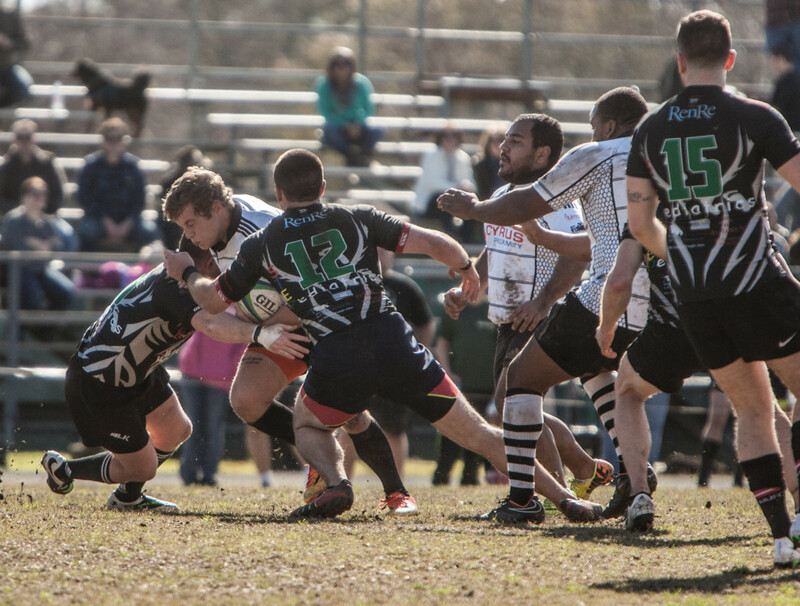 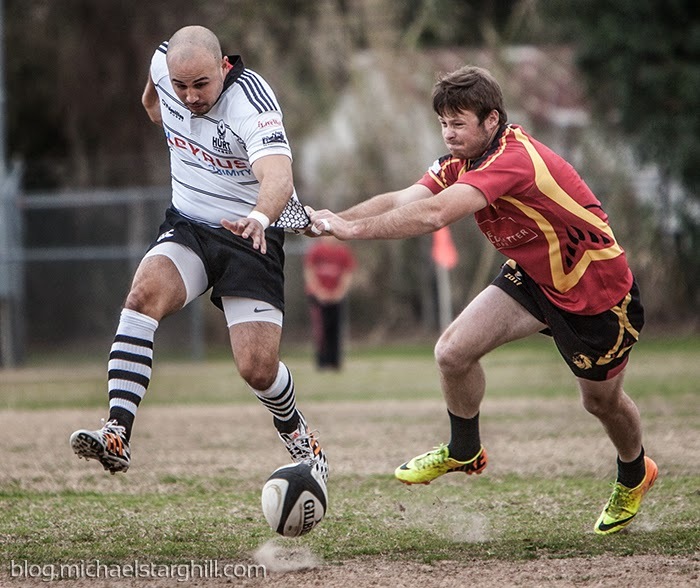 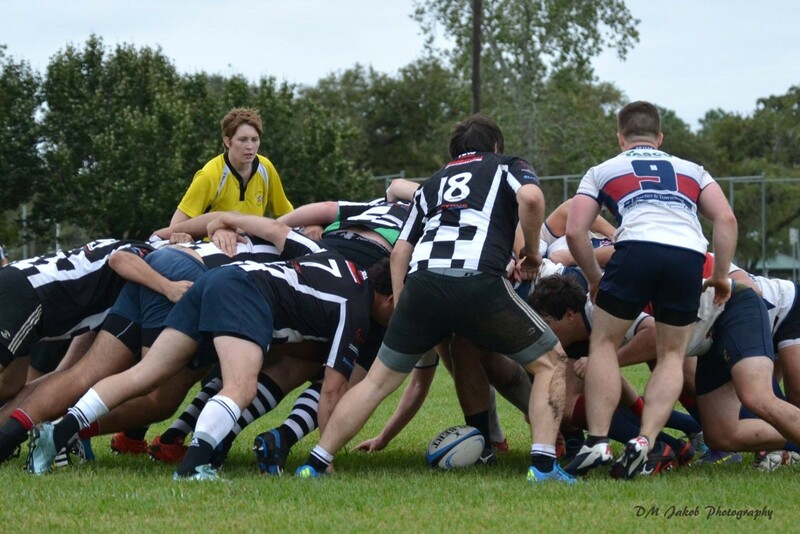 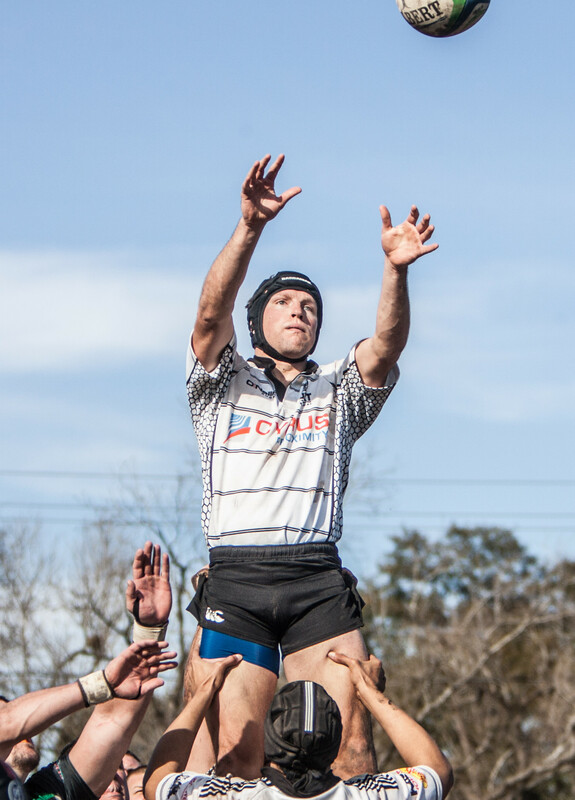 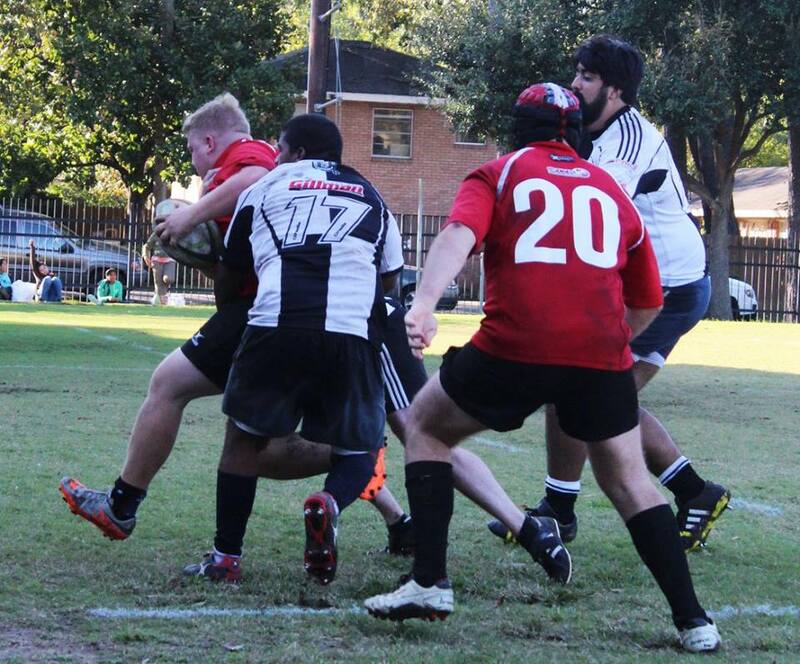 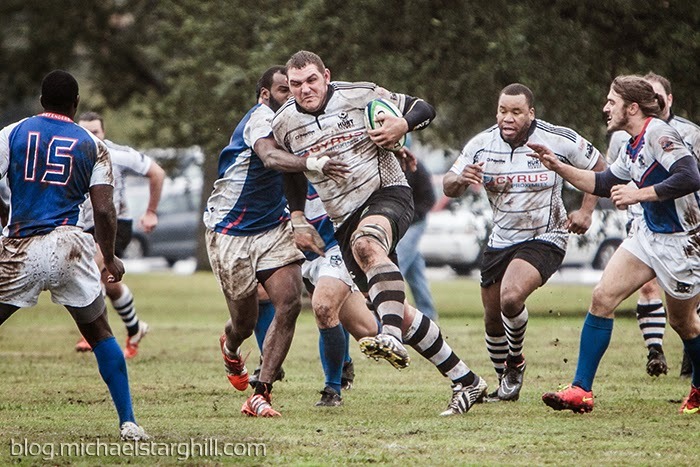 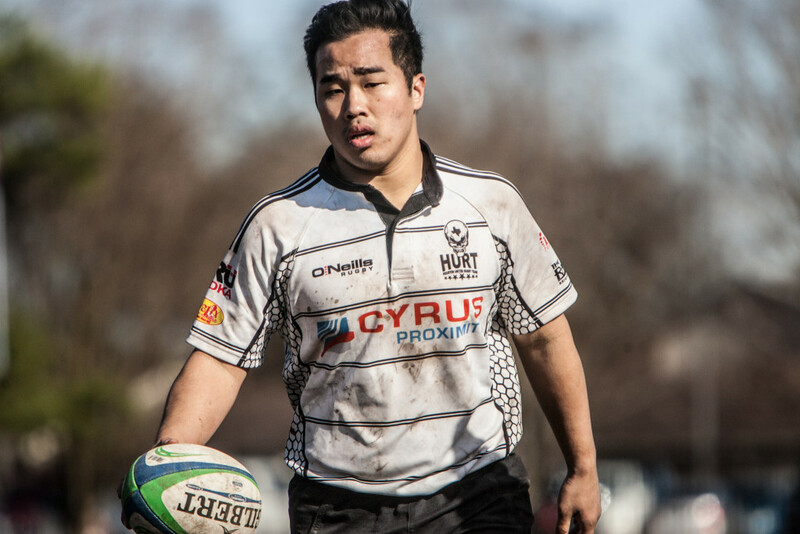 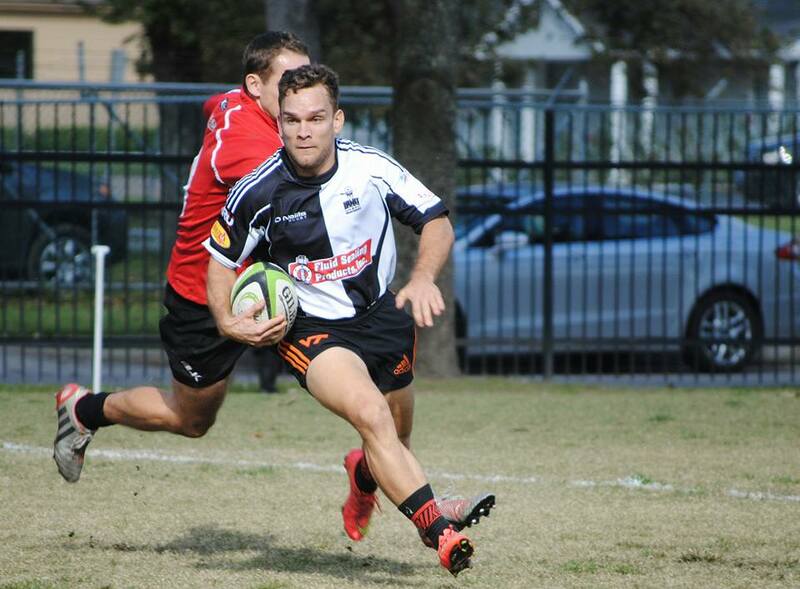 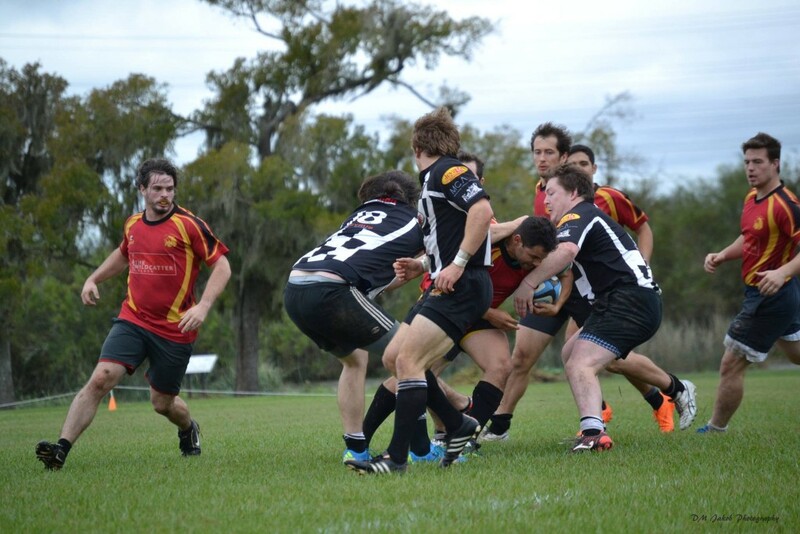 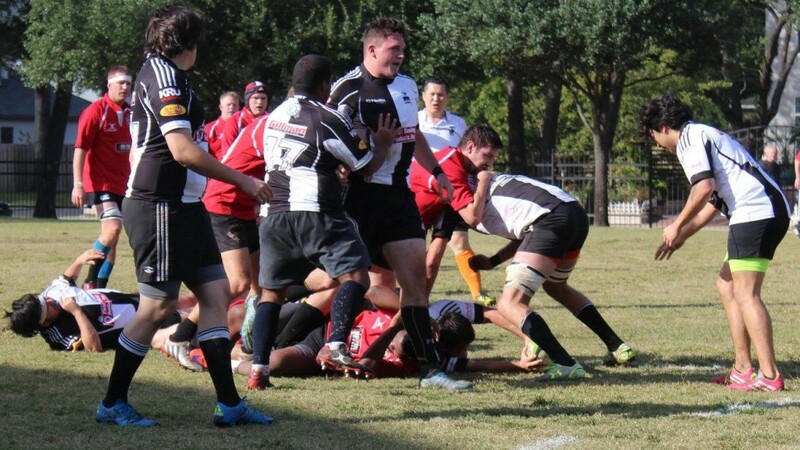 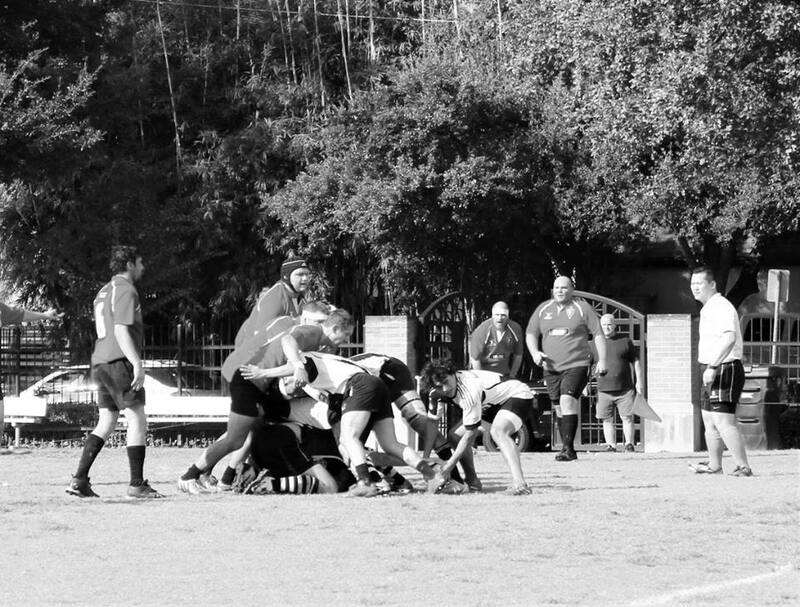 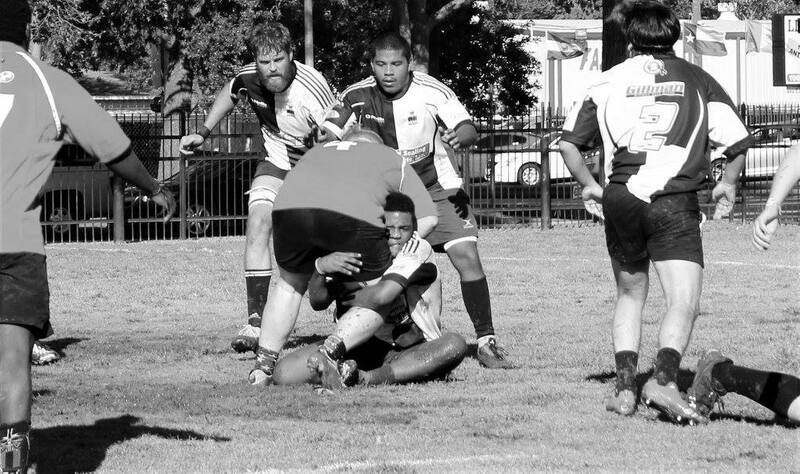 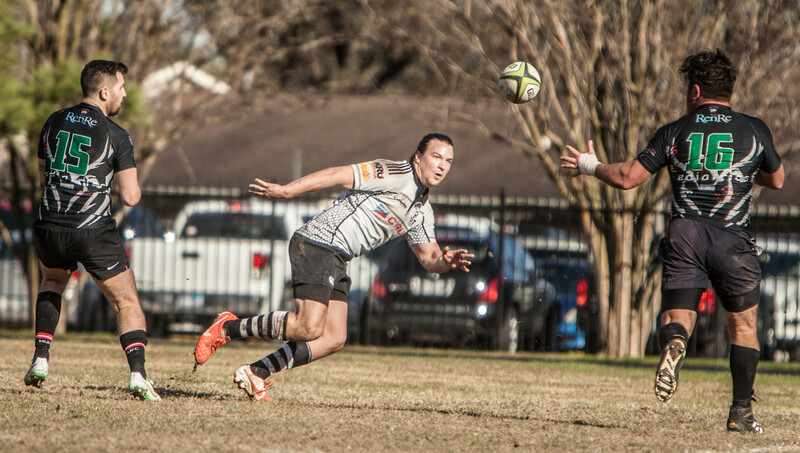 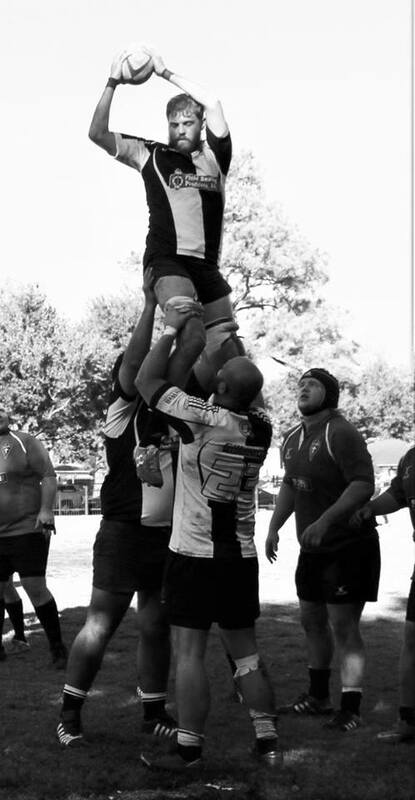 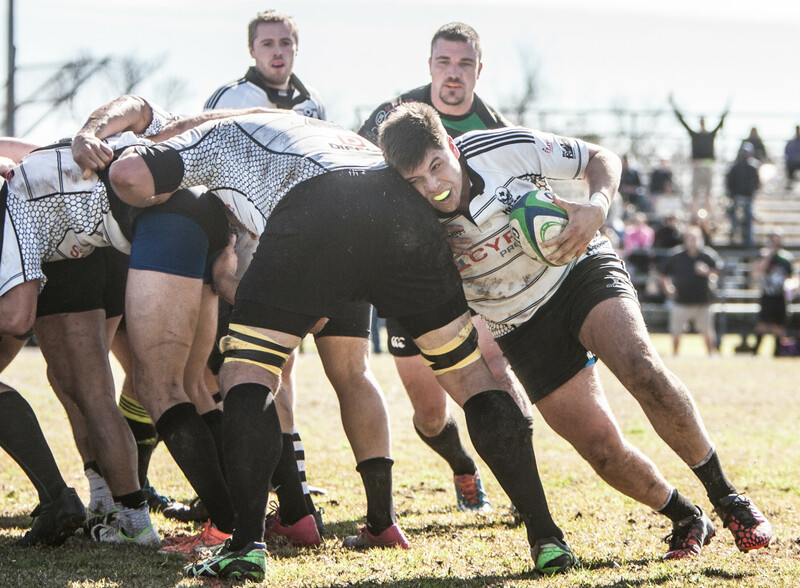 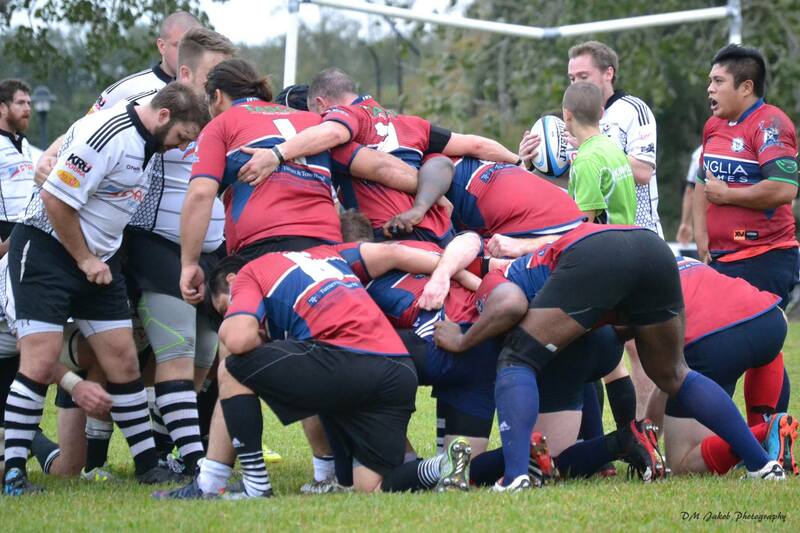 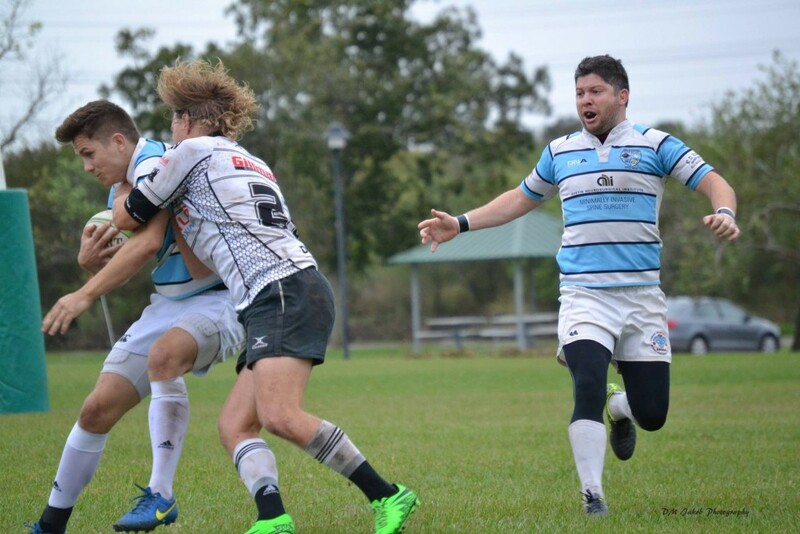 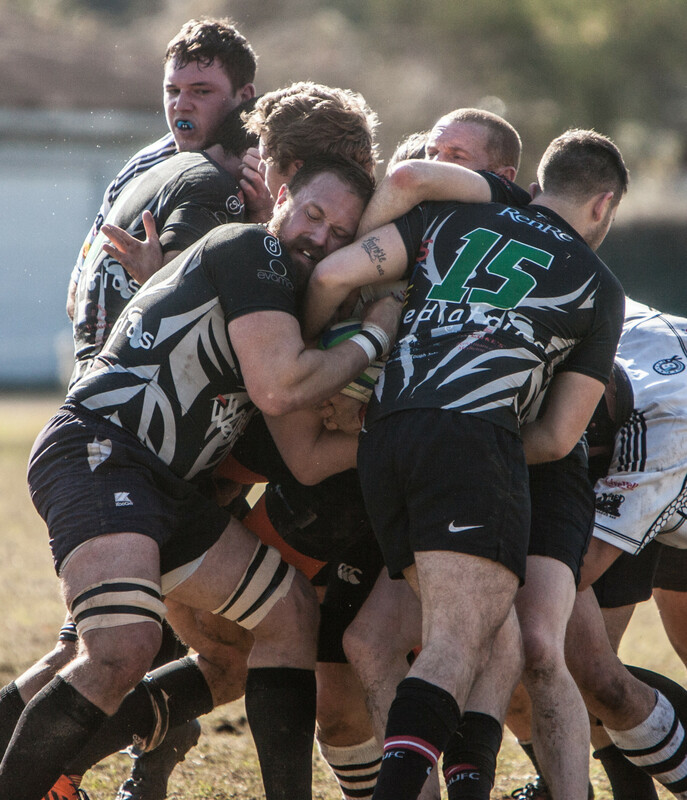 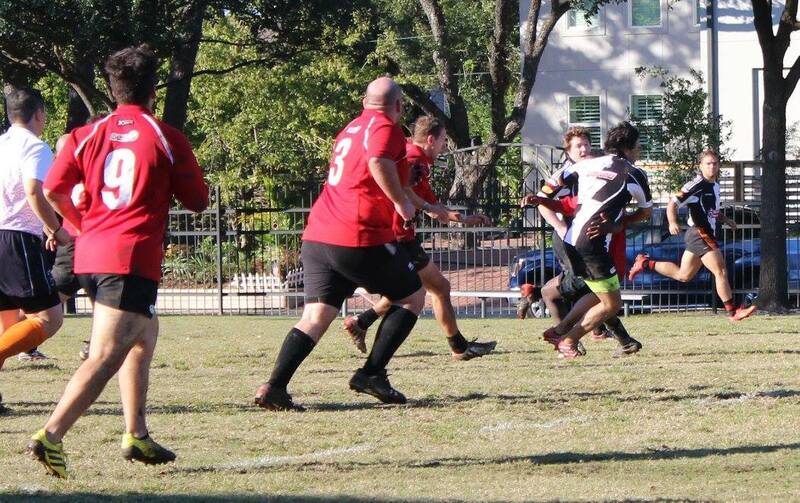 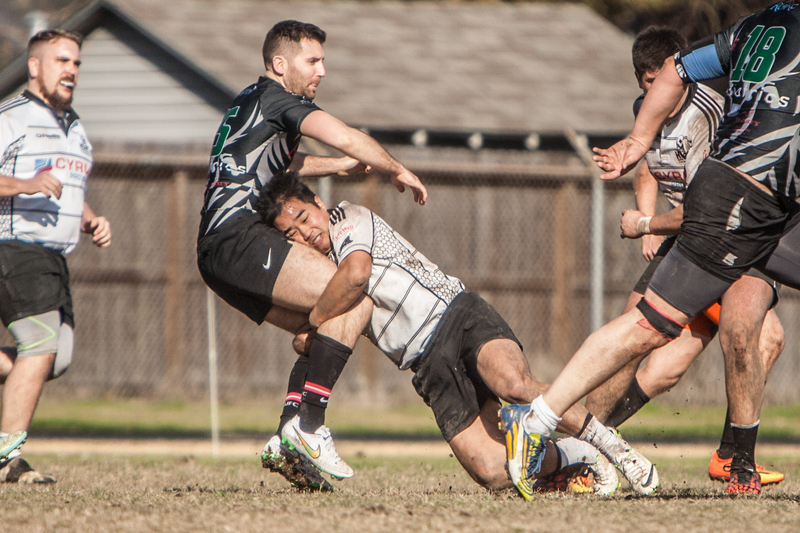 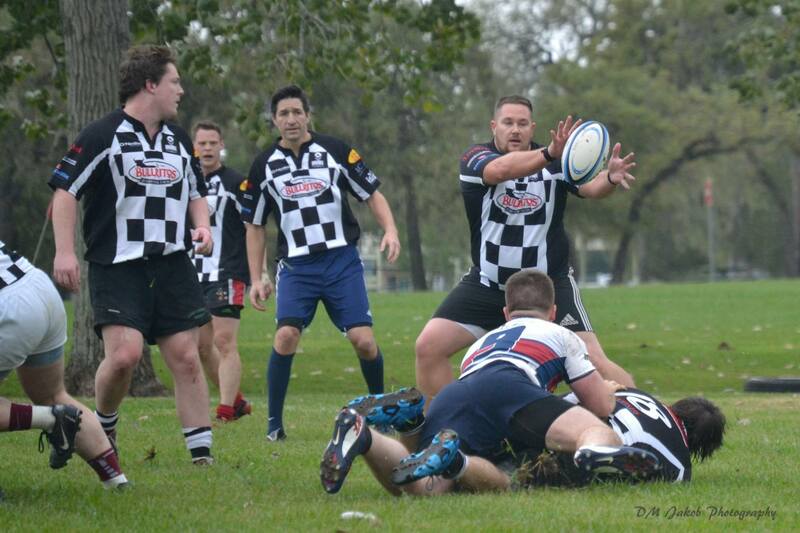 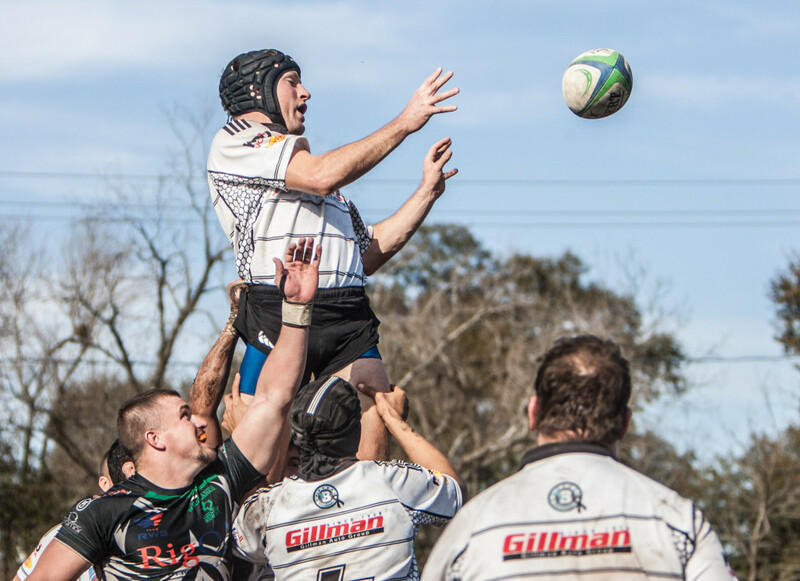 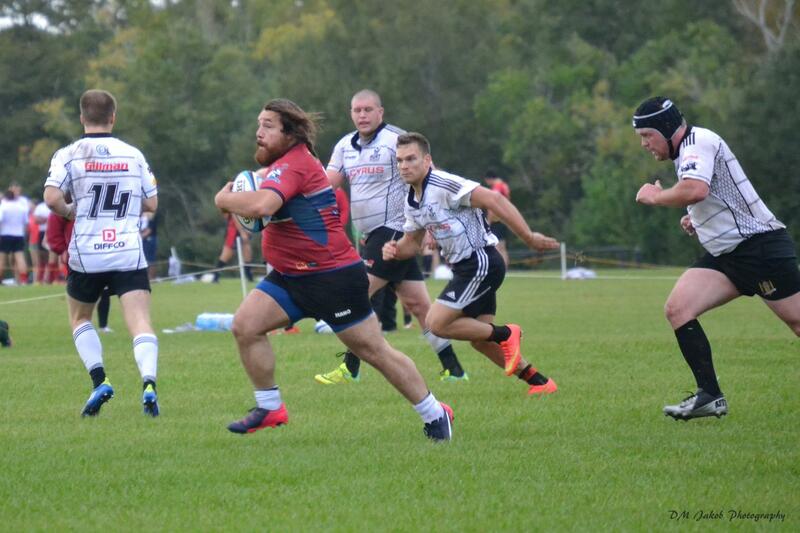 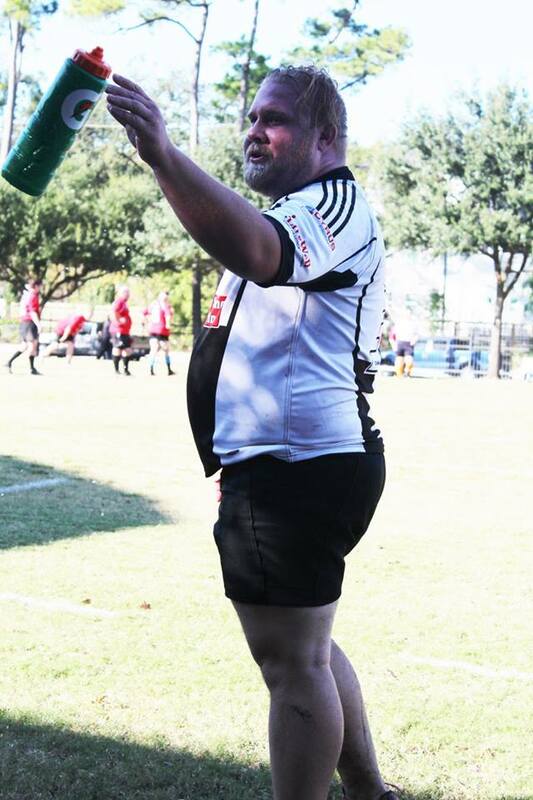 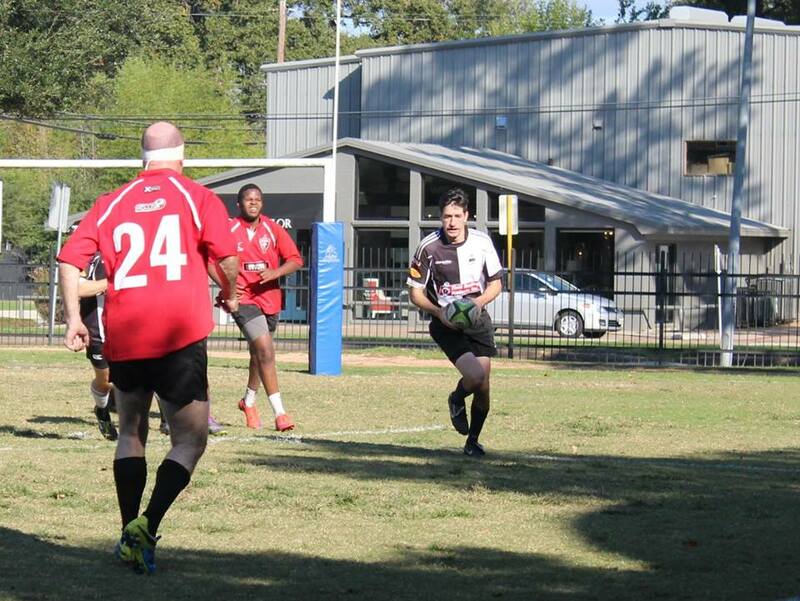 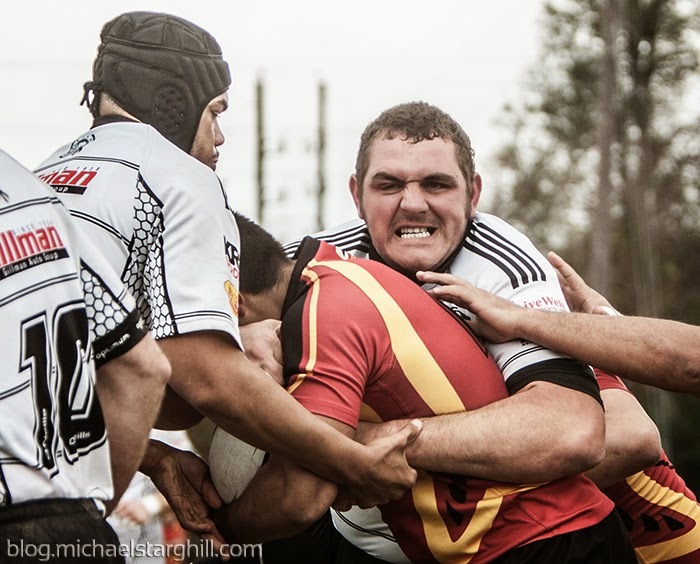 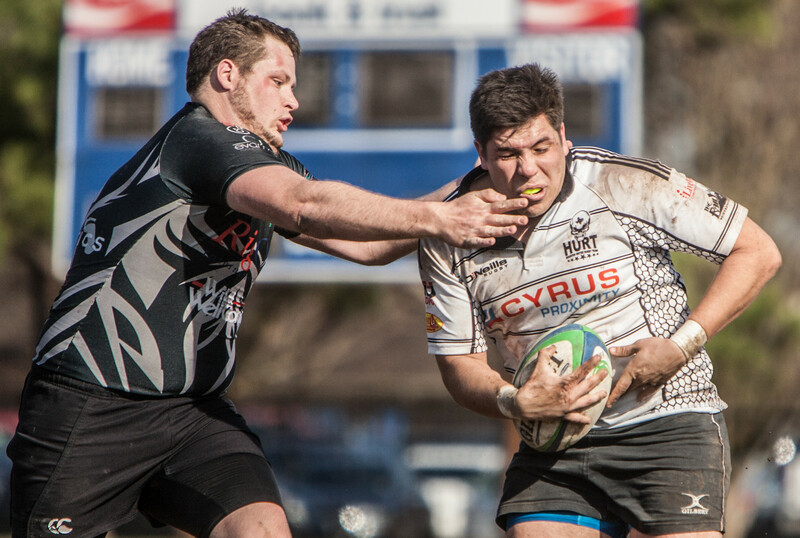 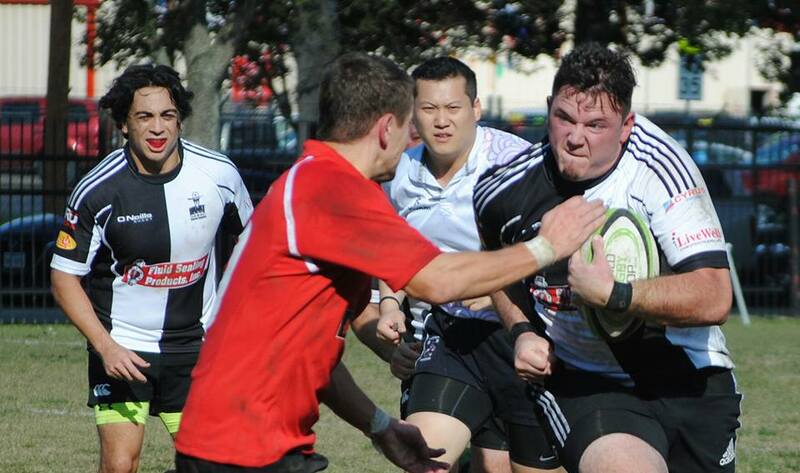 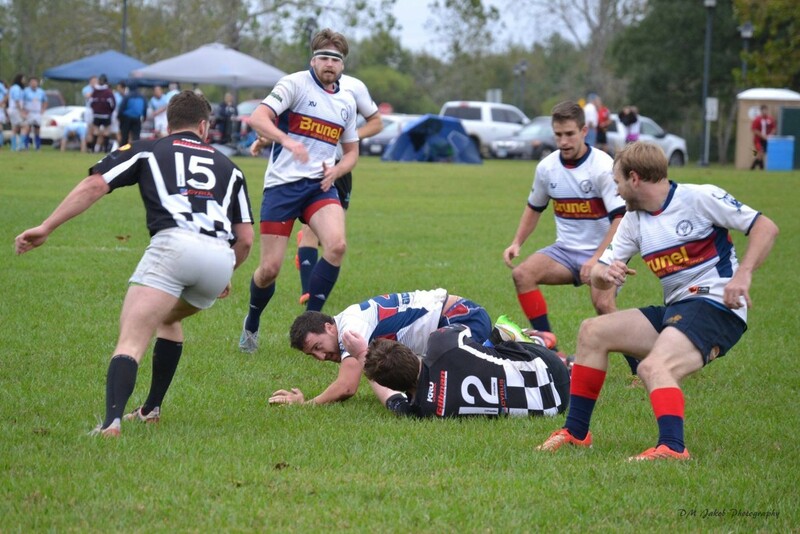 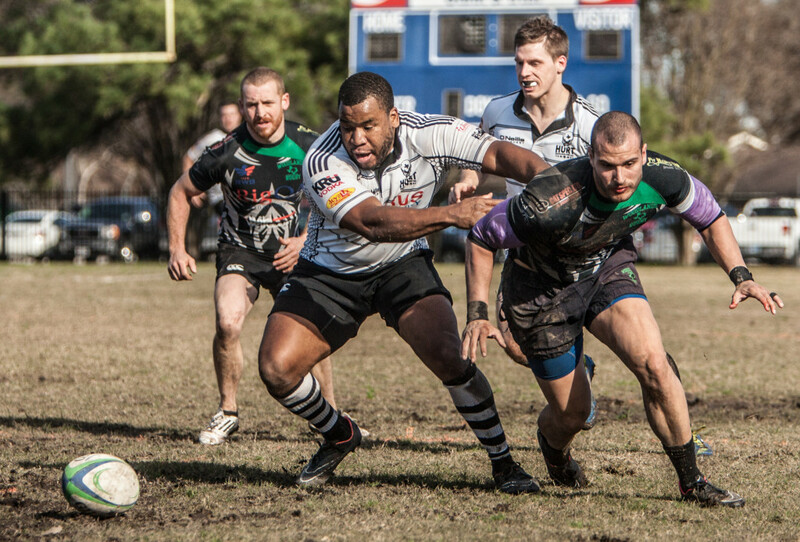 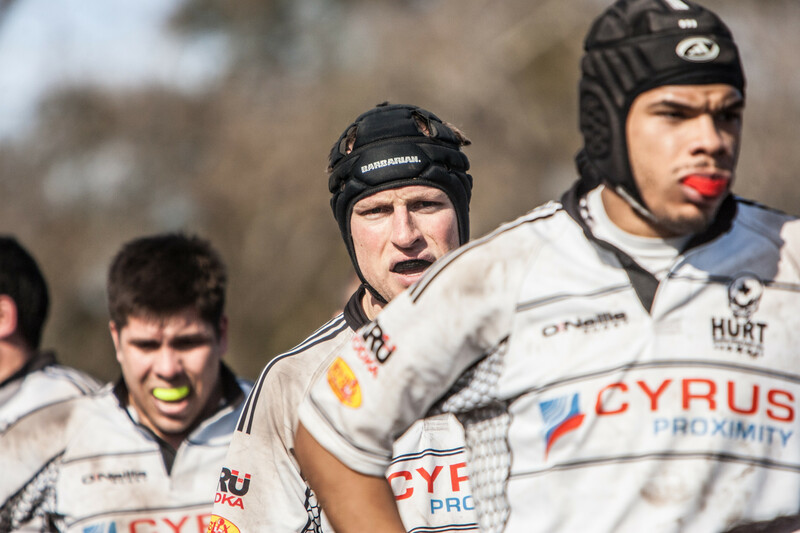 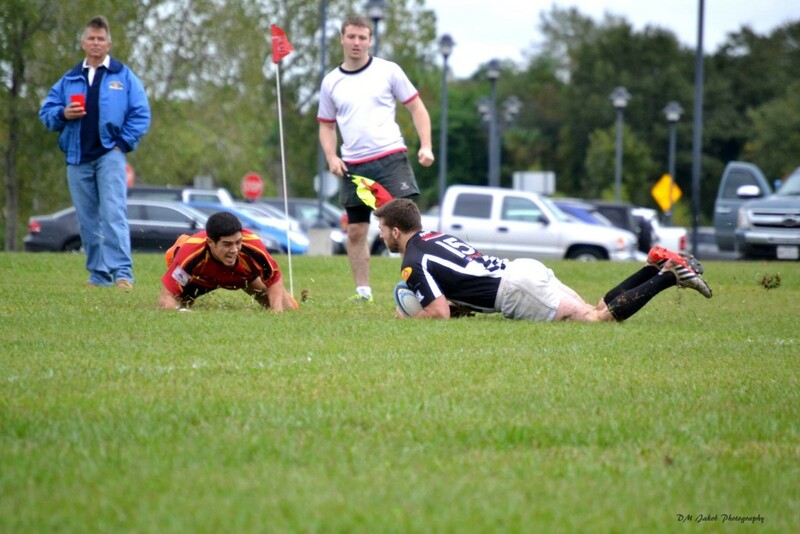 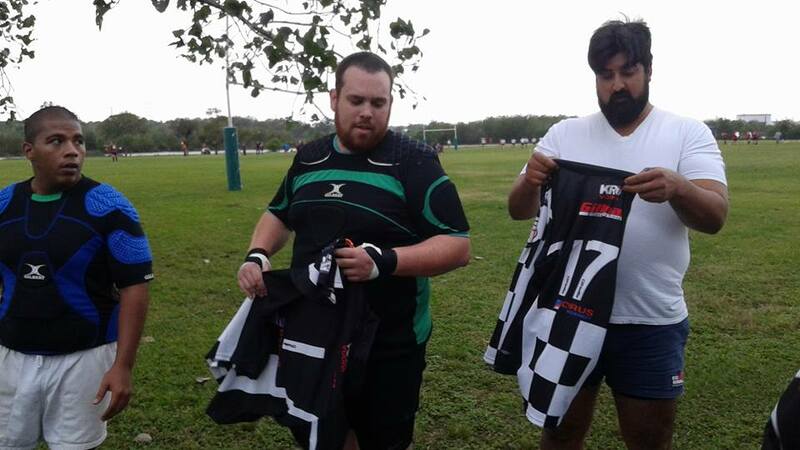 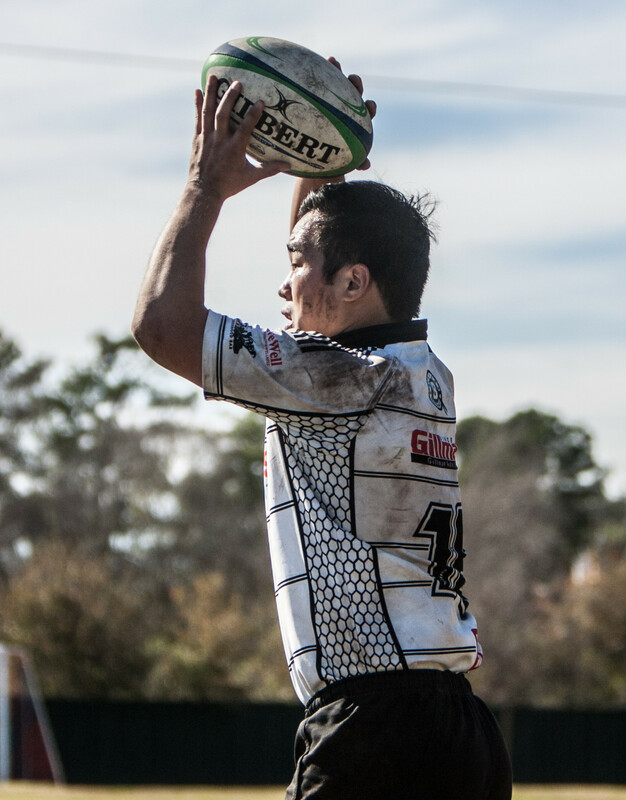 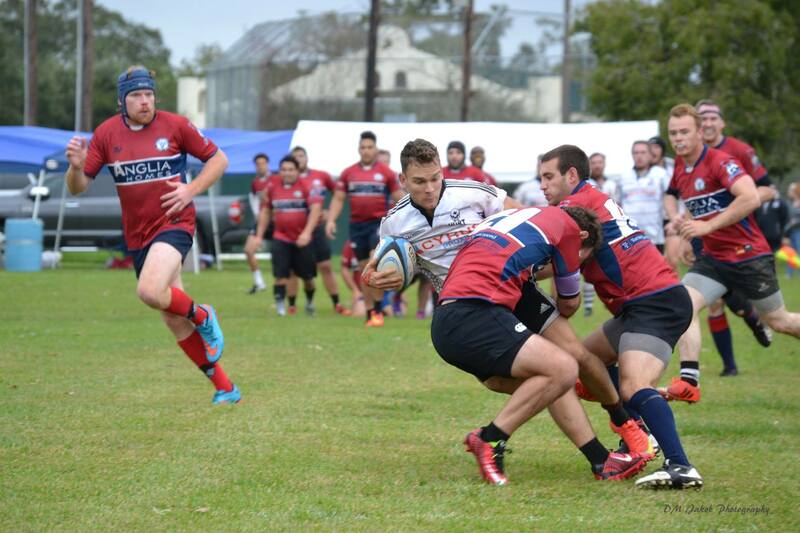 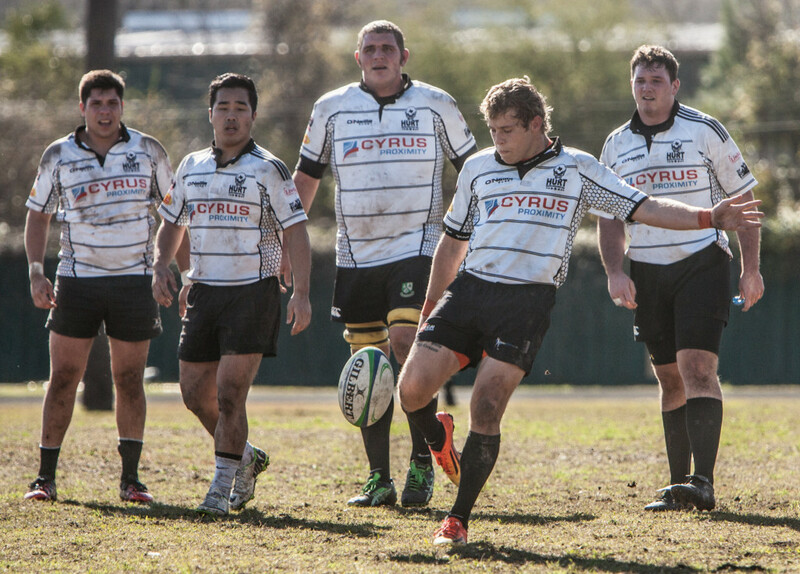 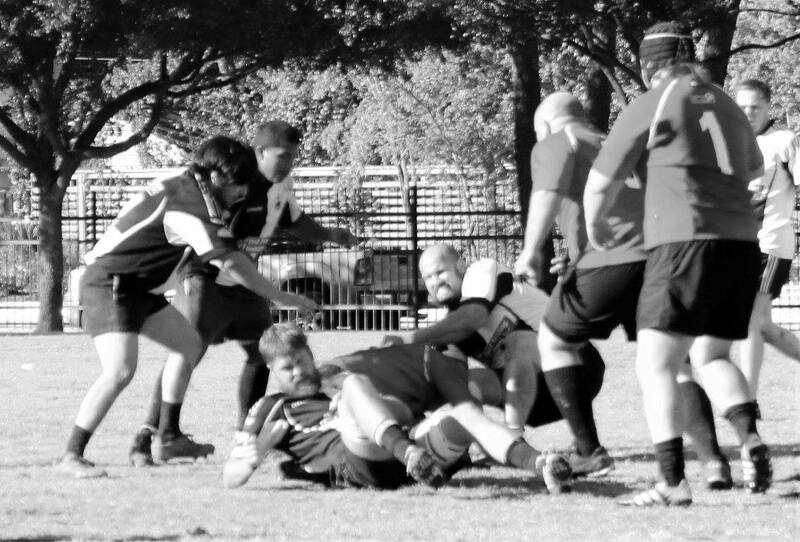 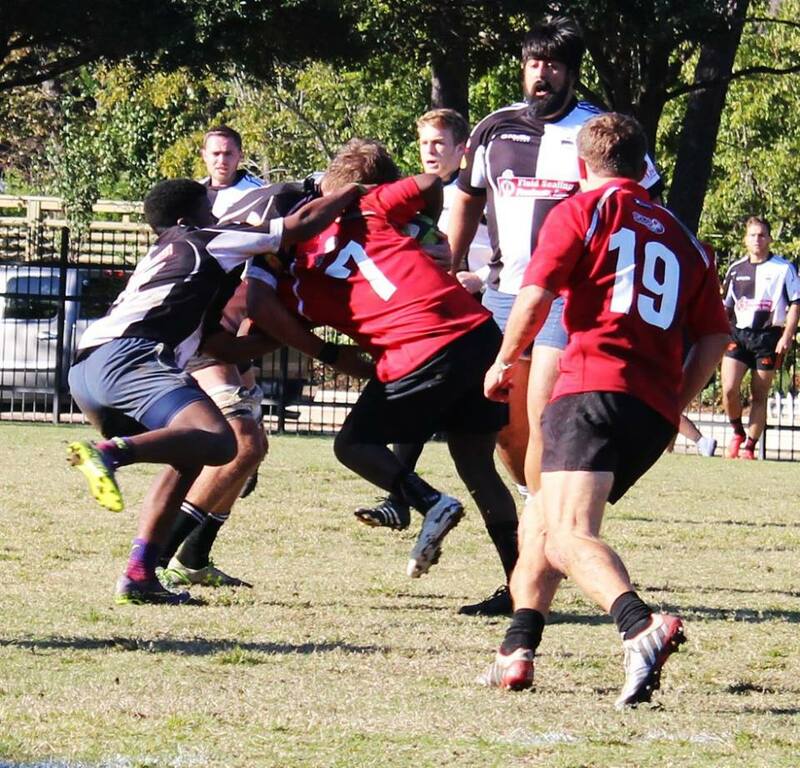 As for the Henchman, in their first ever appearance on the rugby field, captured 1st place of the Plate Division by defeating the Katy Lions. 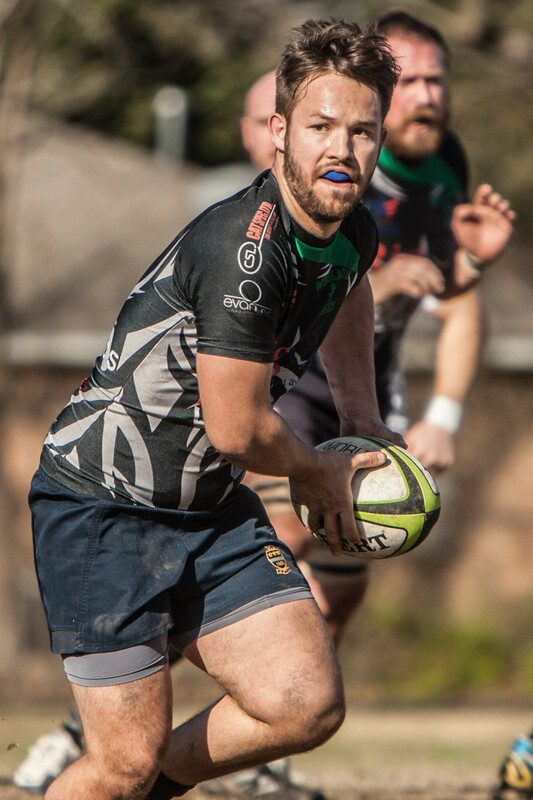 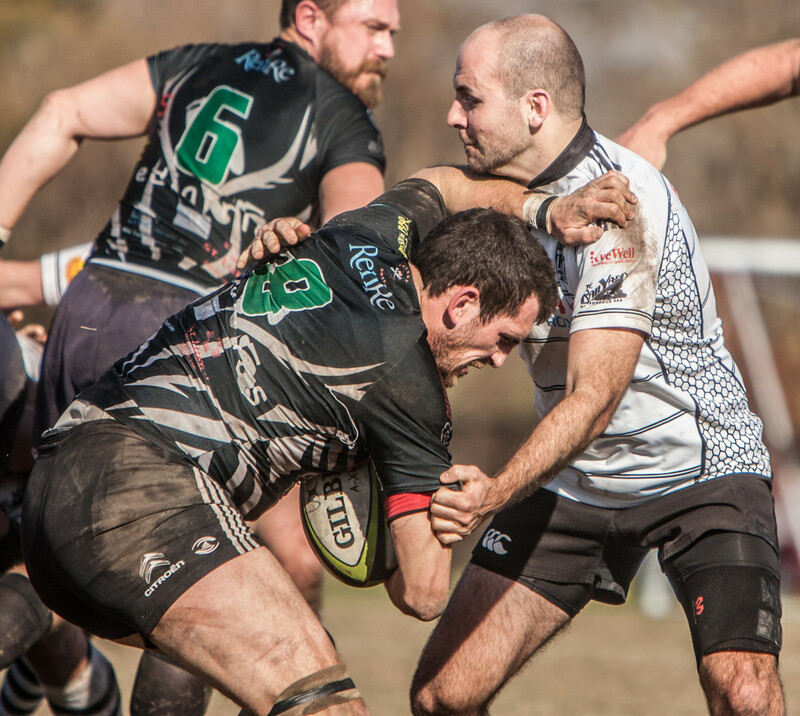 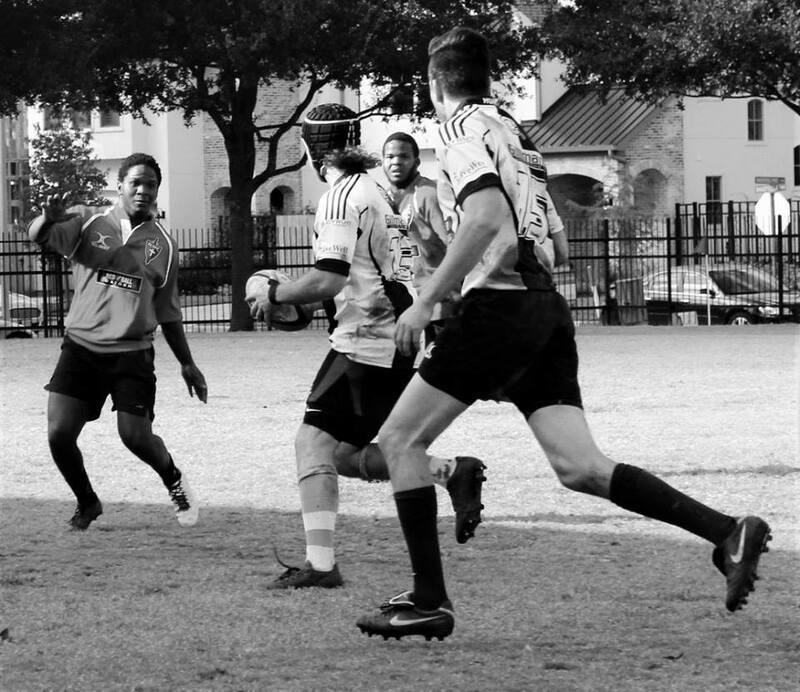 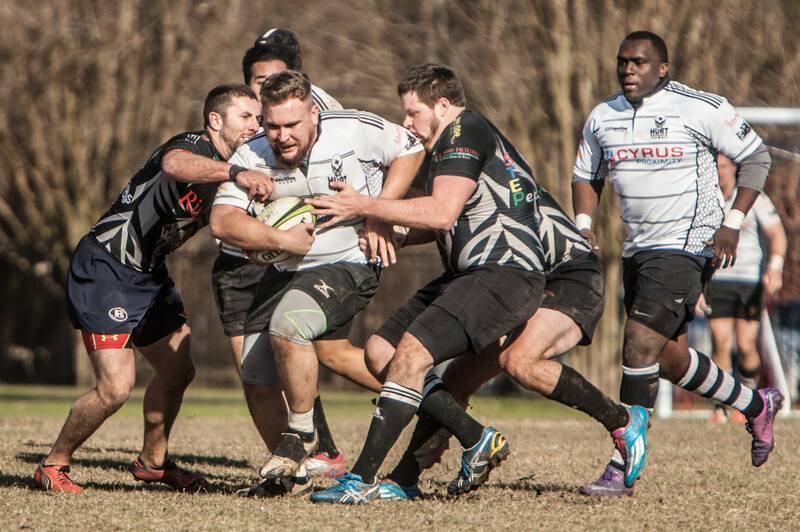 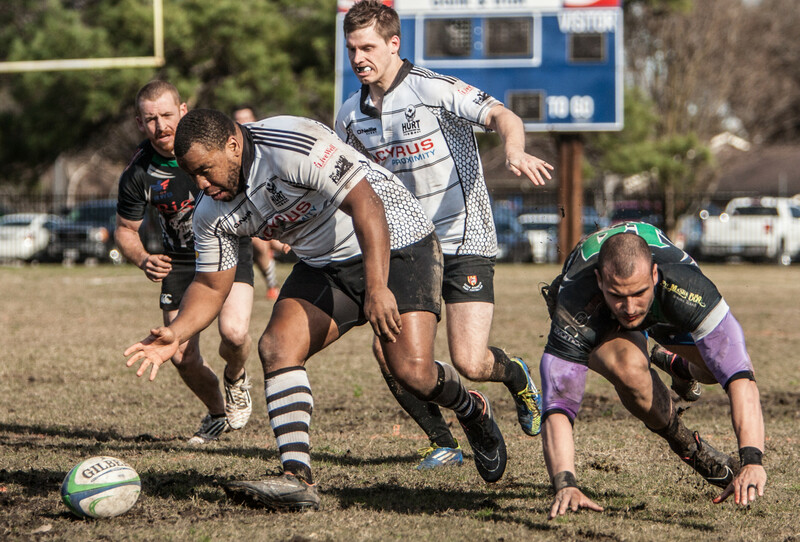 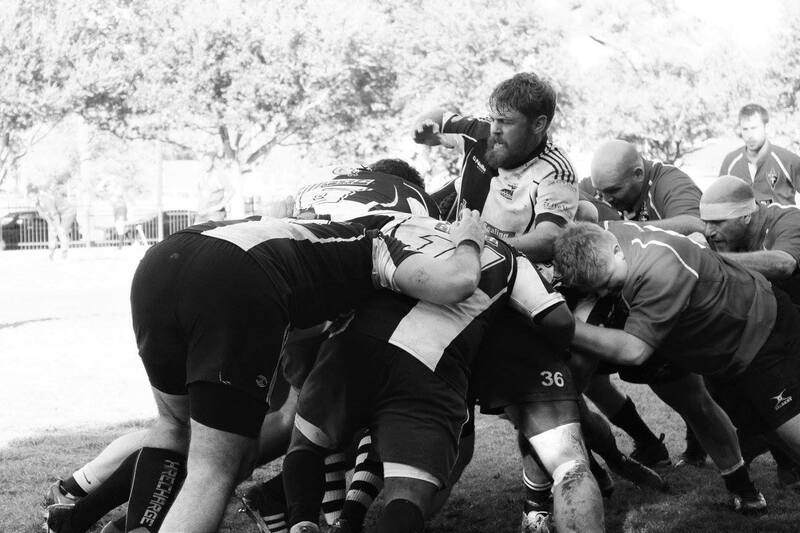 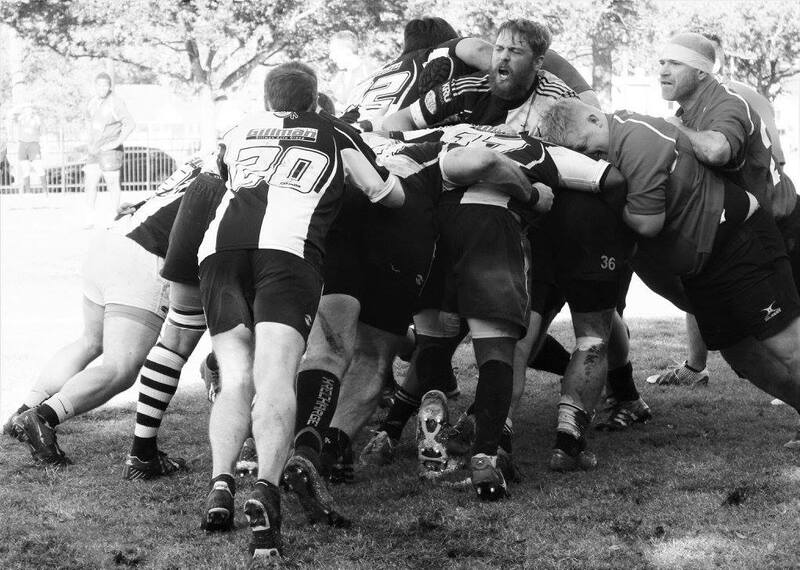 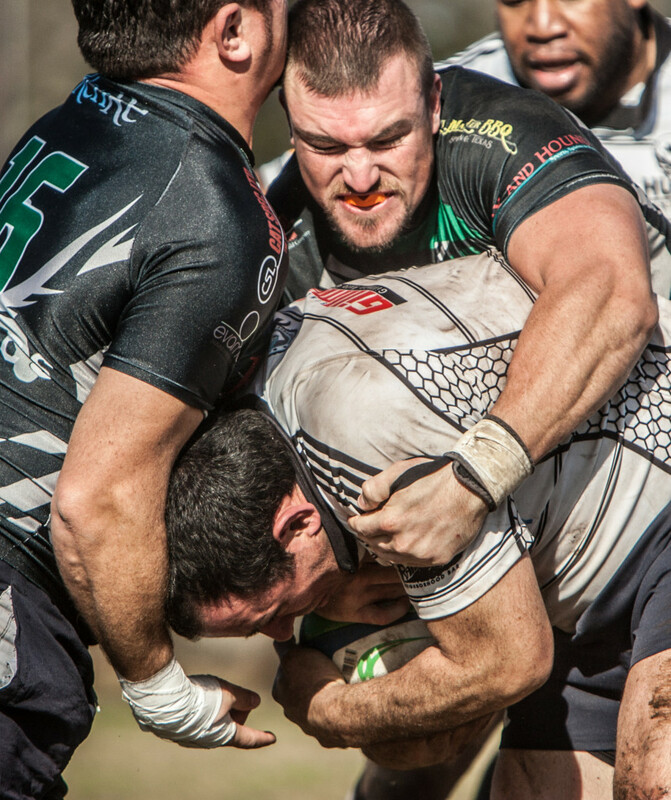 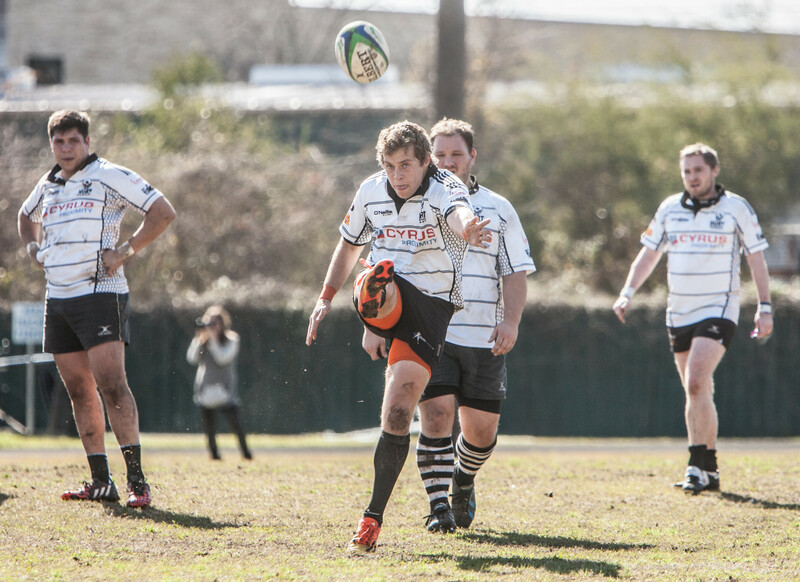 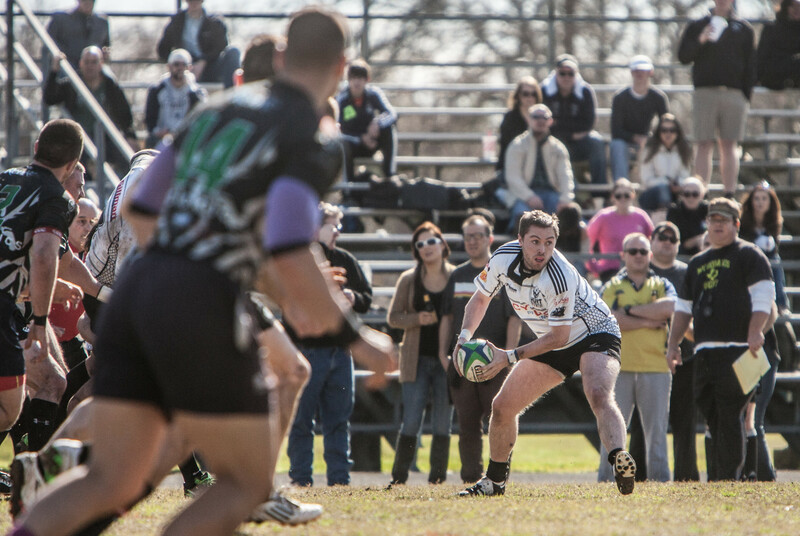 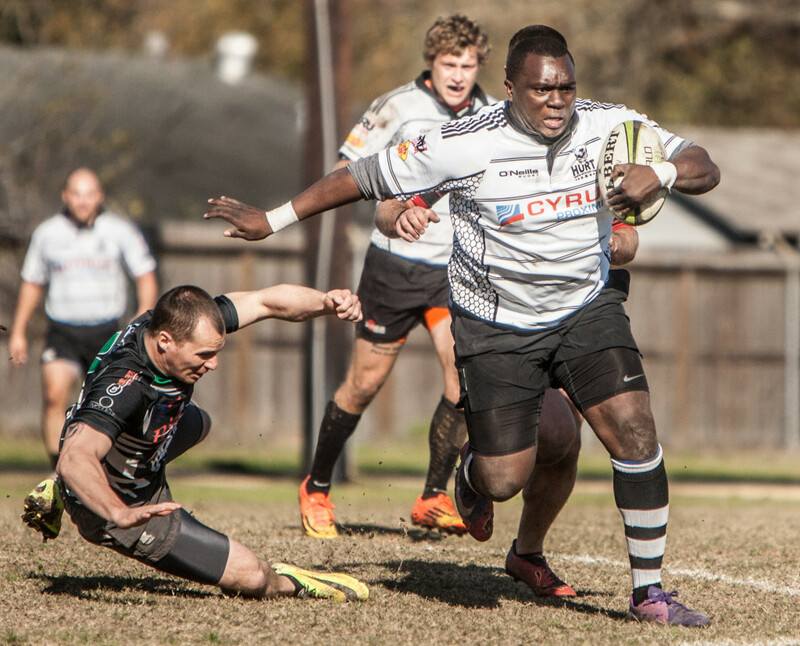 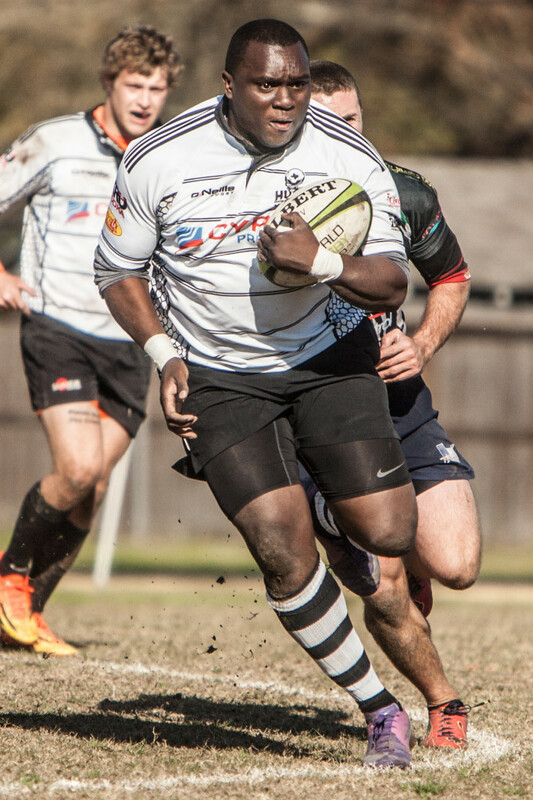 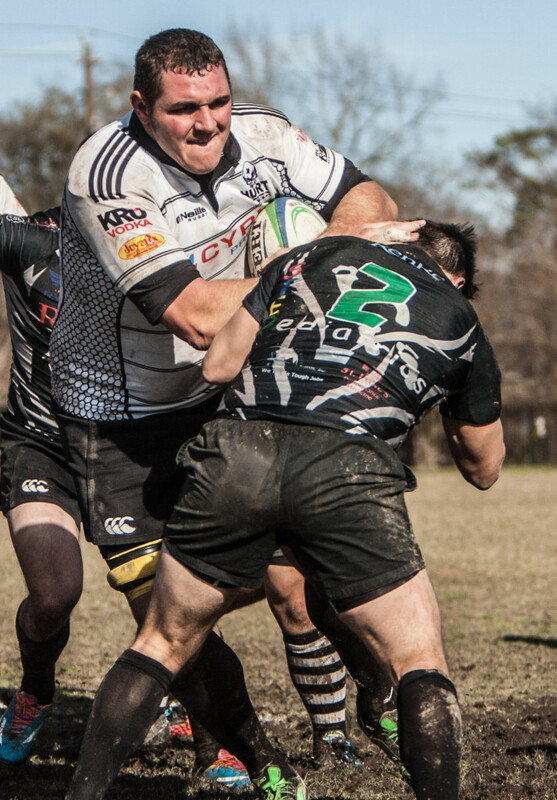 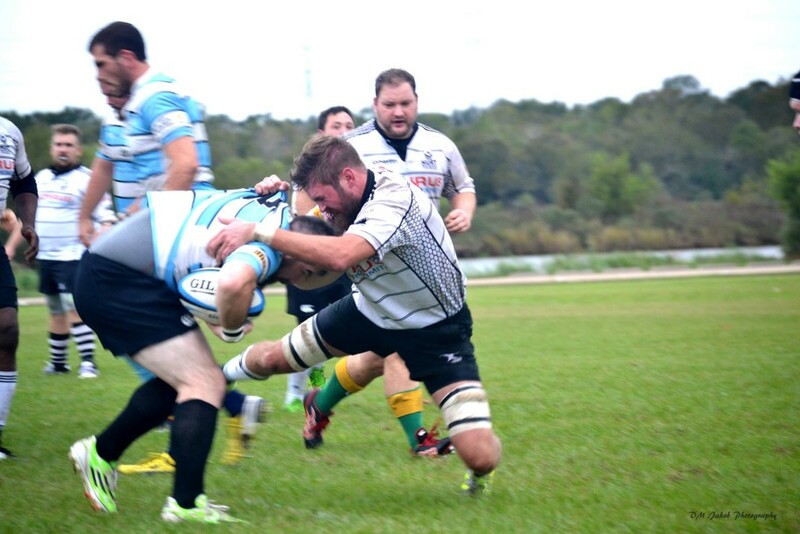 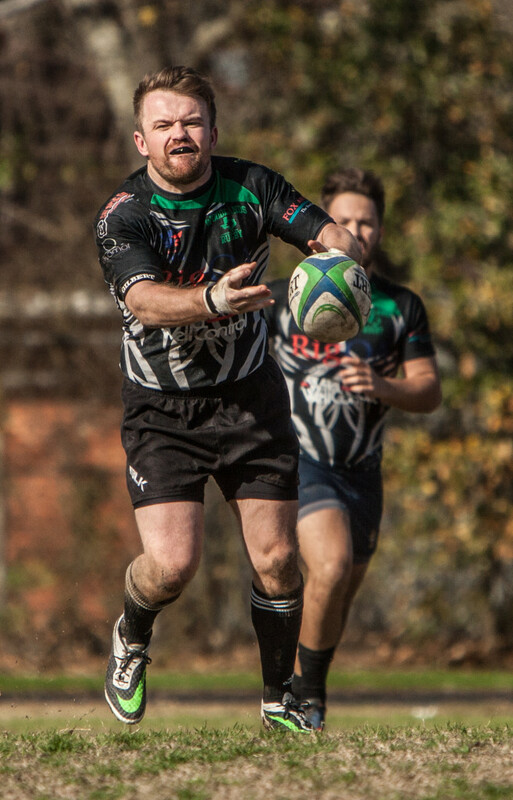 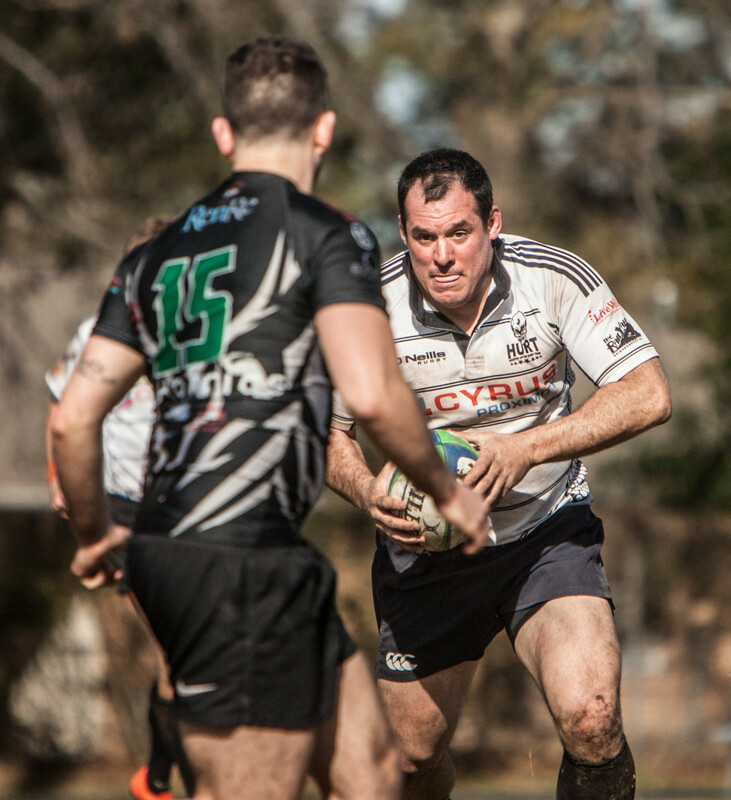 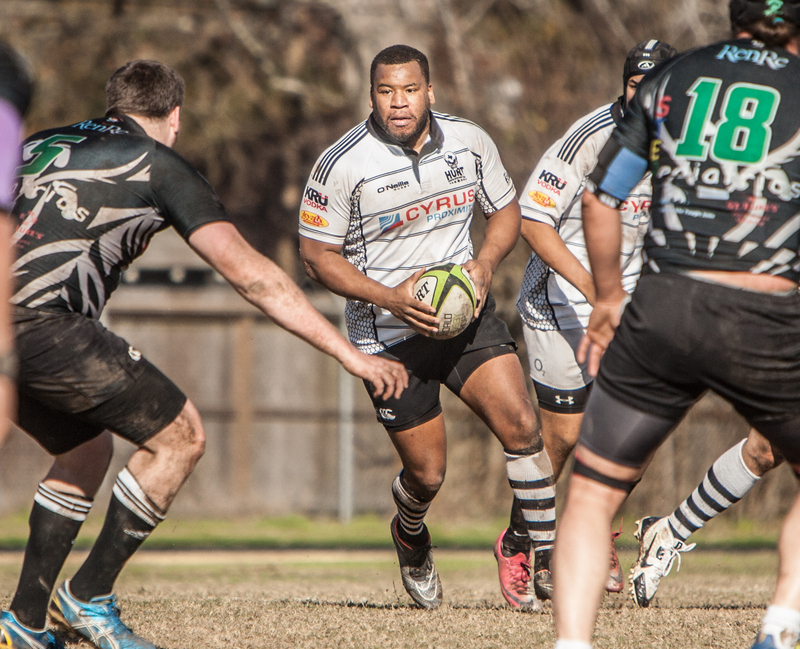 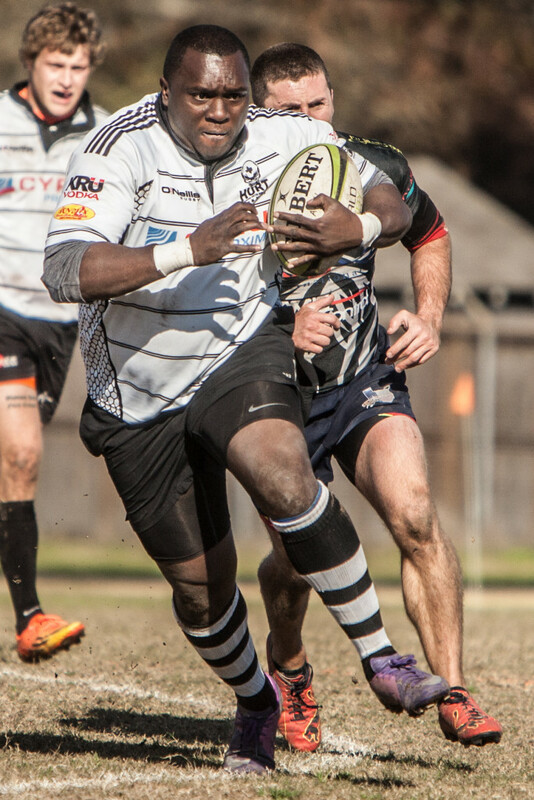 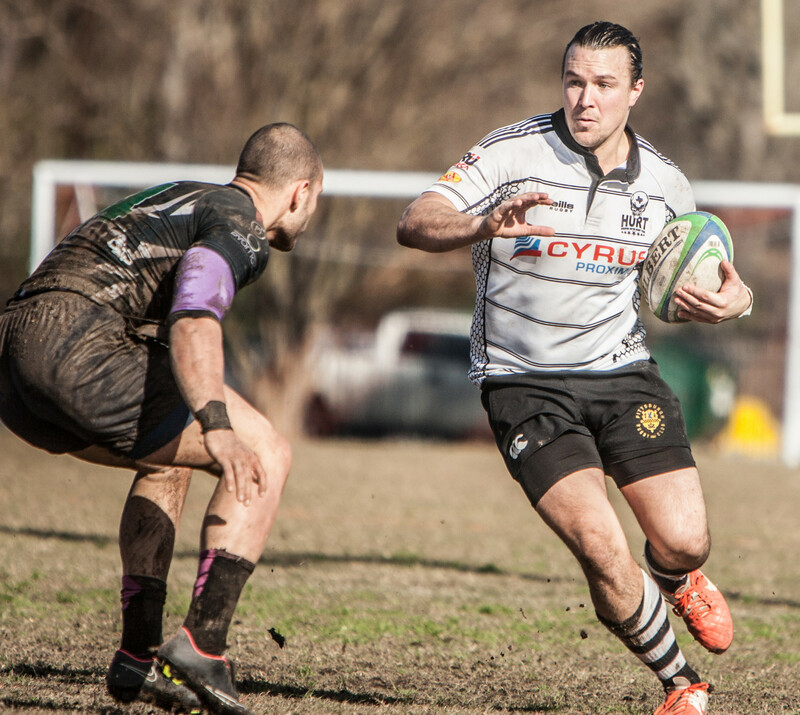 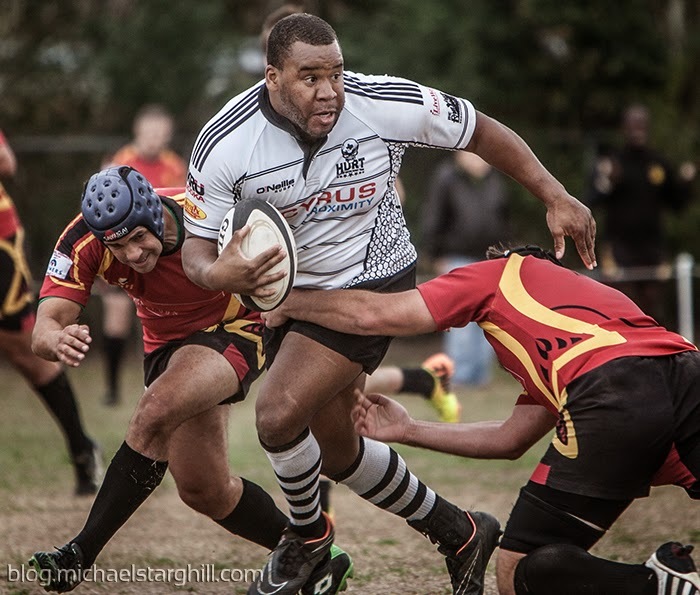 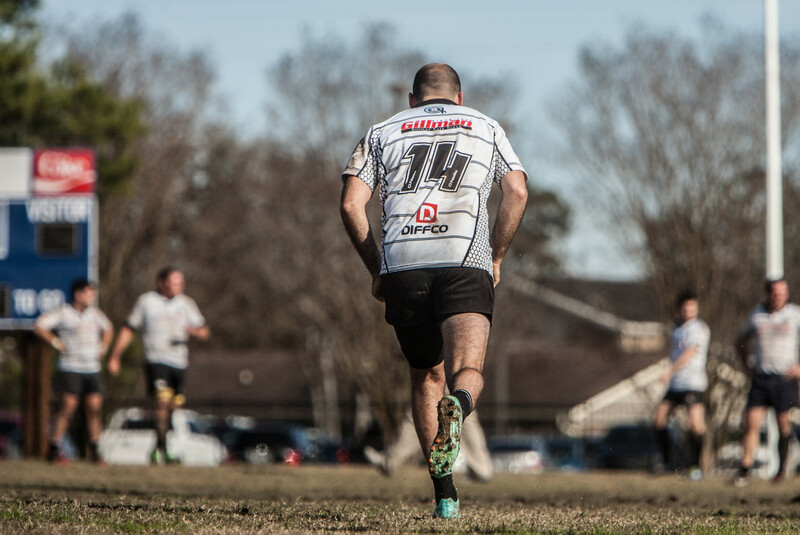 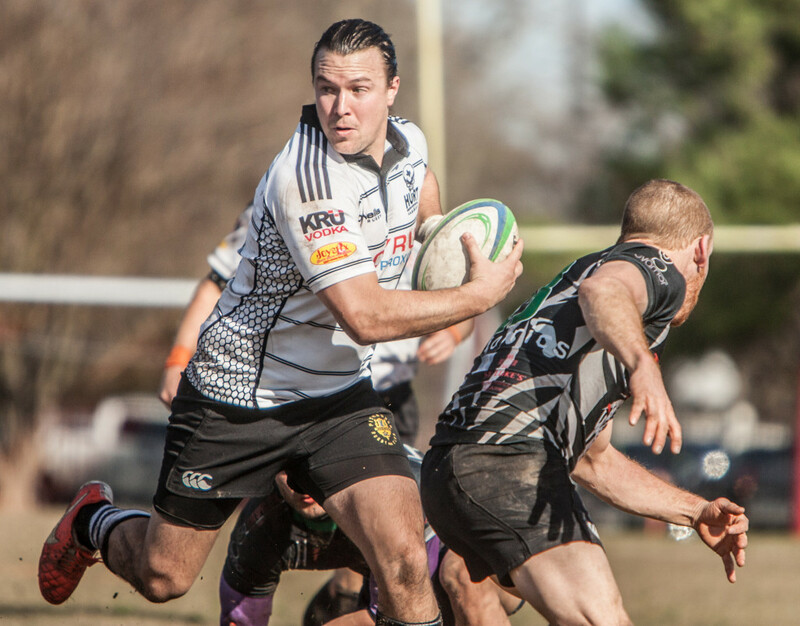 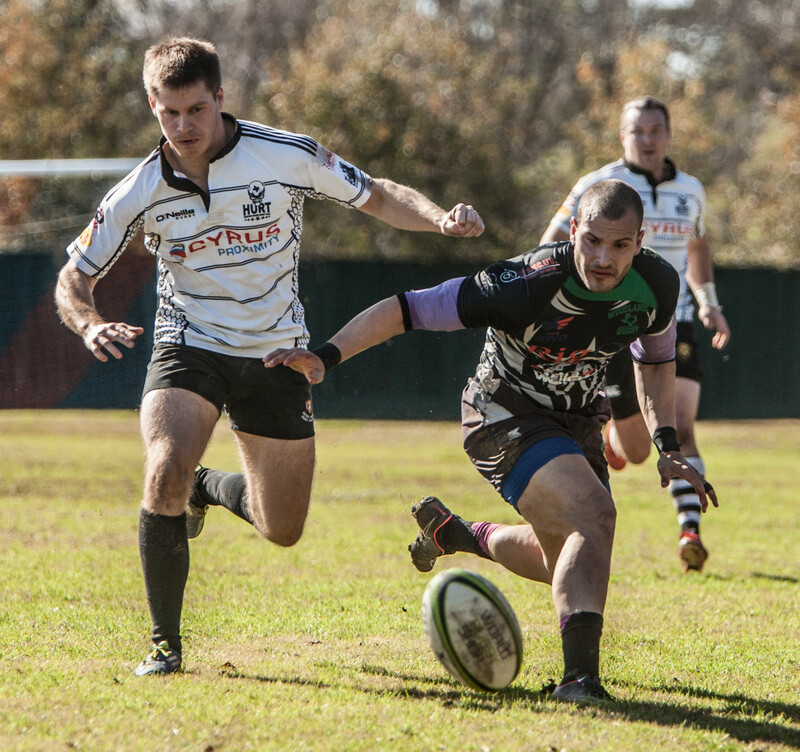 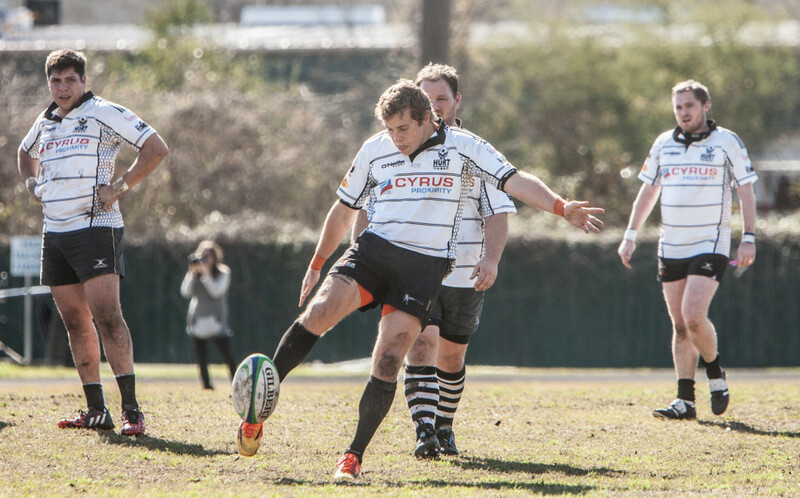 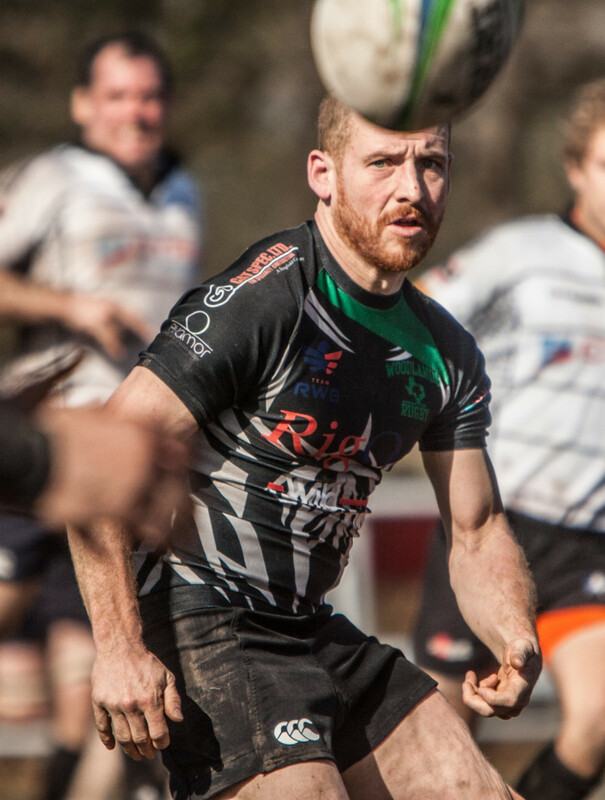 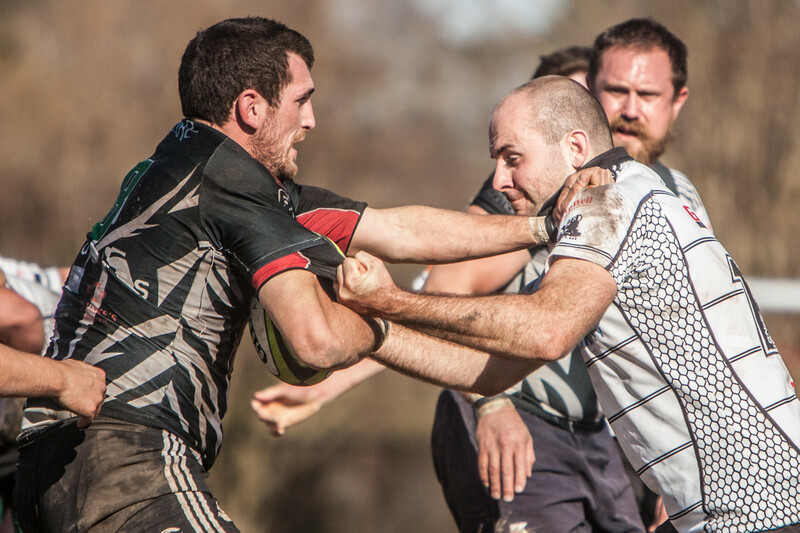 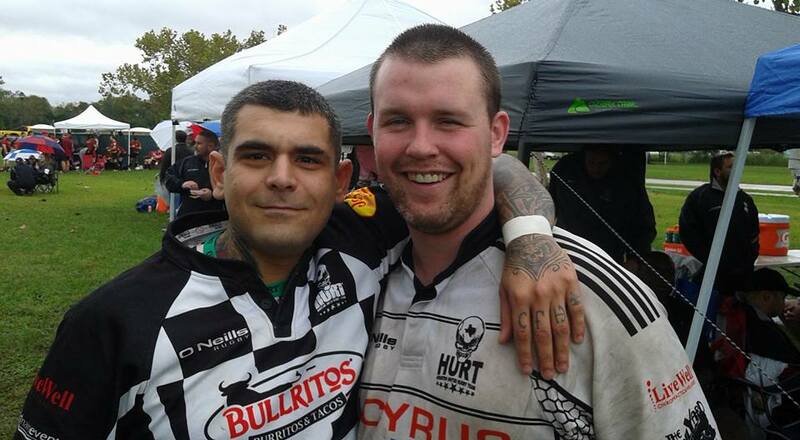 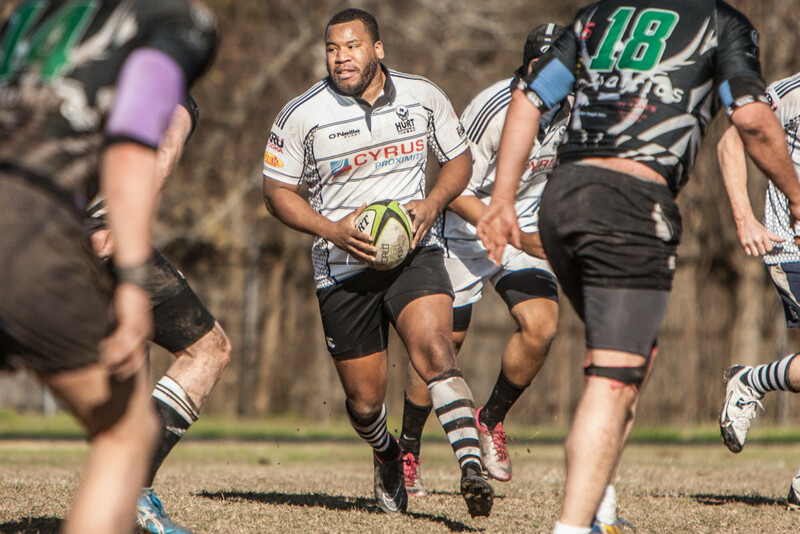 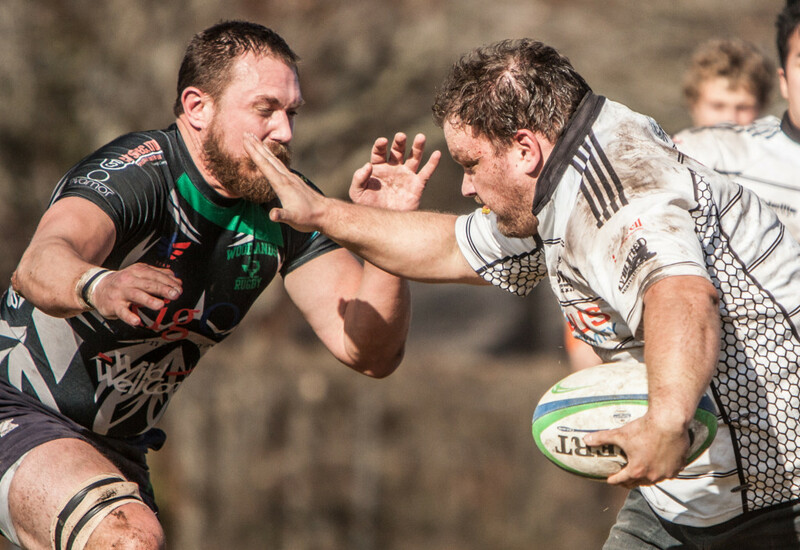 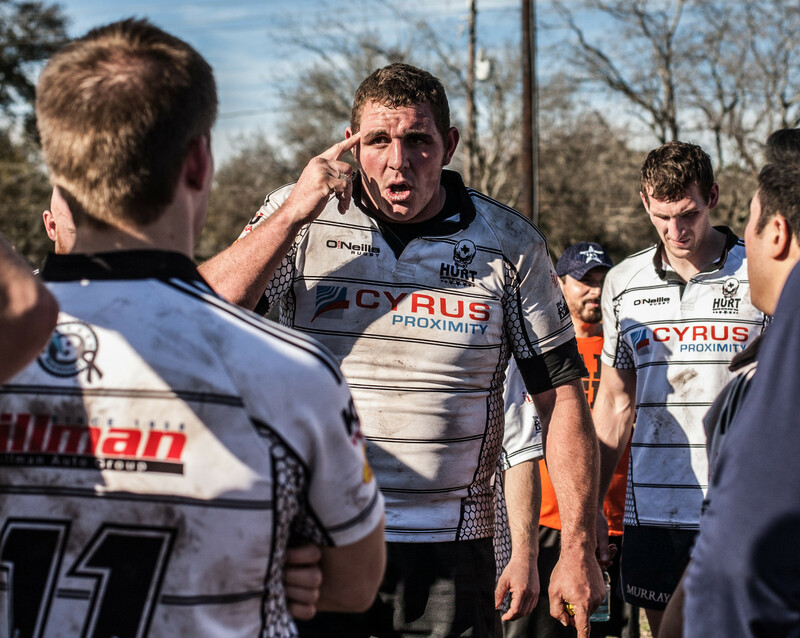 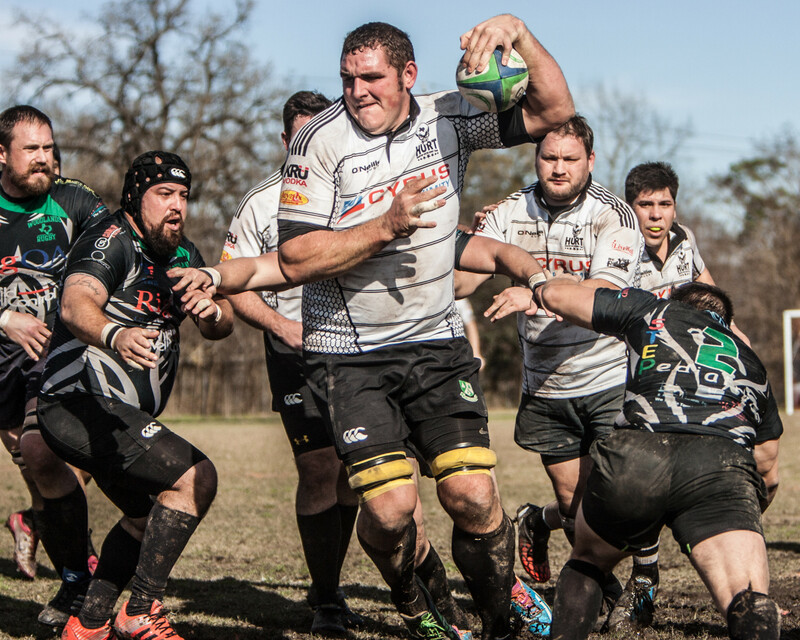 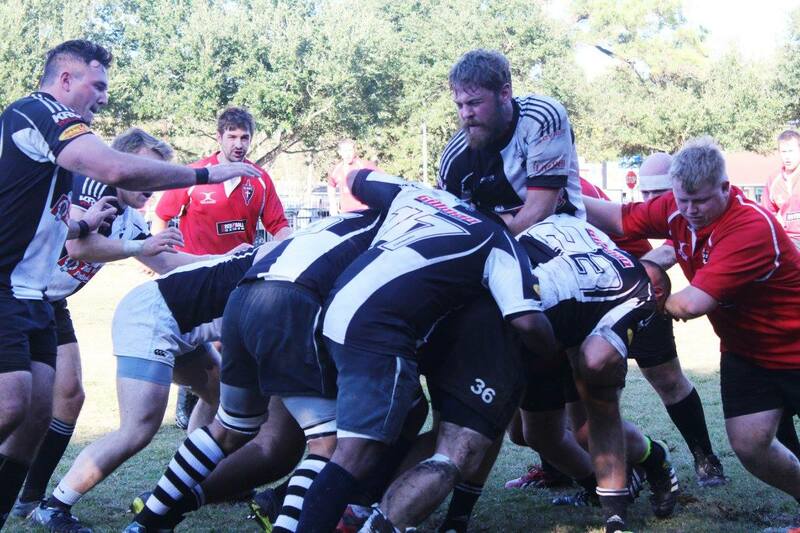 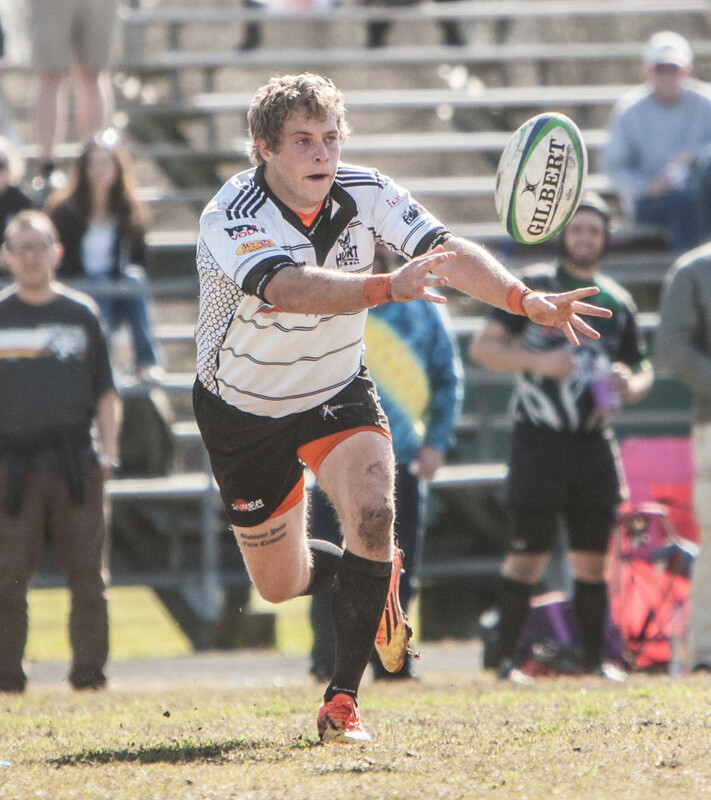 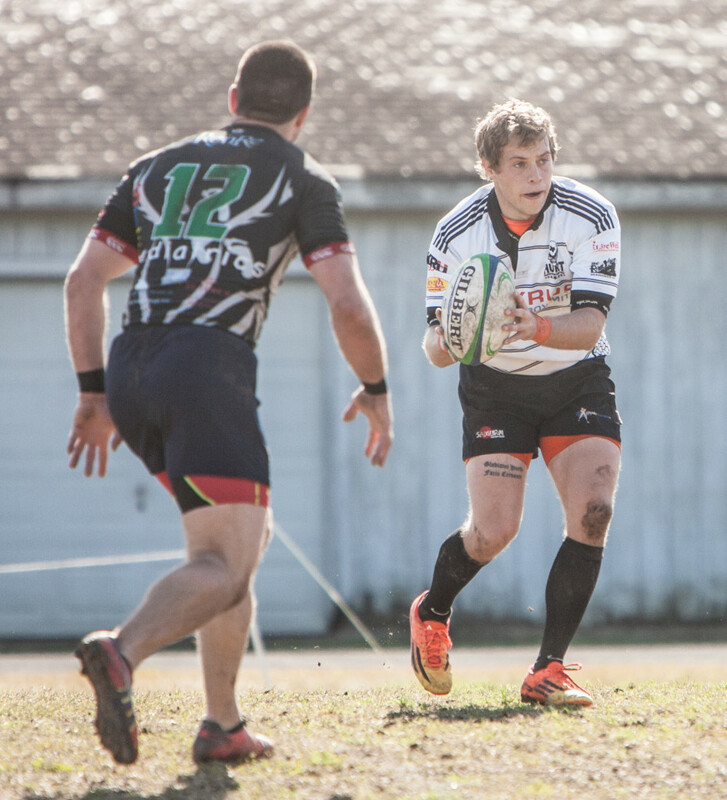 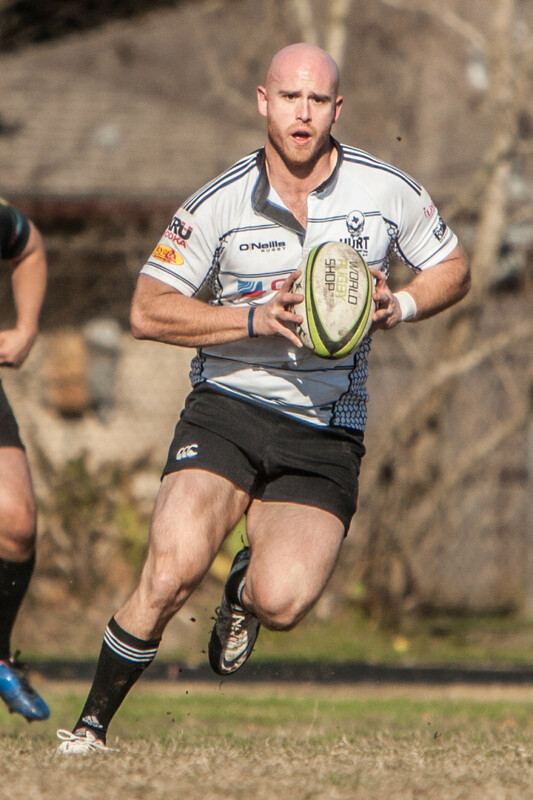 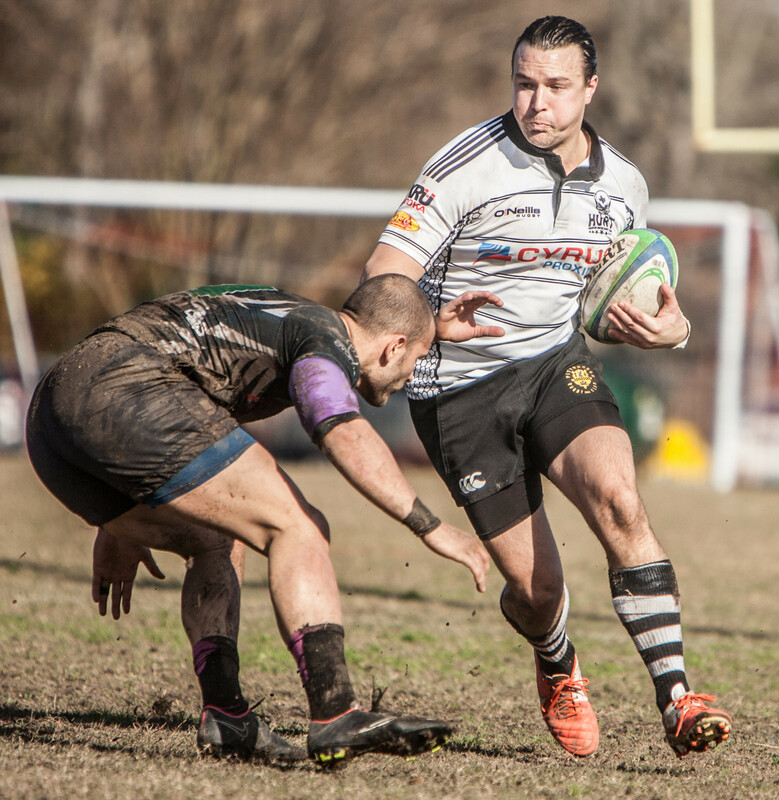 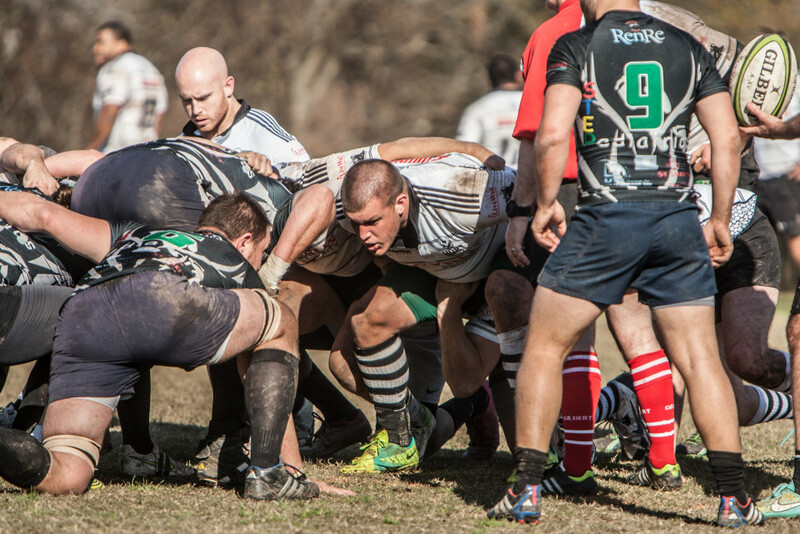 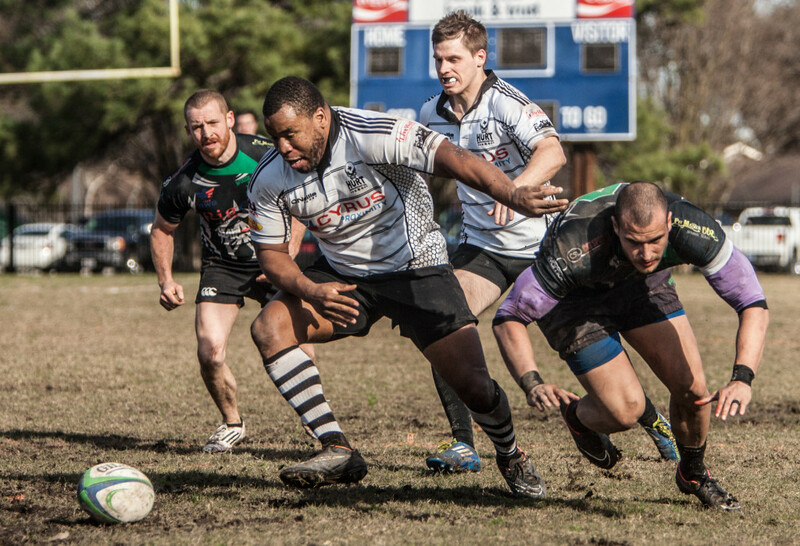 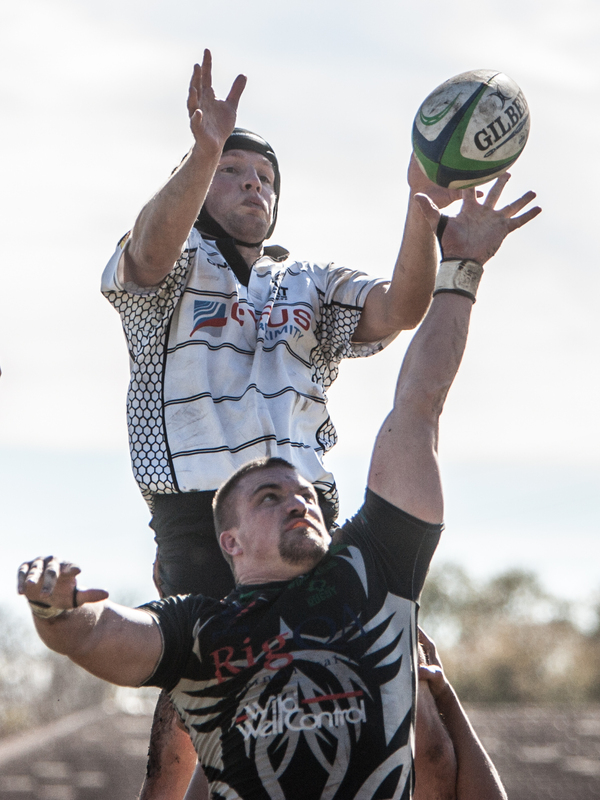 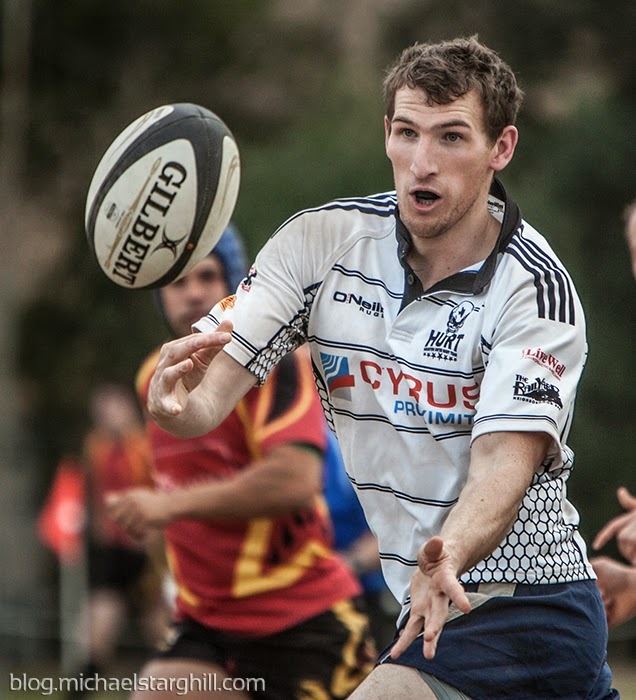 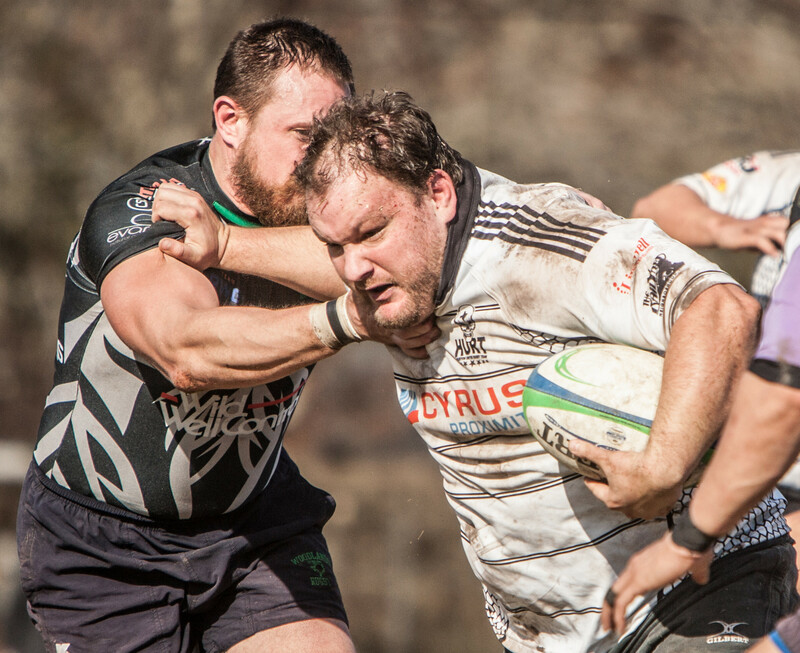 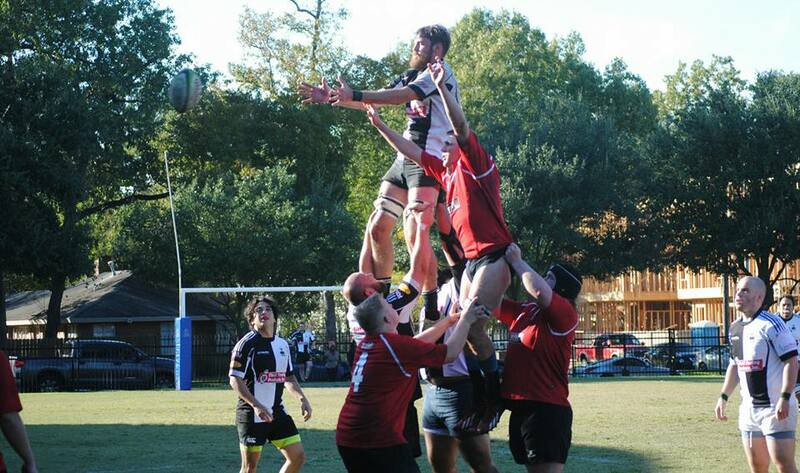 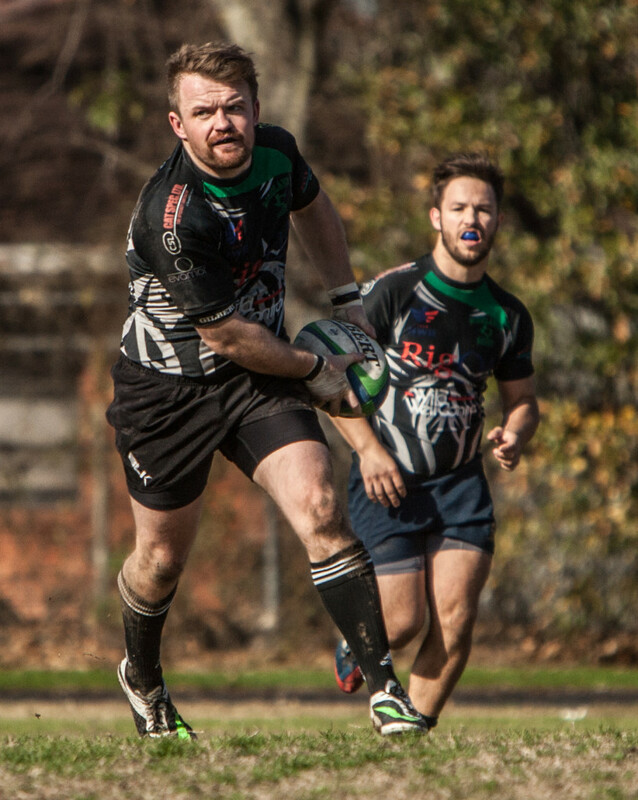 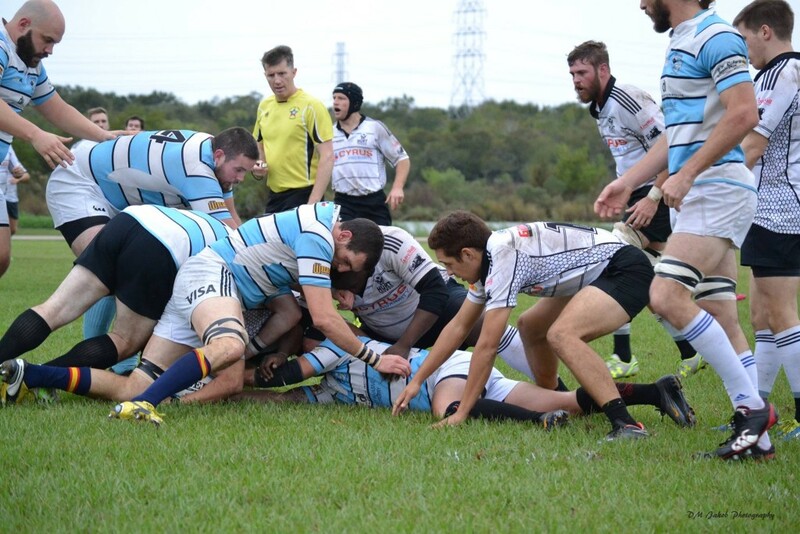 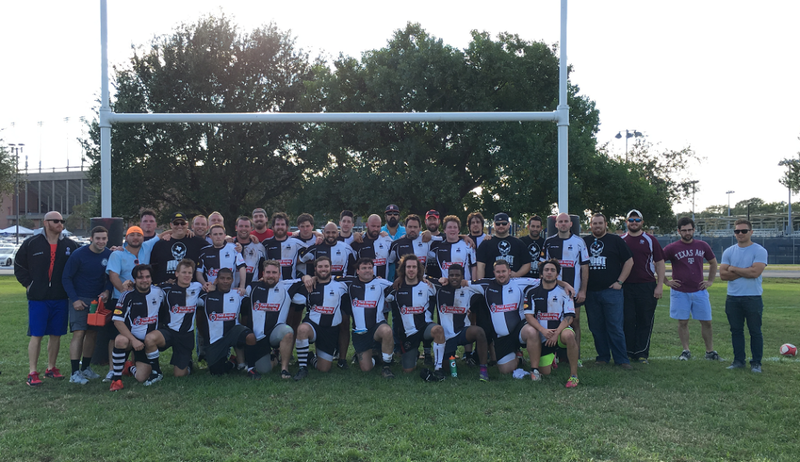 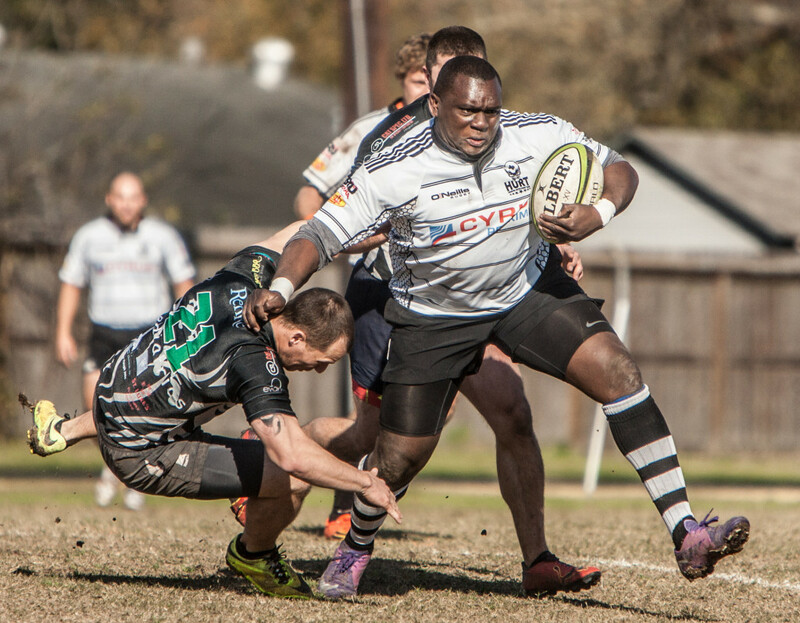 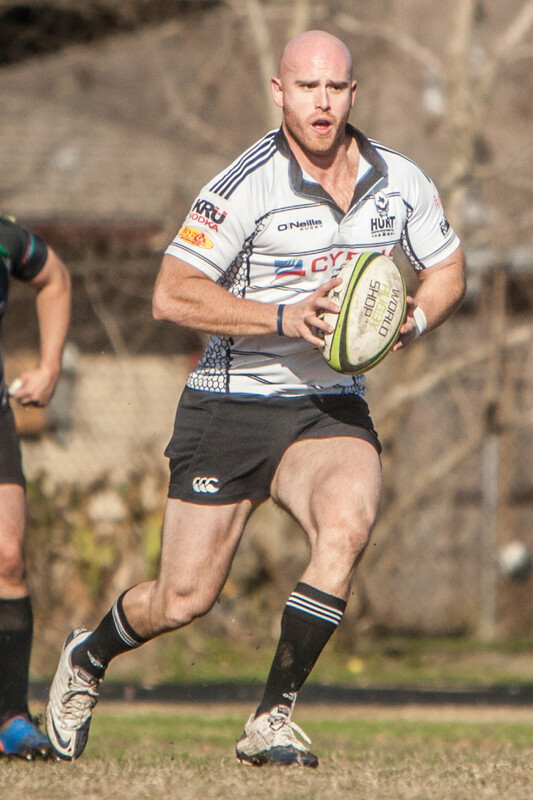 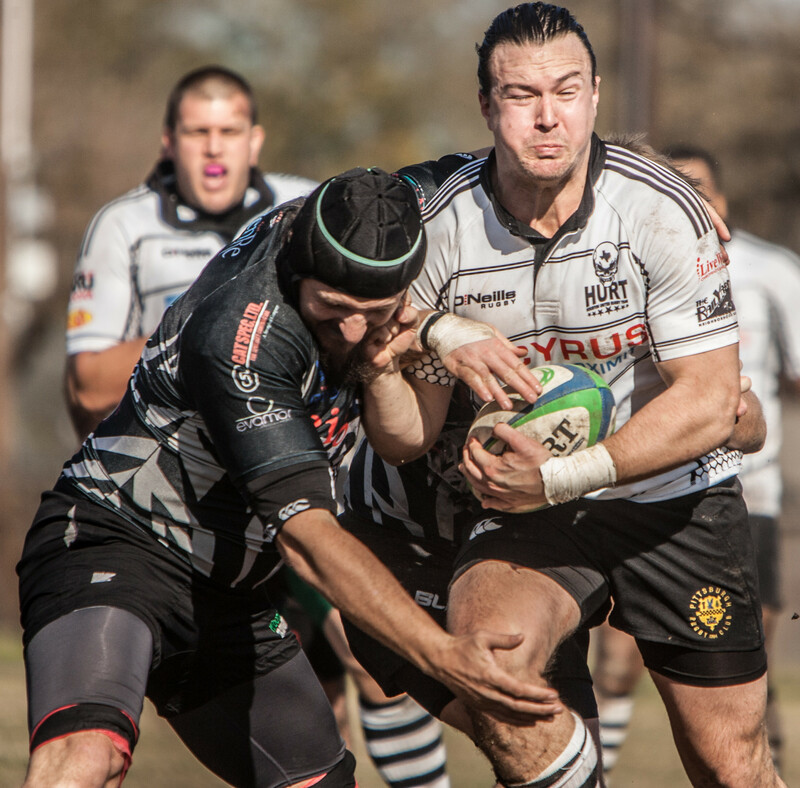 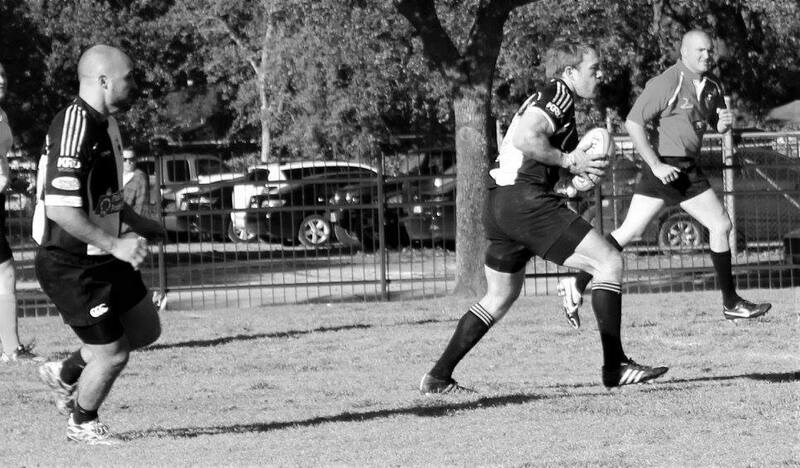 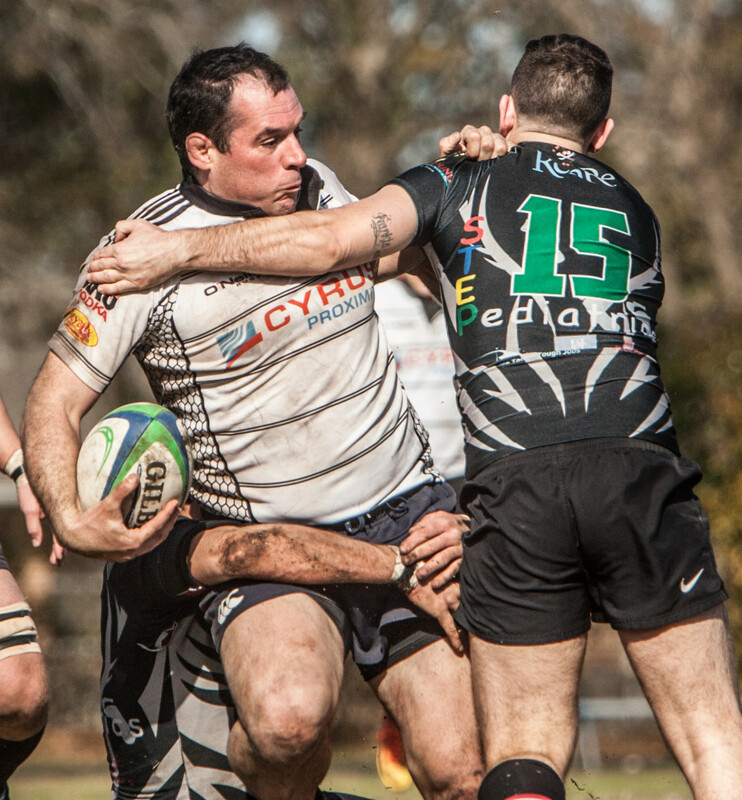 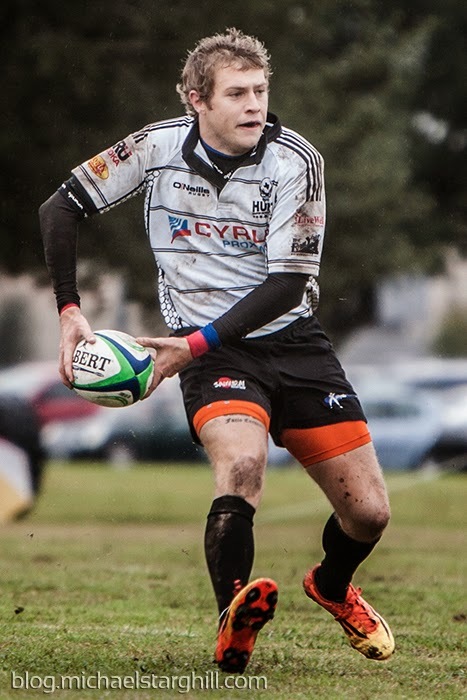 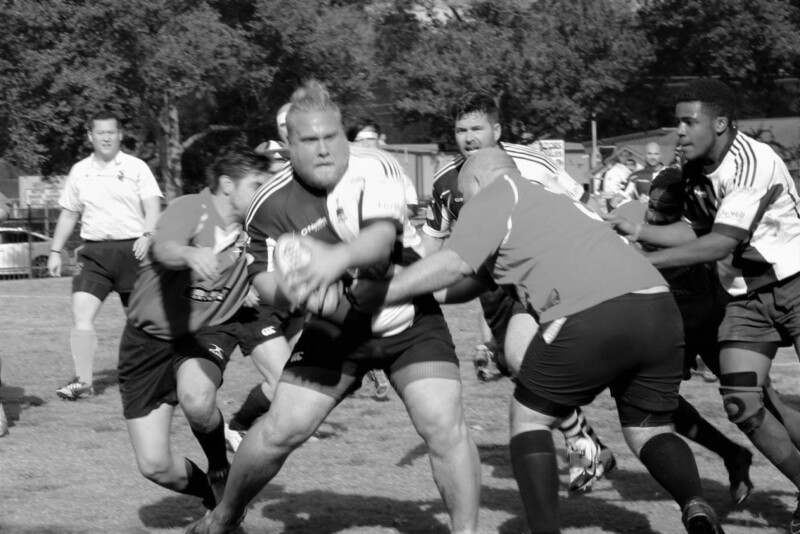 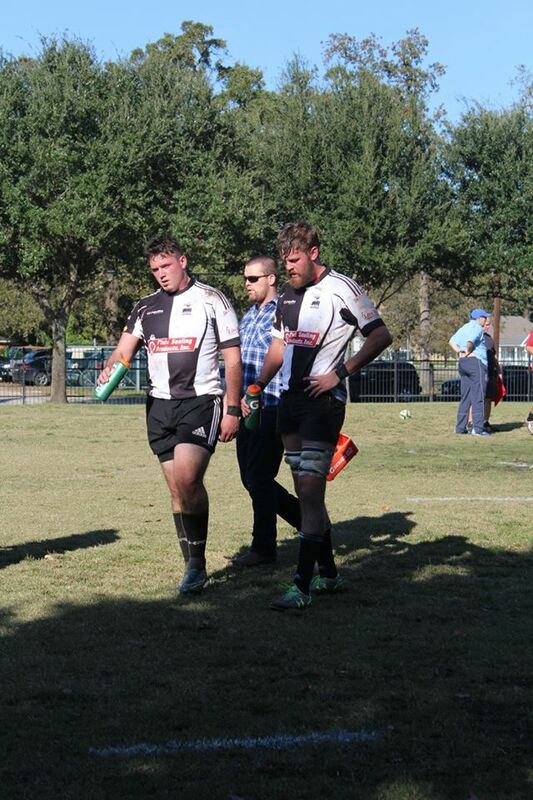 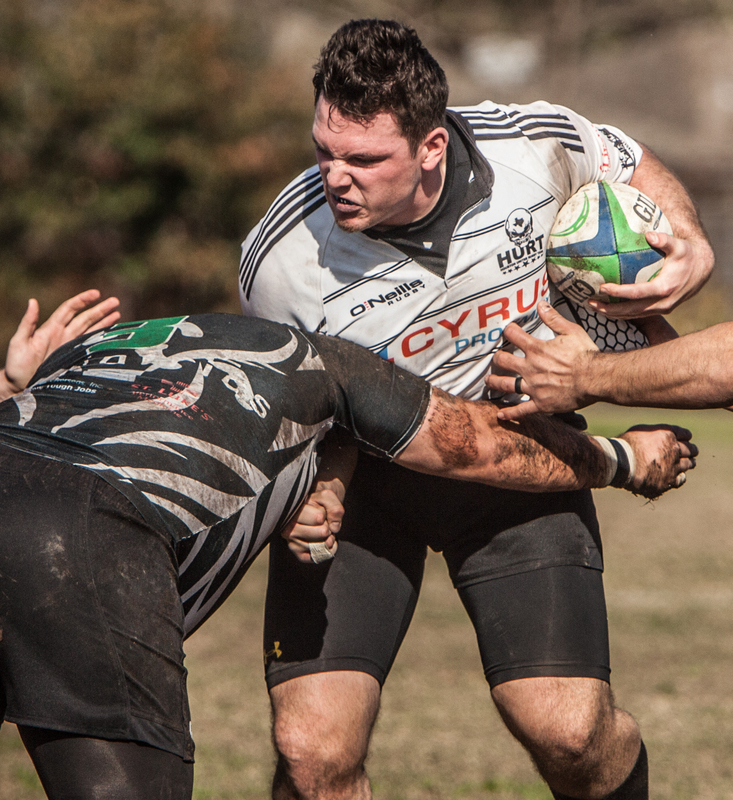 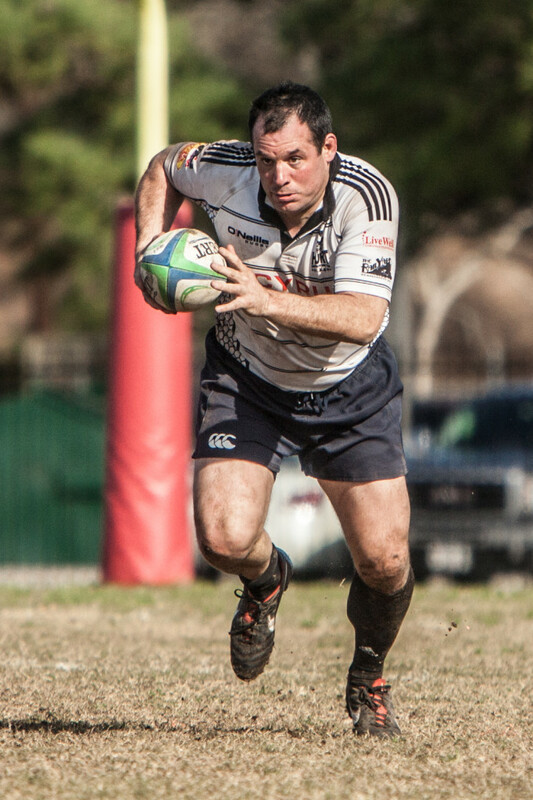 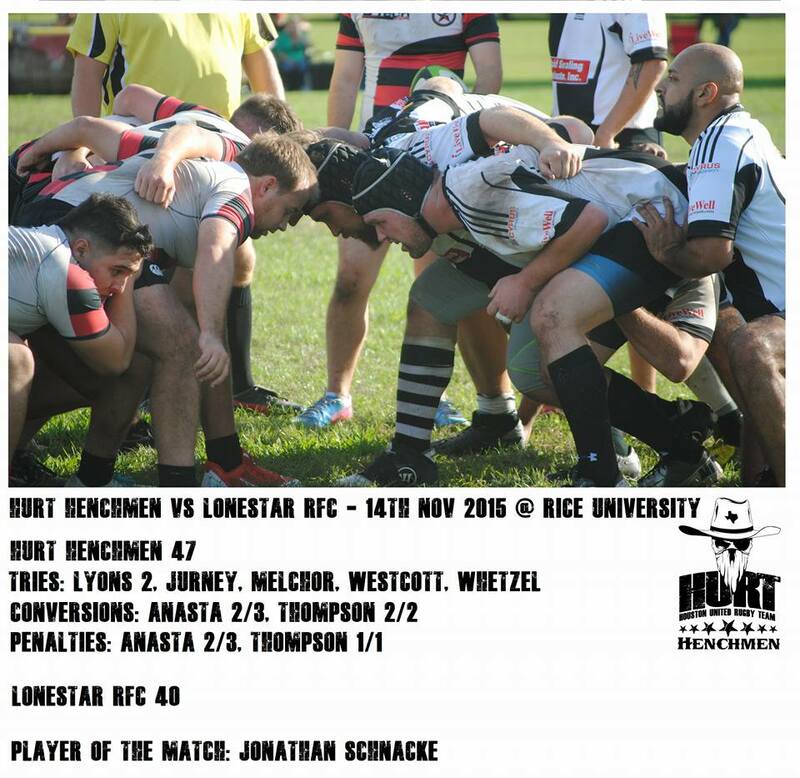 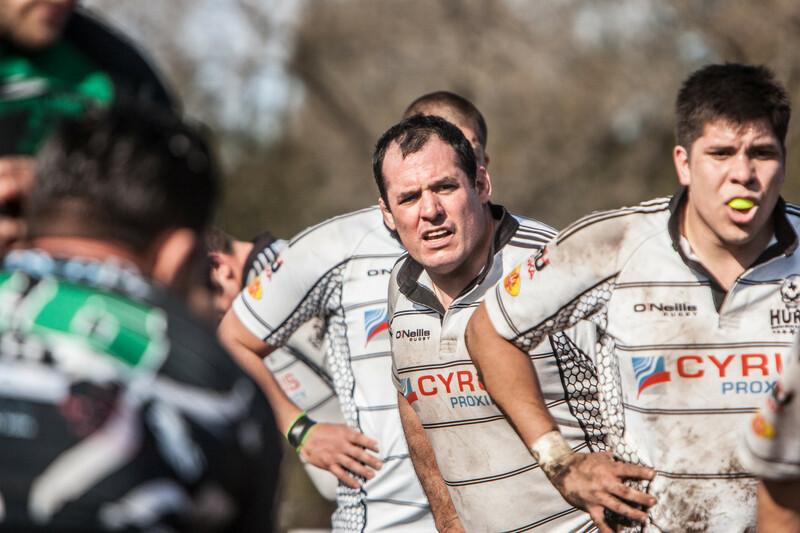 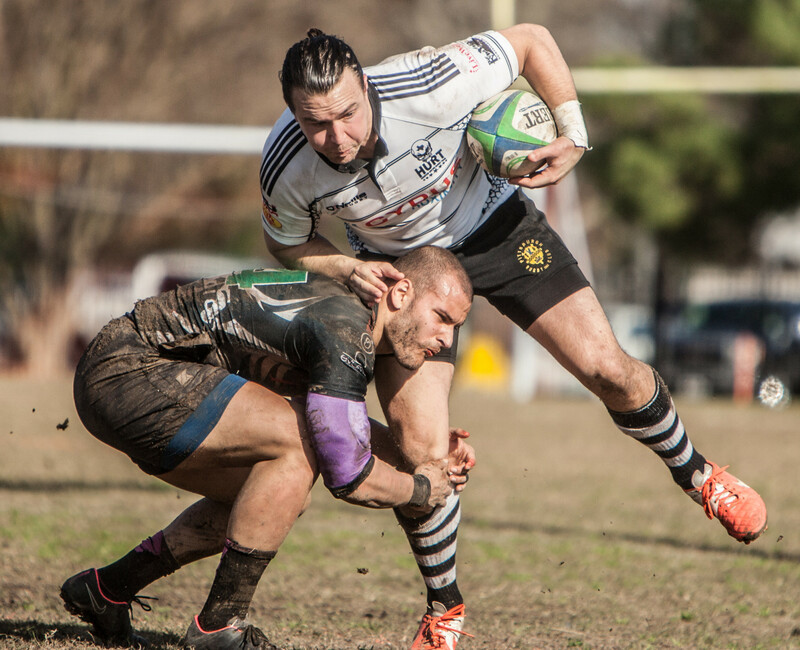 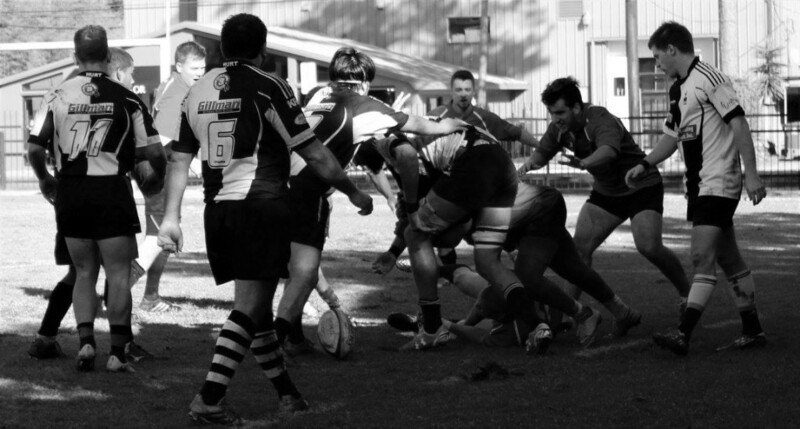 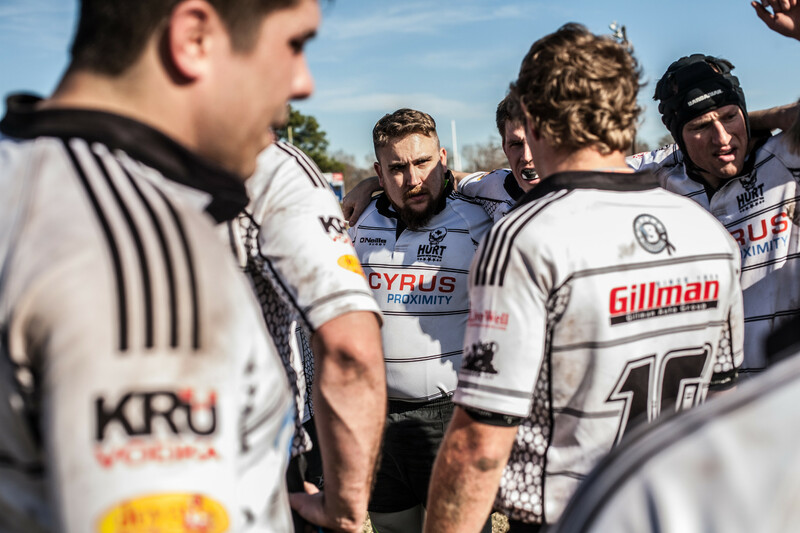 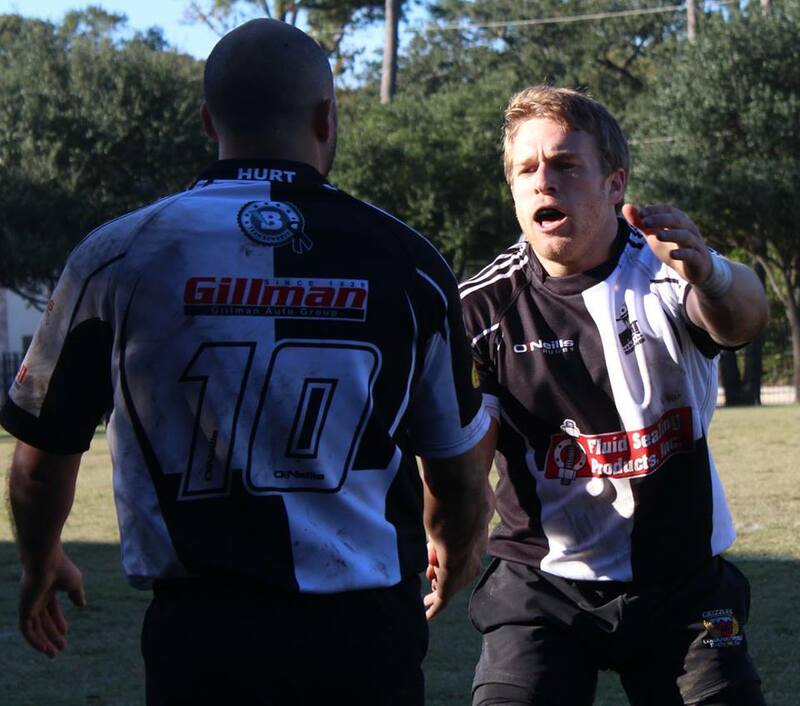 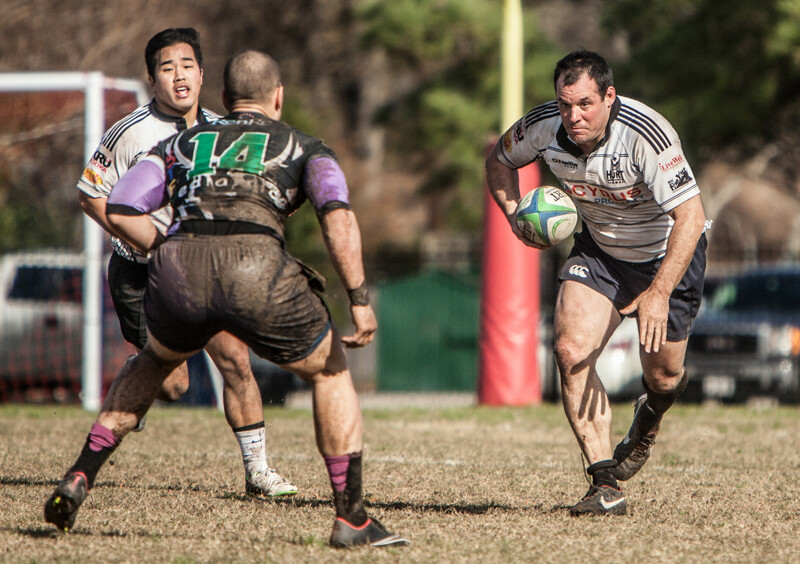 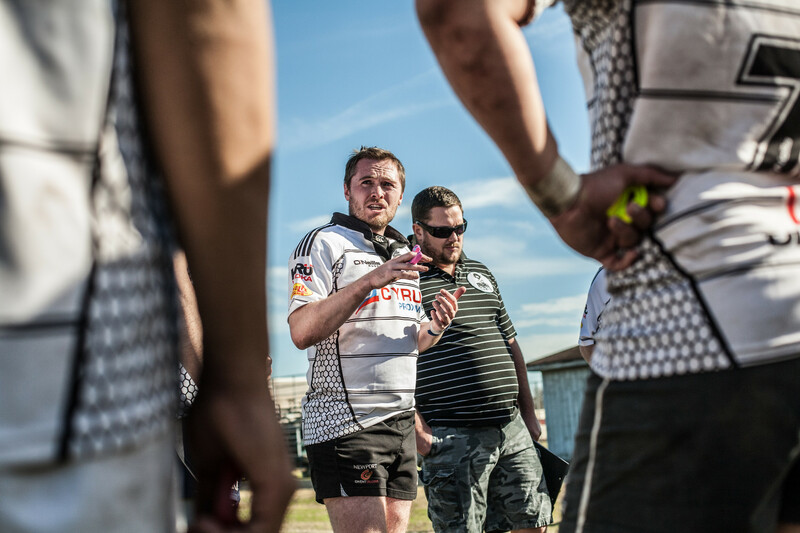 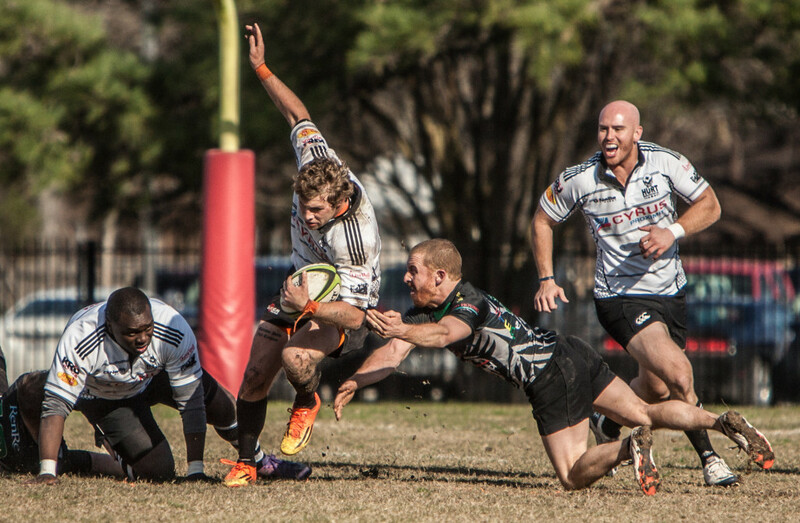 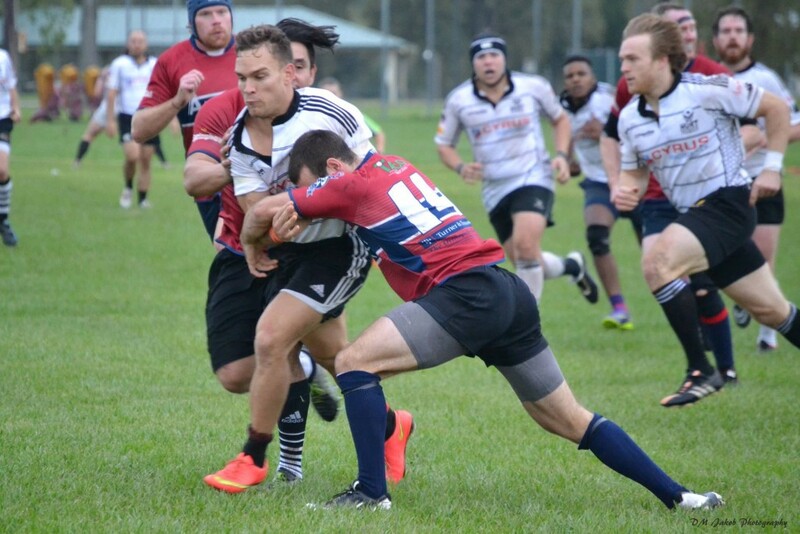 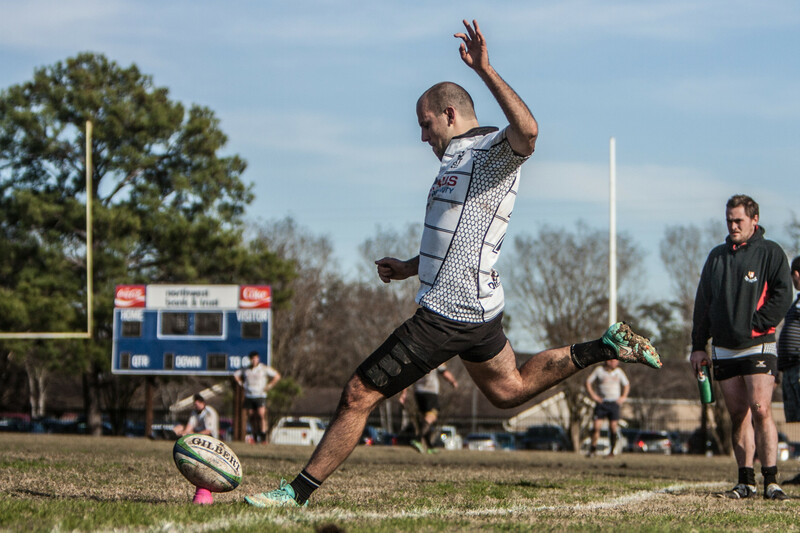 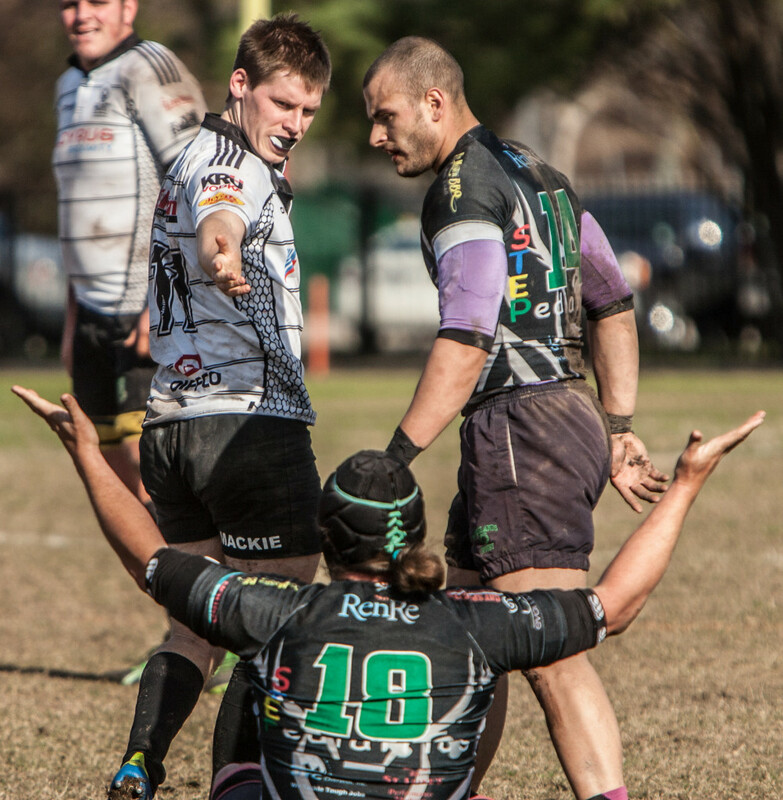 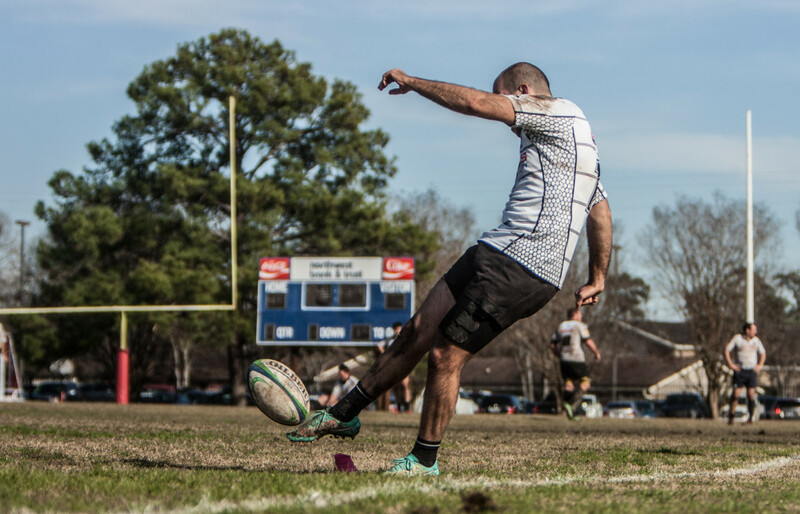 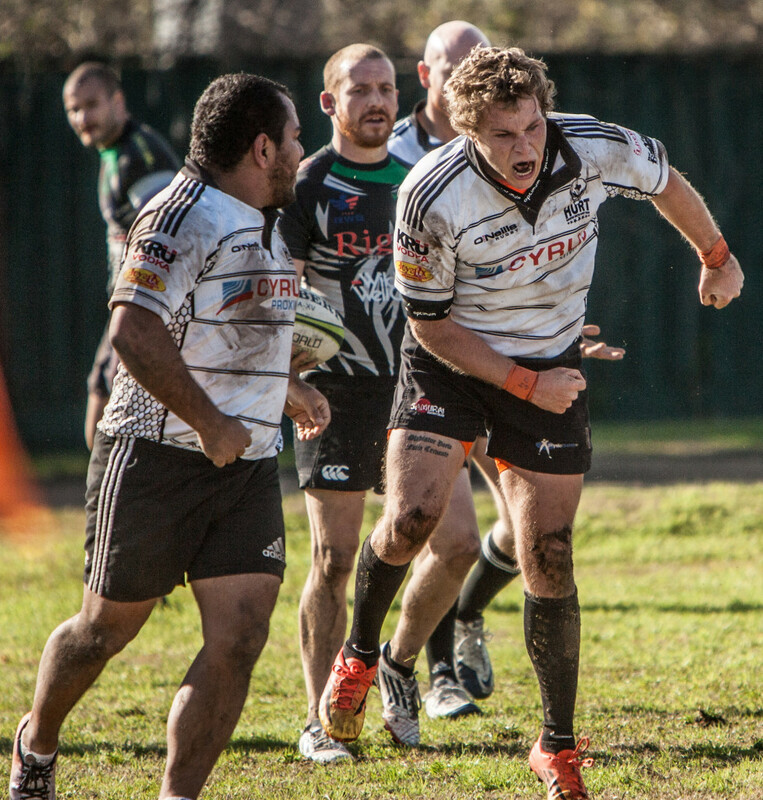 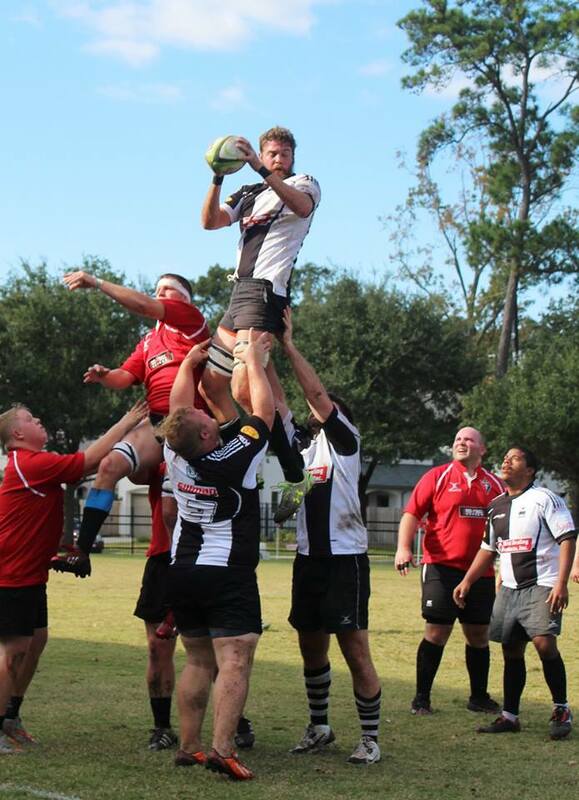 The Henchman will look to continue their winning ways in their first cup match vs. the Lone Star Rugby Club on Saturday, November 14th. 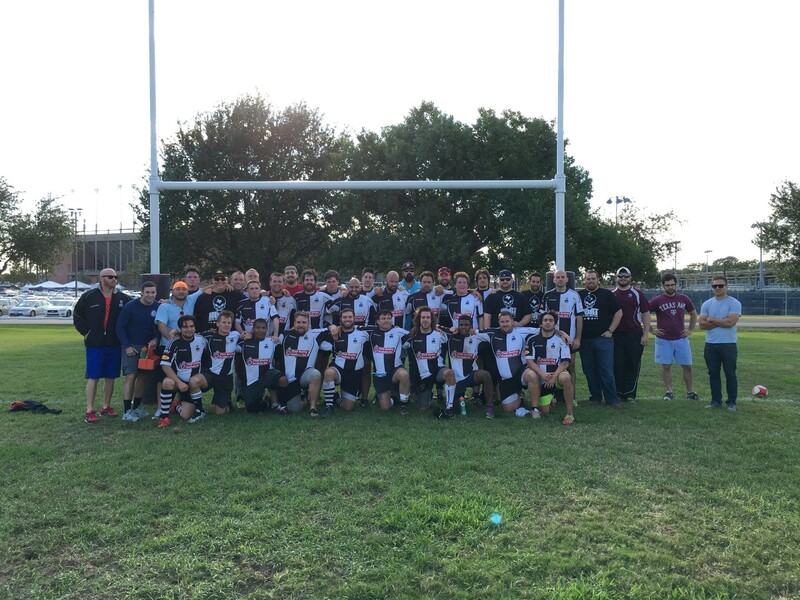 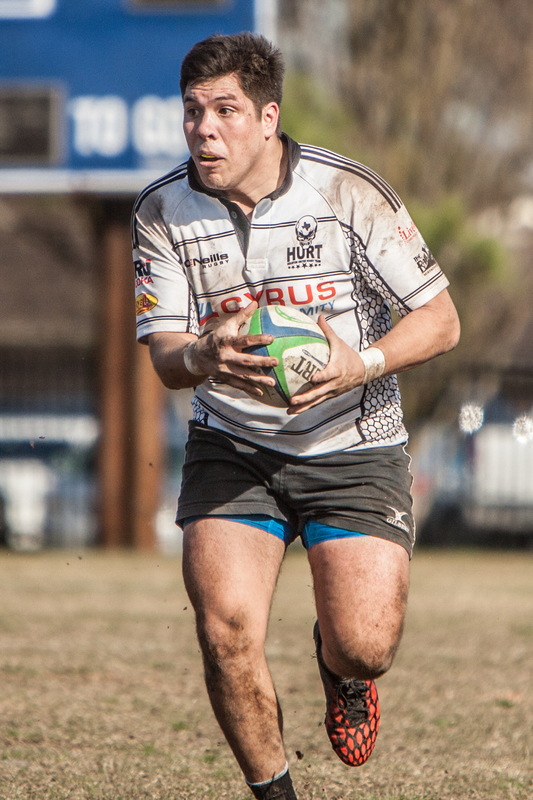 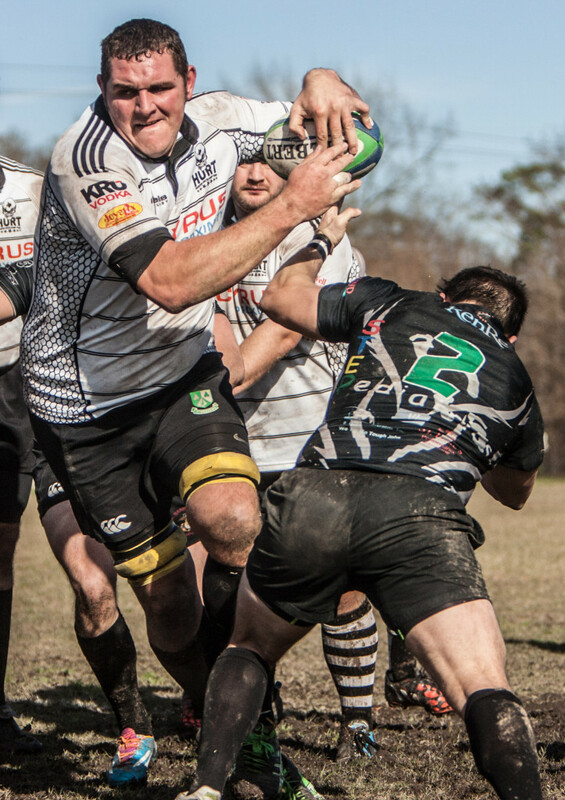 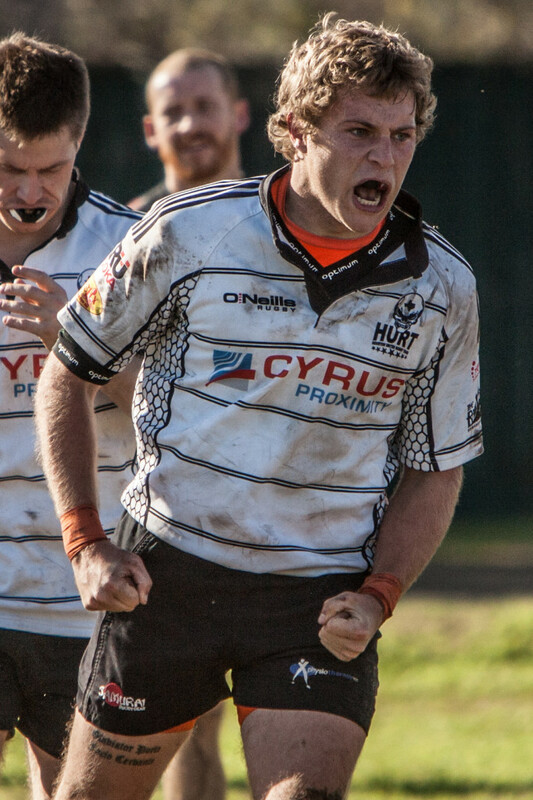 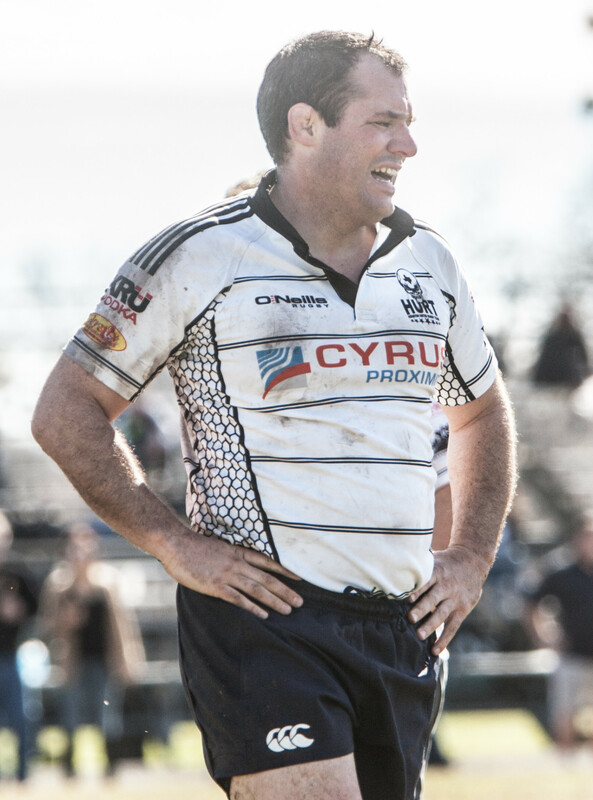 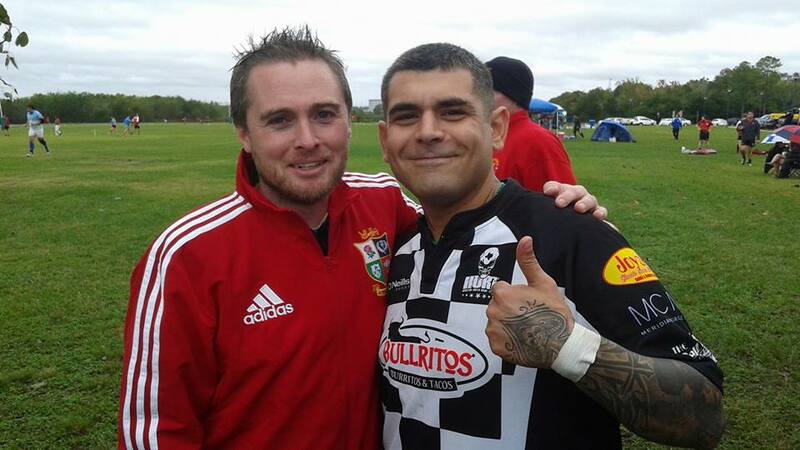 HURT’s first cup-match will December 5th vs. the Katy Lions. 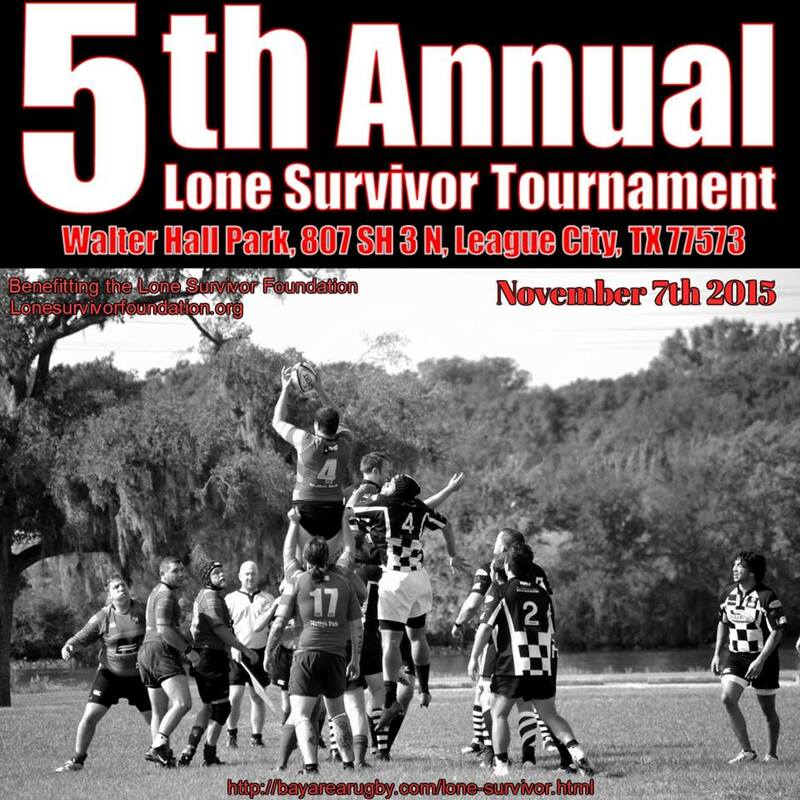 See the Match Schedule for more details. 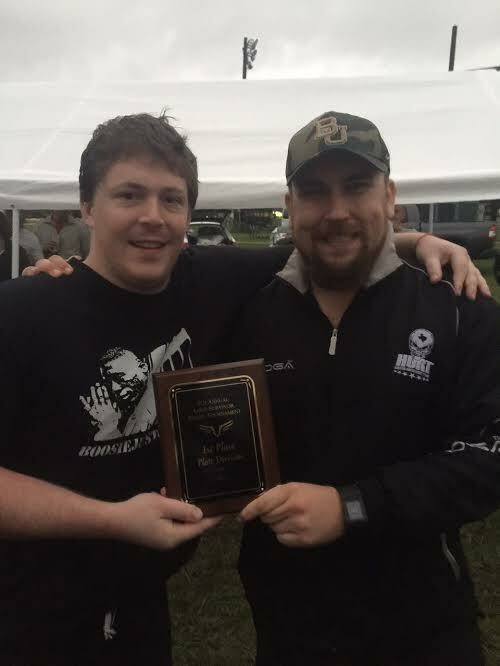 Henchmen captain Jay Westcot (left) and HURT President Jonathan Schnacke (right) accepting the 1st place Plate Division plaque.